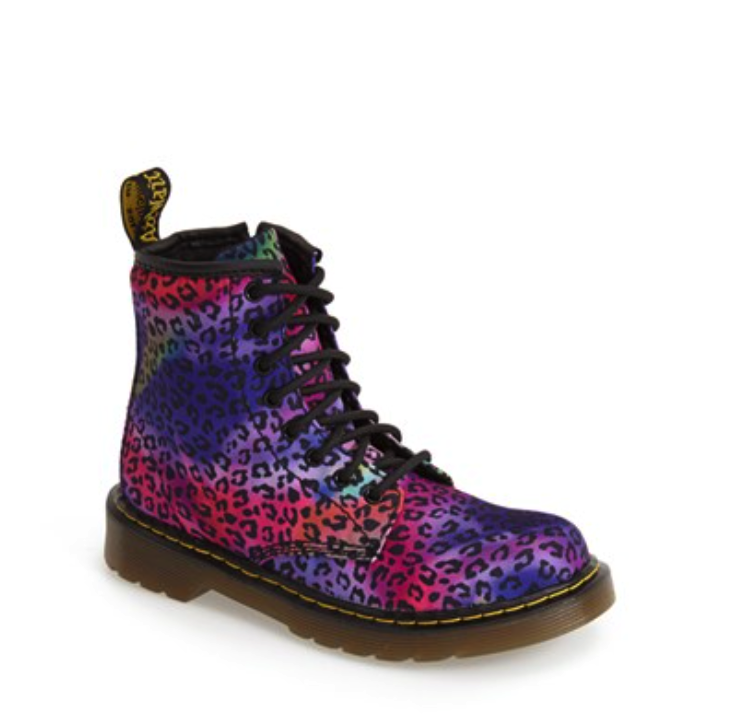 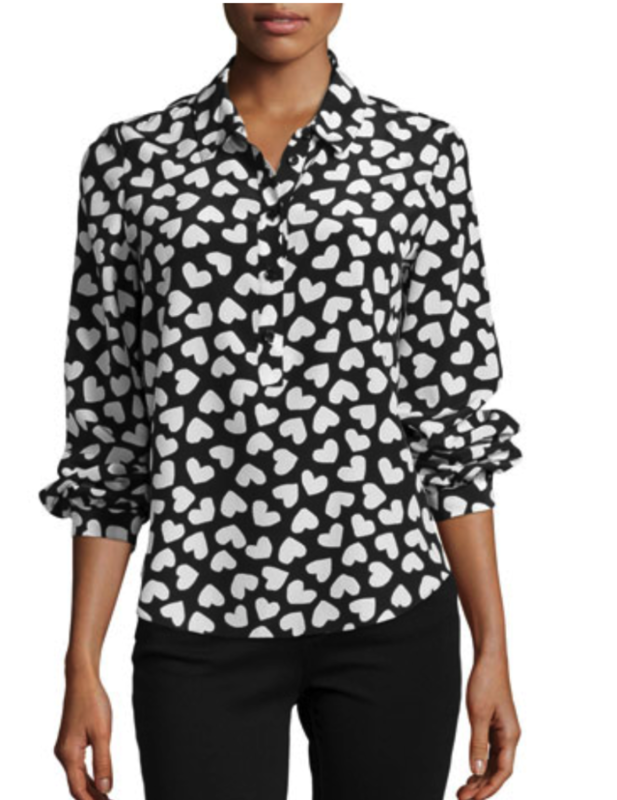 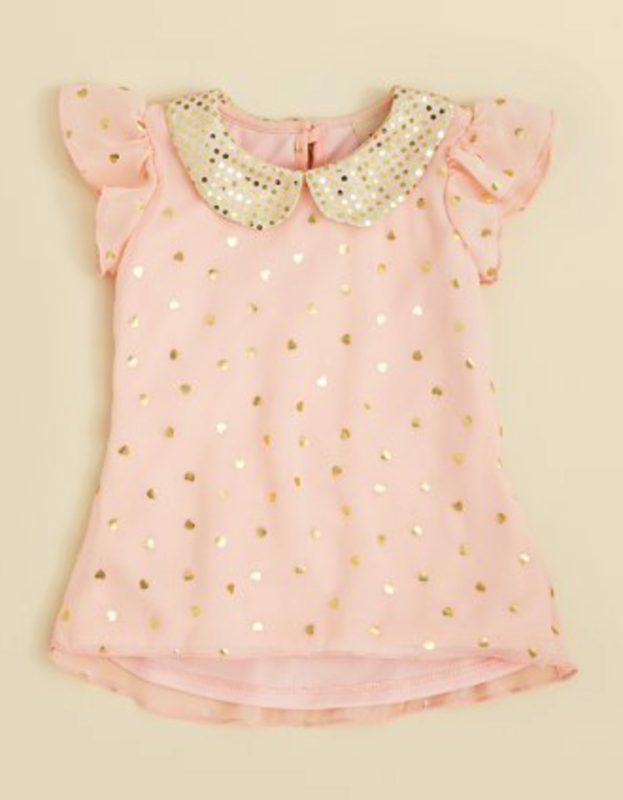 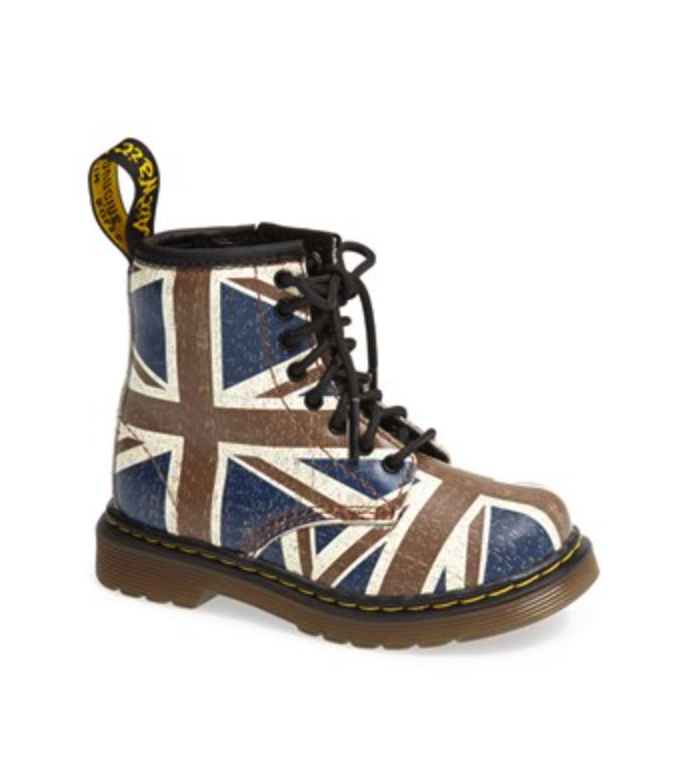 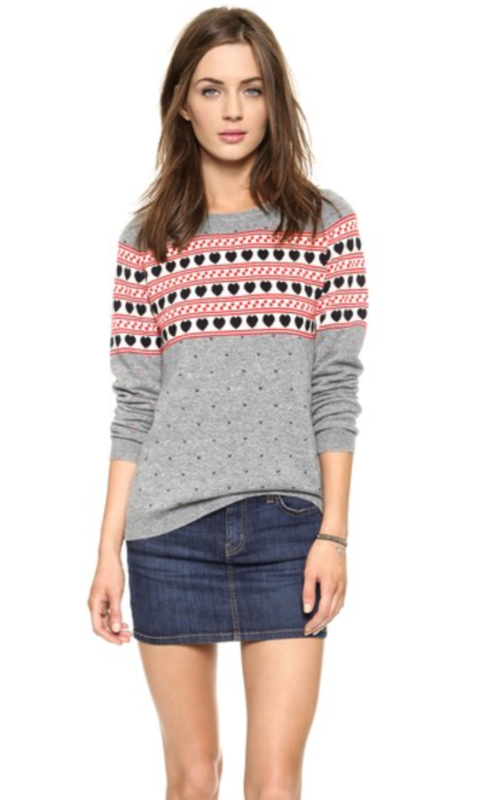 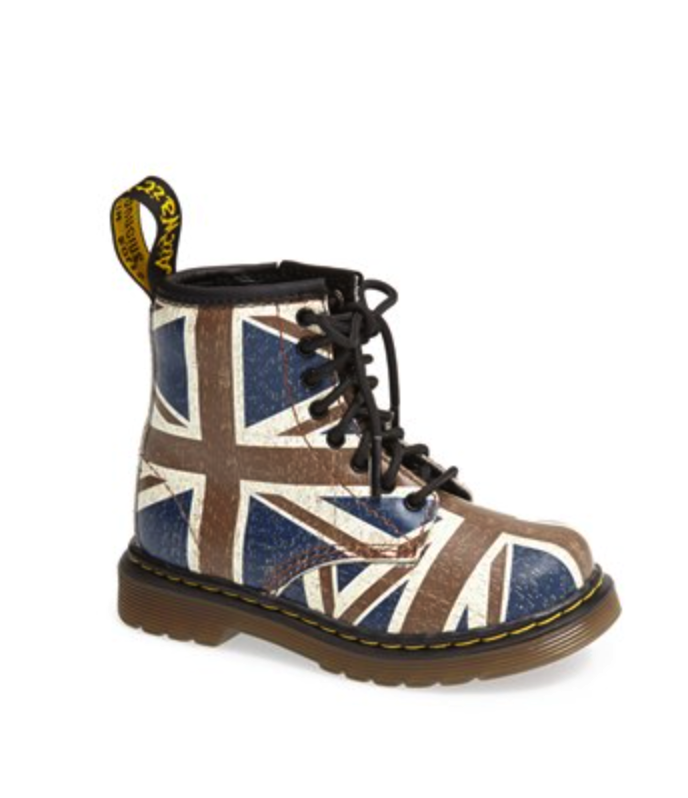 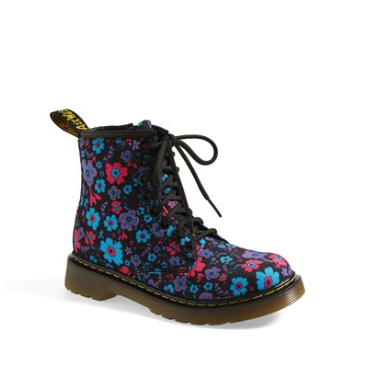 MOMMA PLEASE??? 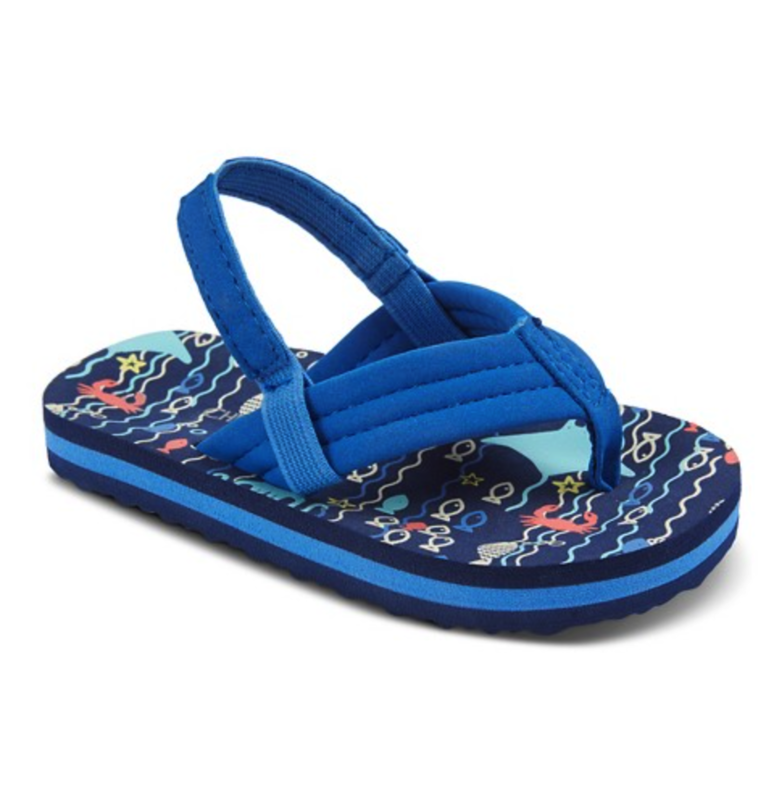 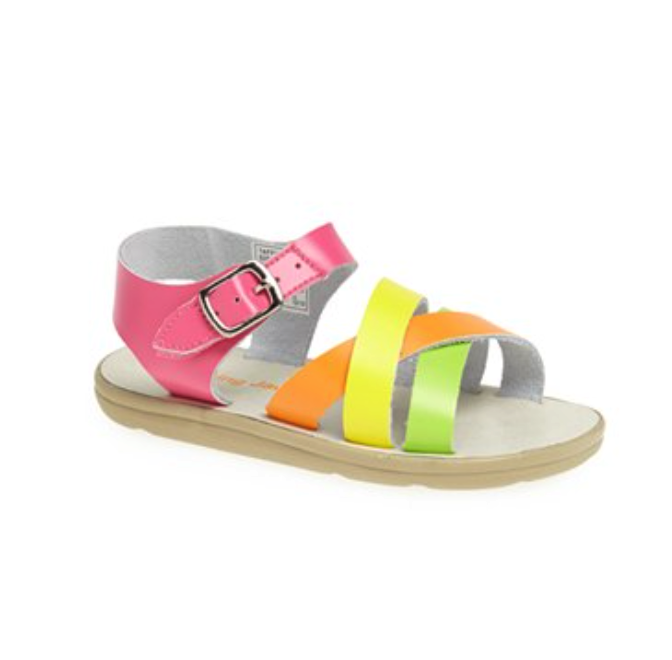 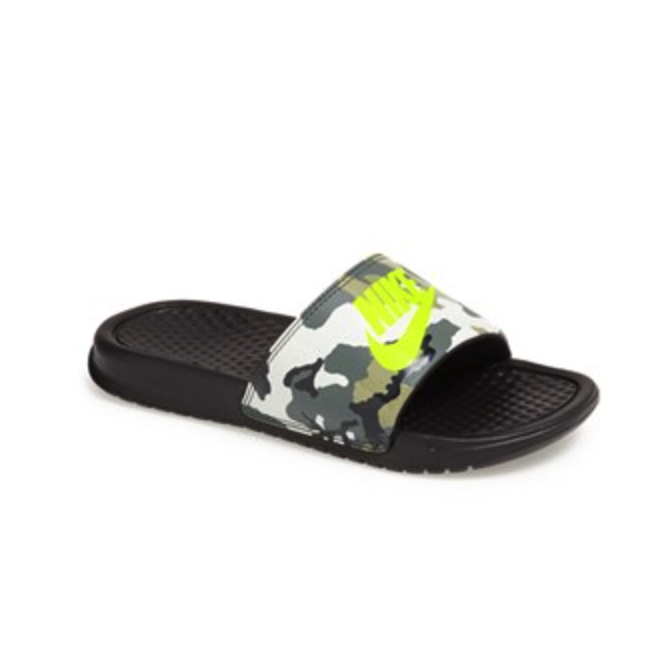 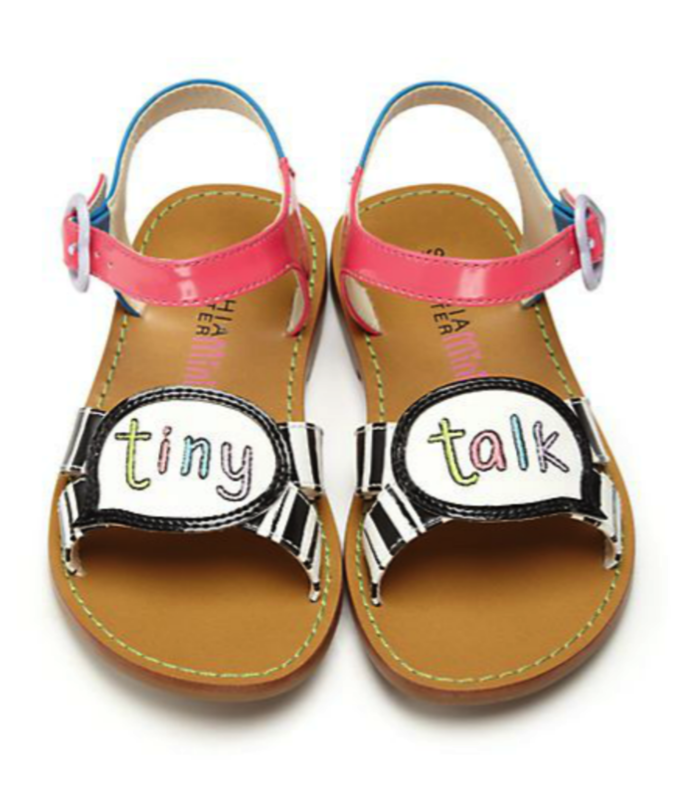 adorable kids sandals for summer! 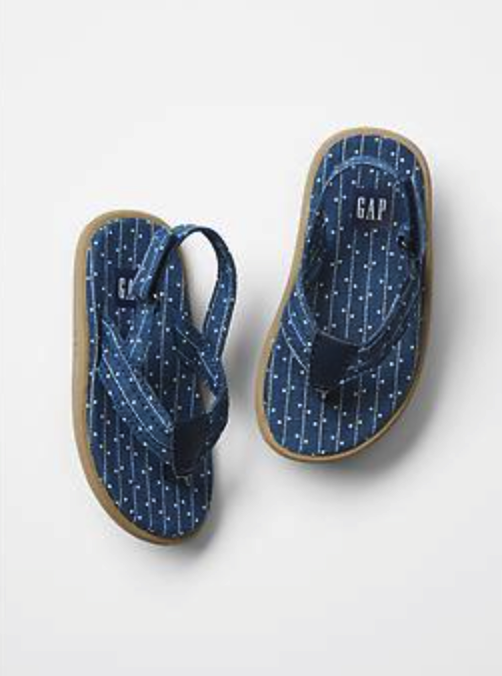 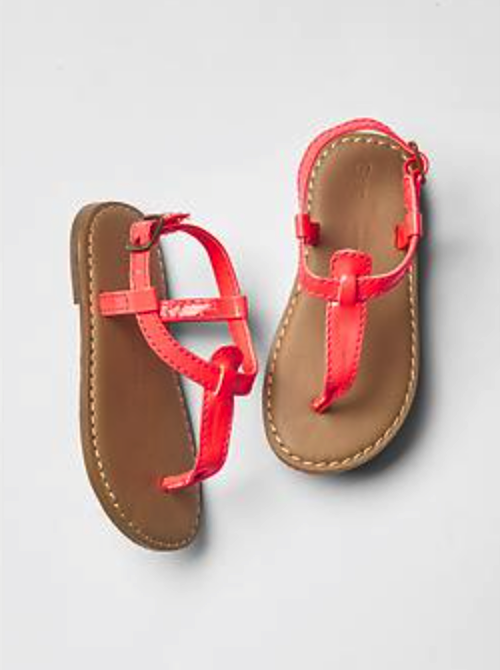 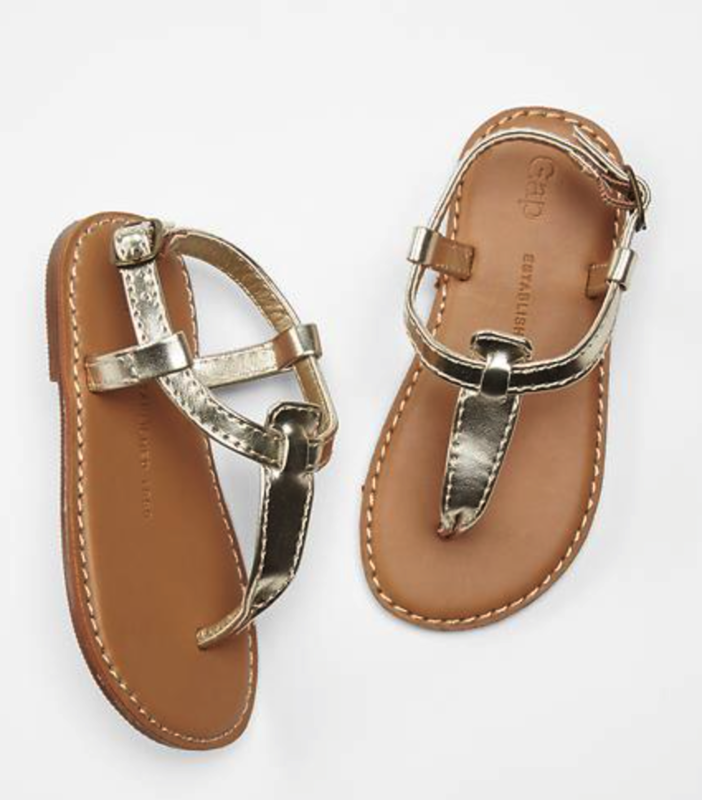 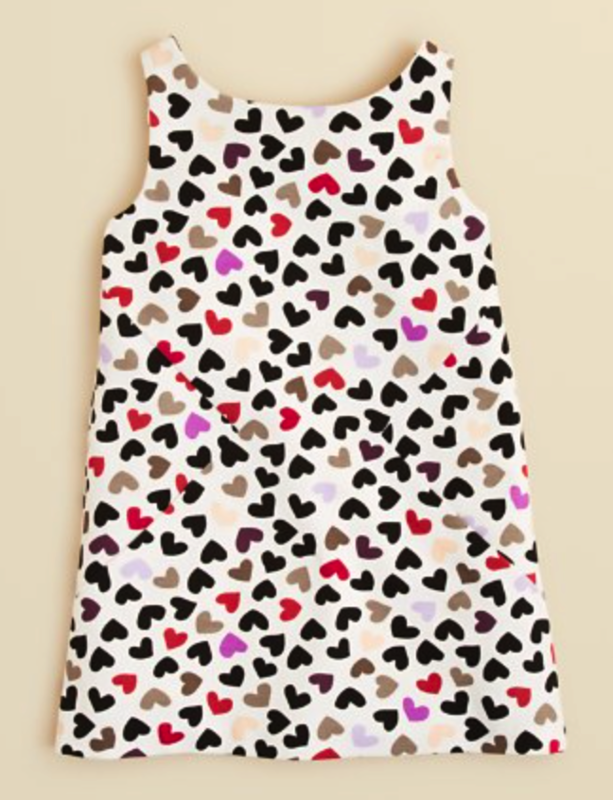 Tis the season for adorable kids sandals – I mean, everything is so much better when it’s mini size! 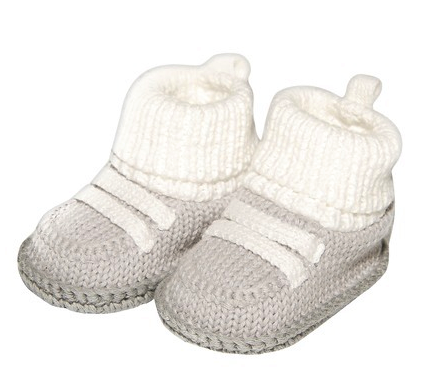 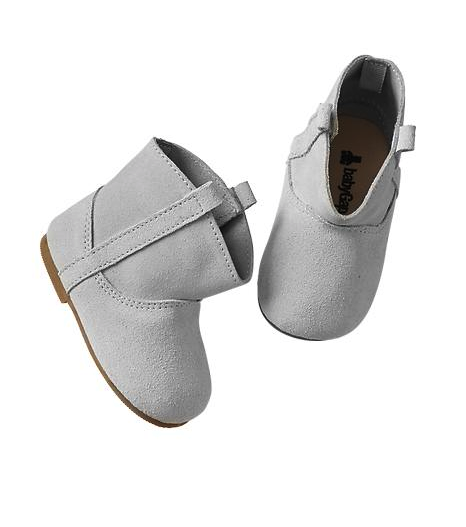 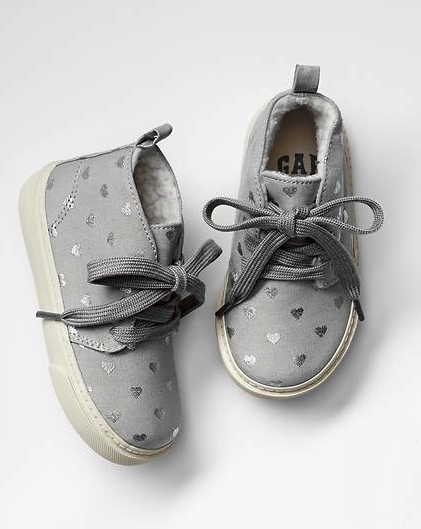 Those little tiny feet… hard to imagine that anything could make them any cuter but then along comes summertime footwear. 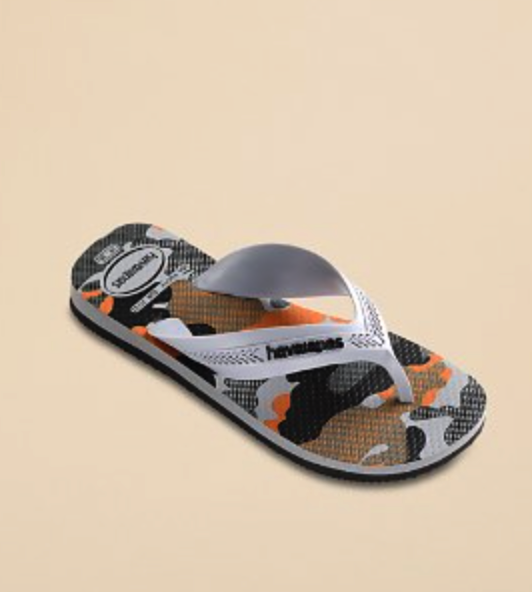 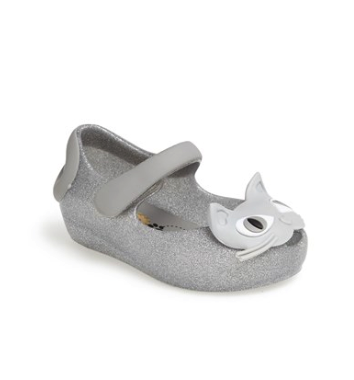 With trips to the beach, parks and pools on the agenda it’s time to free your little ones feet and indulge in some kids sandals. 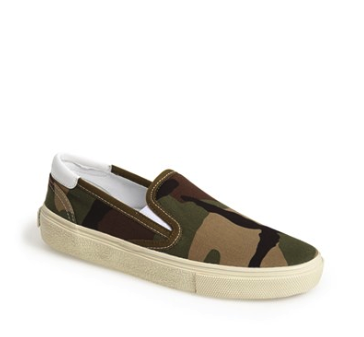 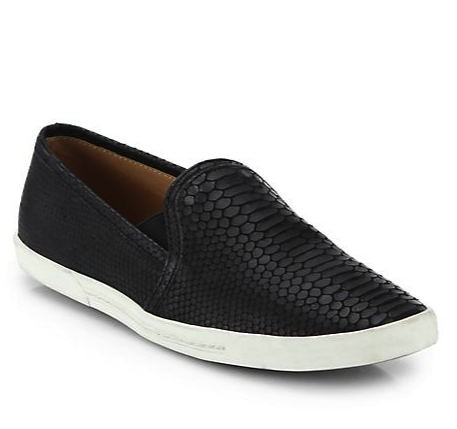 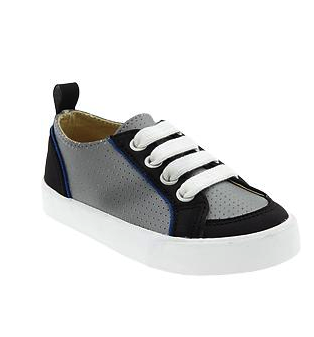 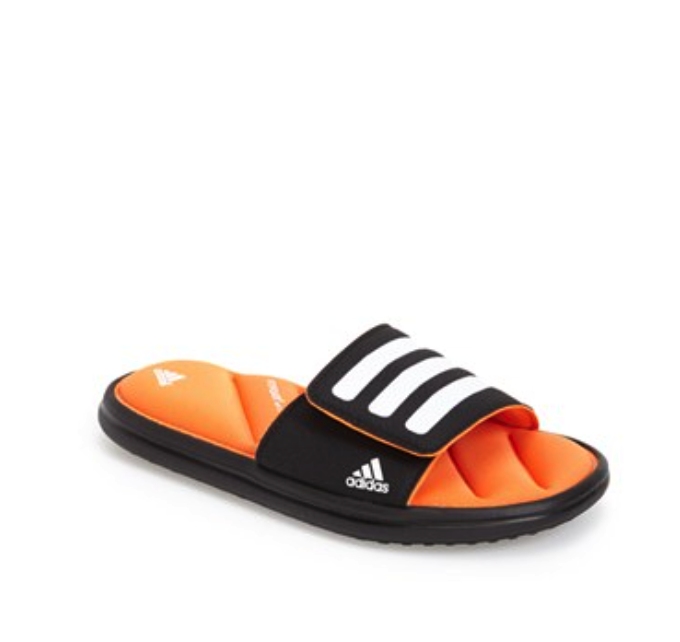 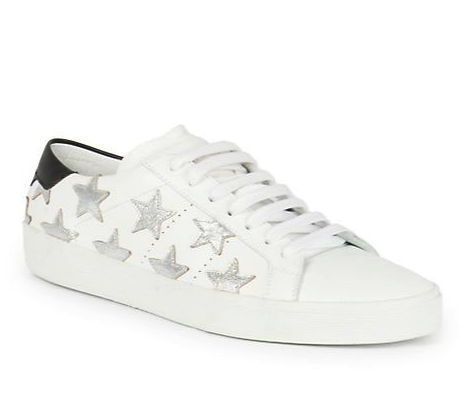 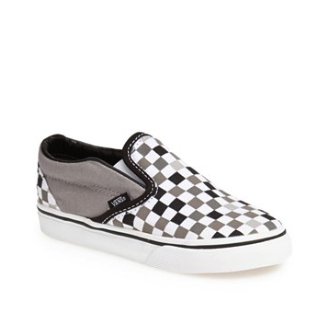 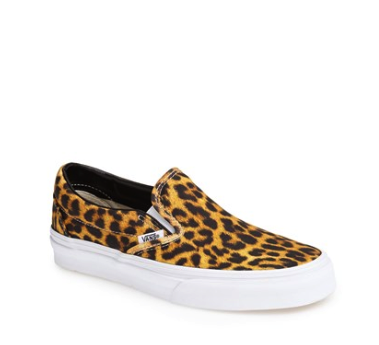 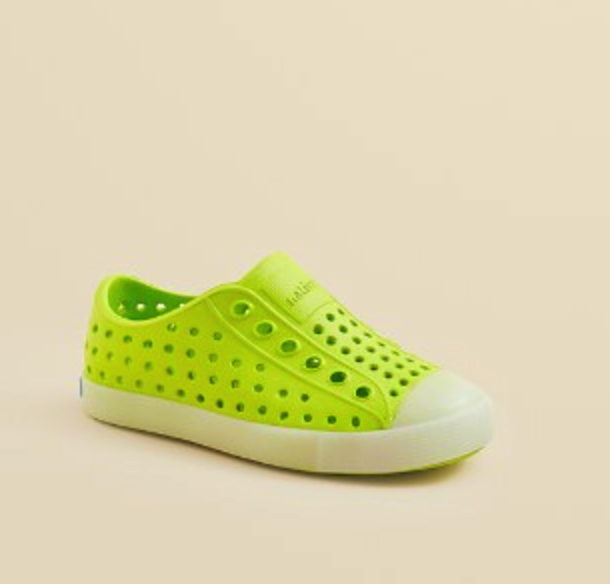 I’ve said it before and I’ll say it again, I am a shoe addict and not just for myself – my little guy has a healthy supply and the hot weather is just another excuse to shop for him. 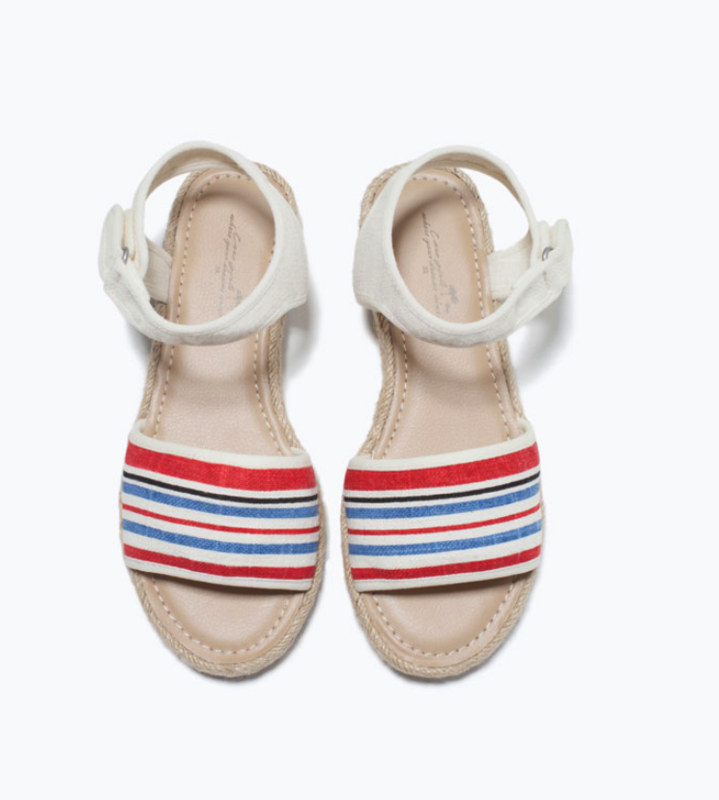 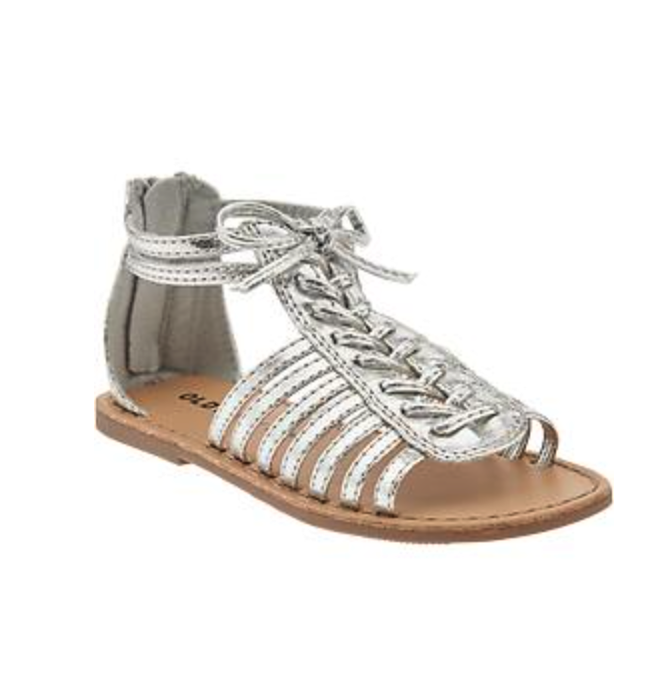 Check out some of my favorite kids sandals for summer and get ready for a cuteness overload situation when your little ones free their feet! 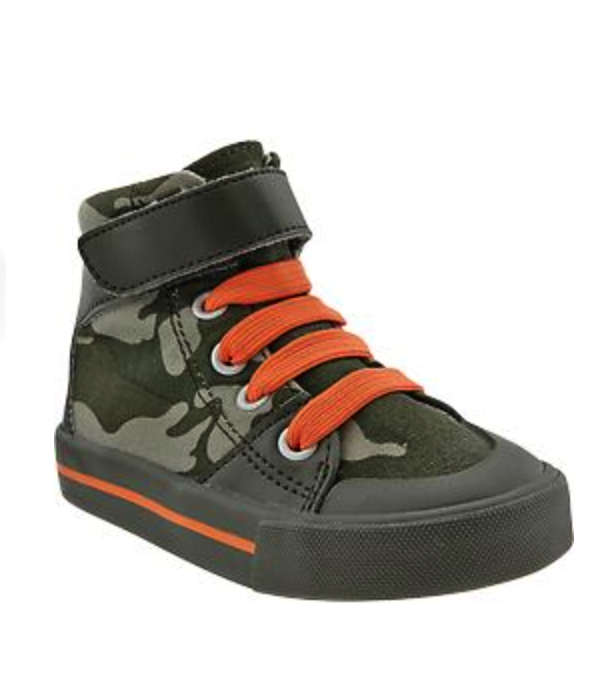 Rockin’ in his new school shoes – out with the old (sniff sniff sad face) and in with a whole new crop of adorable! 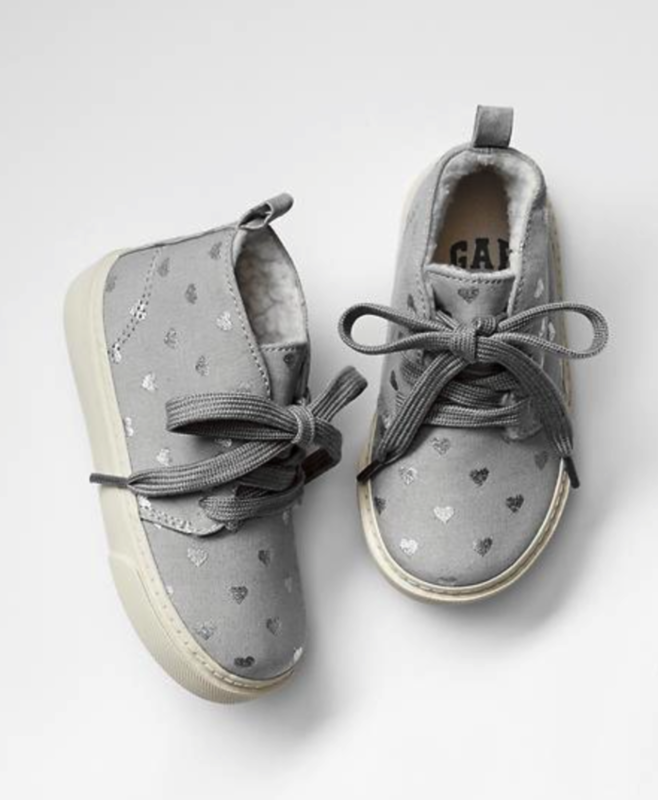 I have a true addiction to kids shoes – I mean, I love shoes anyway, but when they come all miniature and adorable, I cannot stop myself. 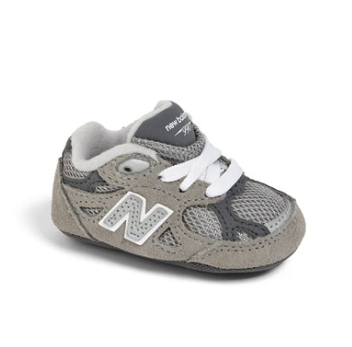 I don’t know if this is a good thing or a bad thing since my little man keeps growing out of his shoes at an alarming rate – this is hard because I am left with shoes he’s never even worn, BUT I have an excuse to keep on buying more shoes. 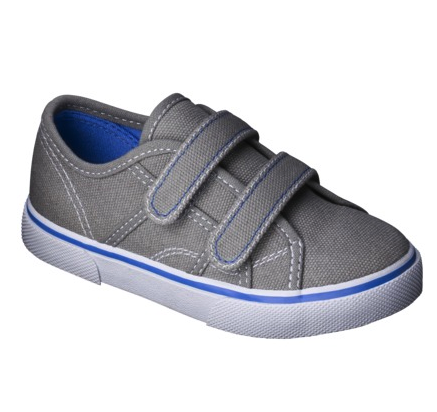 These insanely cute kids shoes include everything from rain boots to doc martins and sneakers to sandals, and while he might get more enjoyment trying on my shoes (or my husbands) and waddling around the house, I get enormous pleasure in getting hims the latest and greatest mini me shoes (okay, not mini ME as much as just mini – no heels for him). 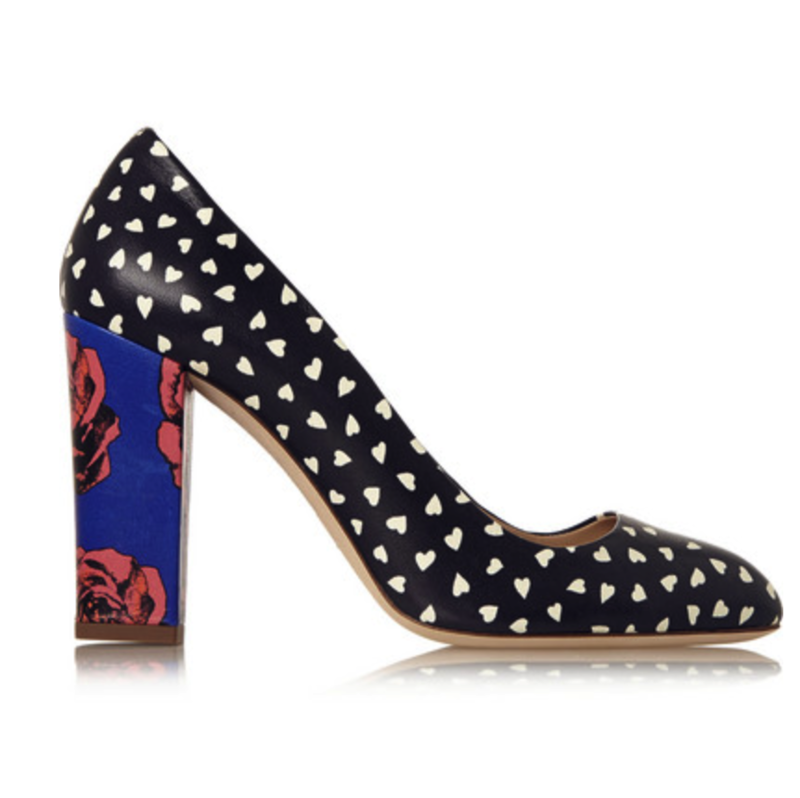 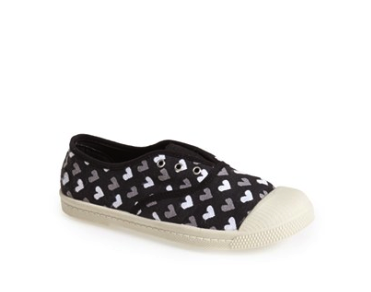 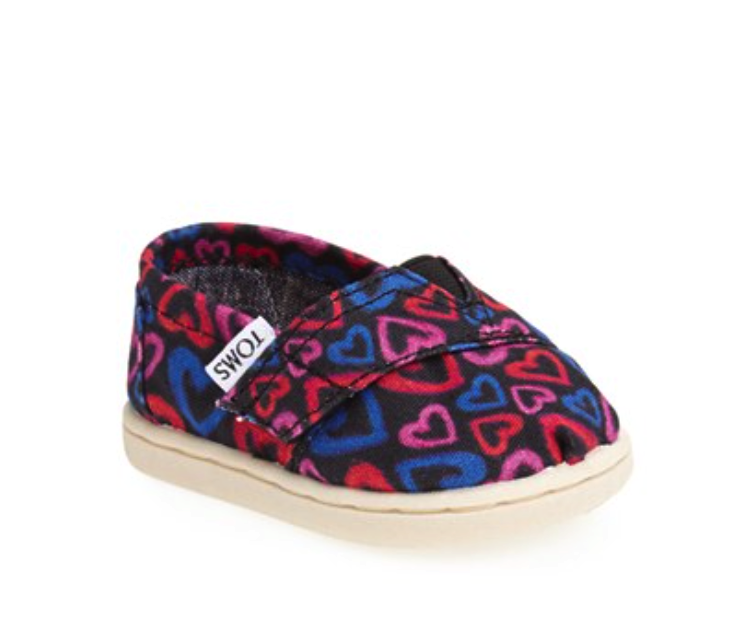 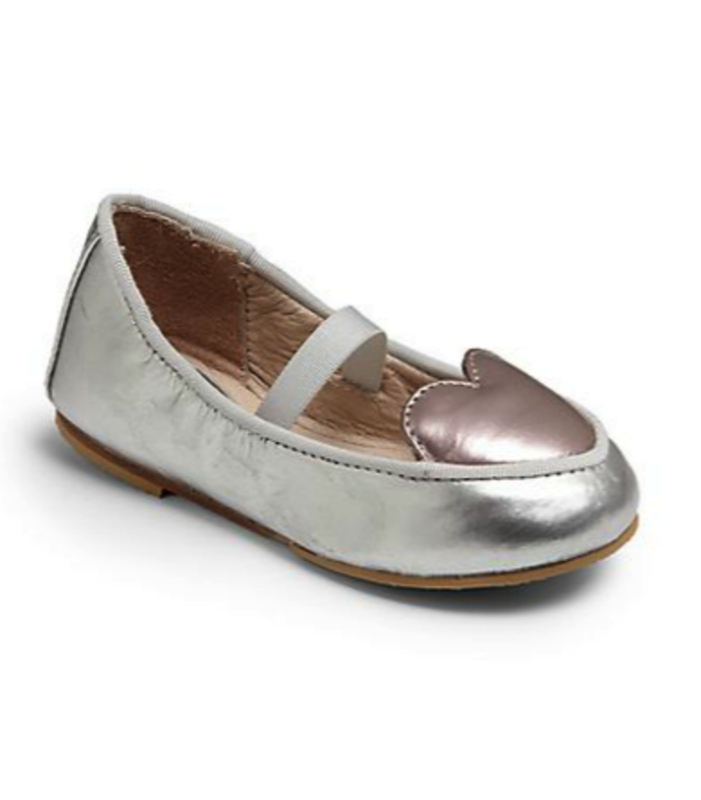 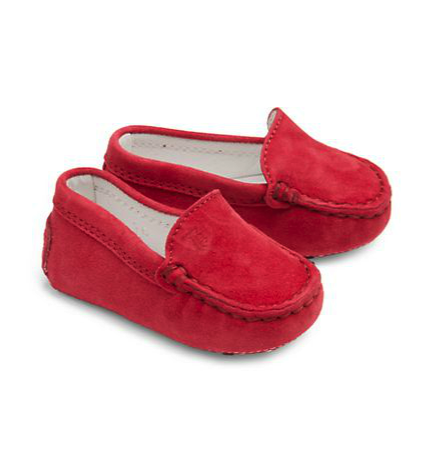 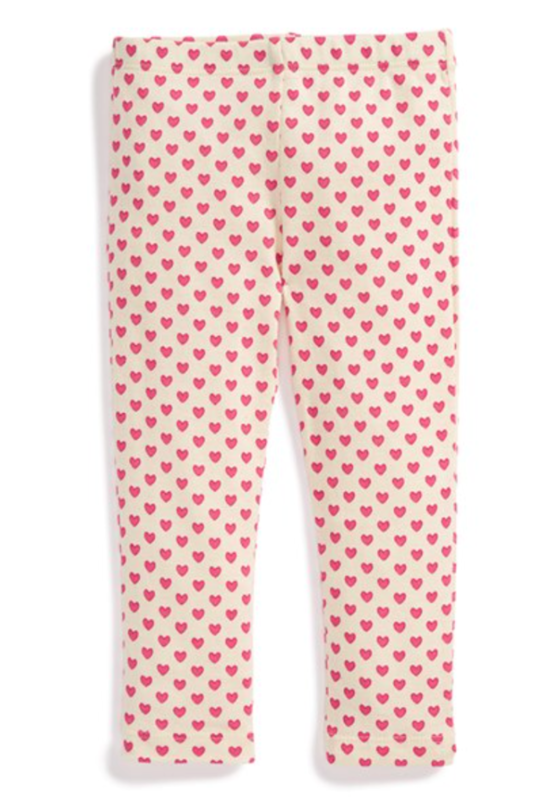 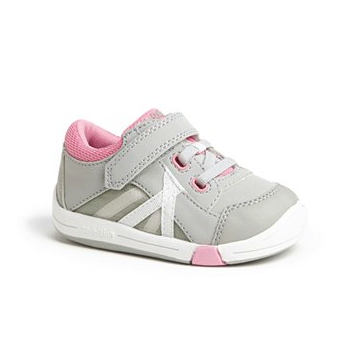 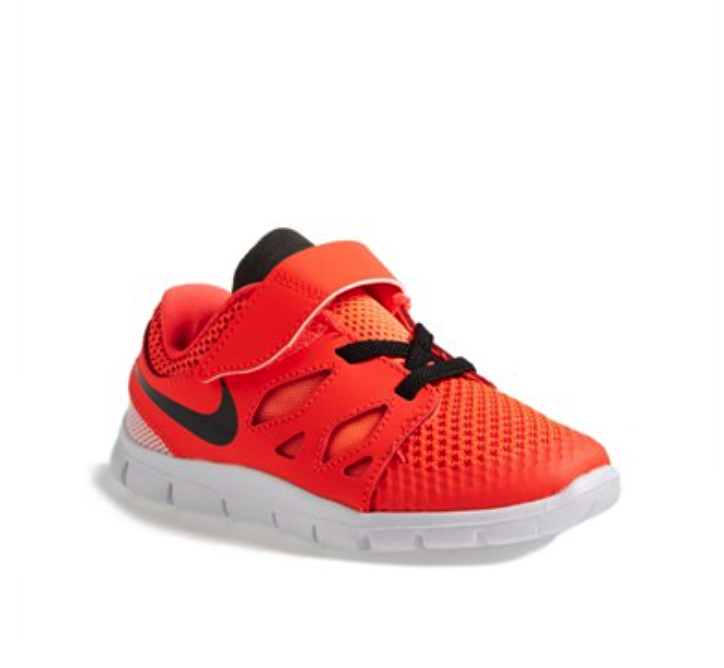 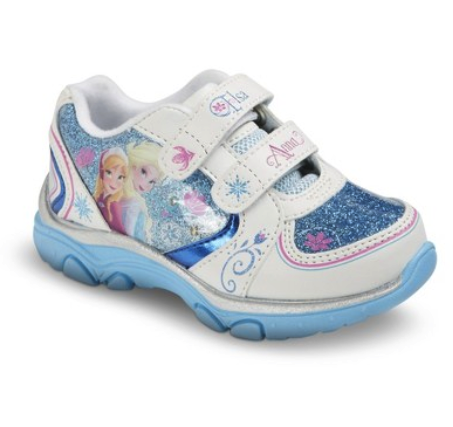 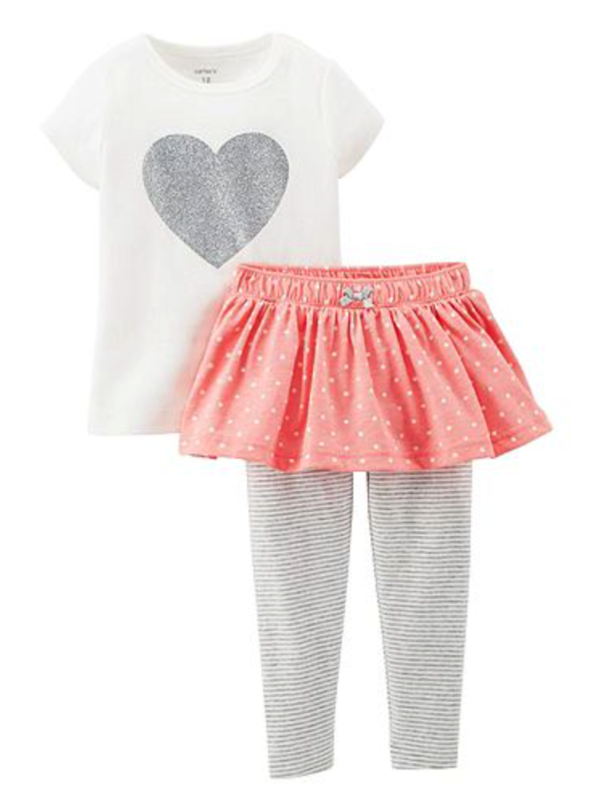 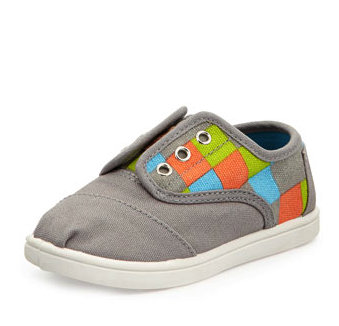 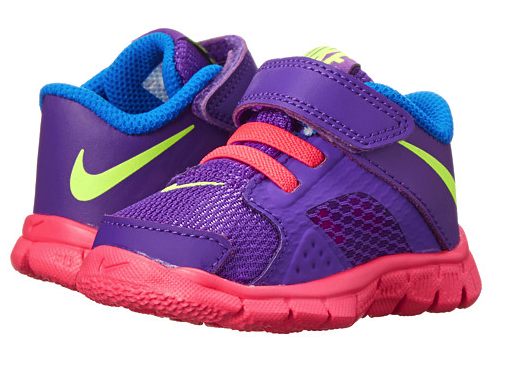 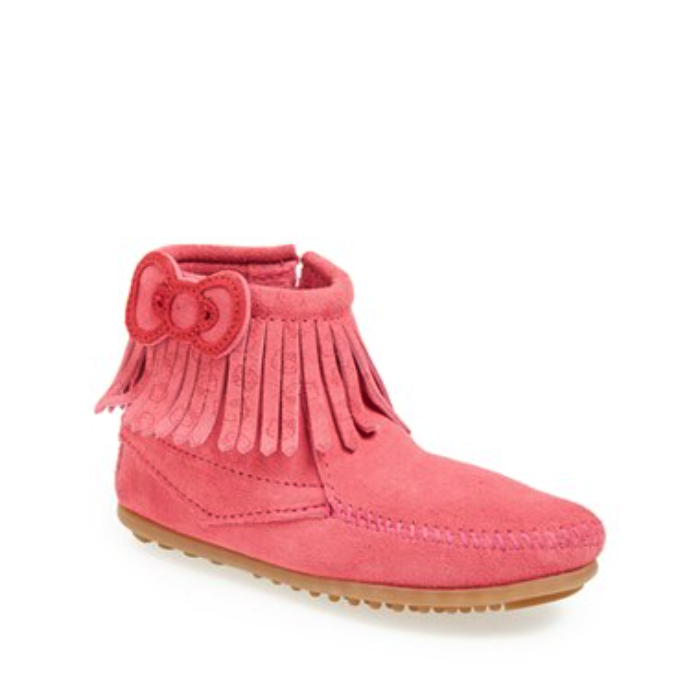 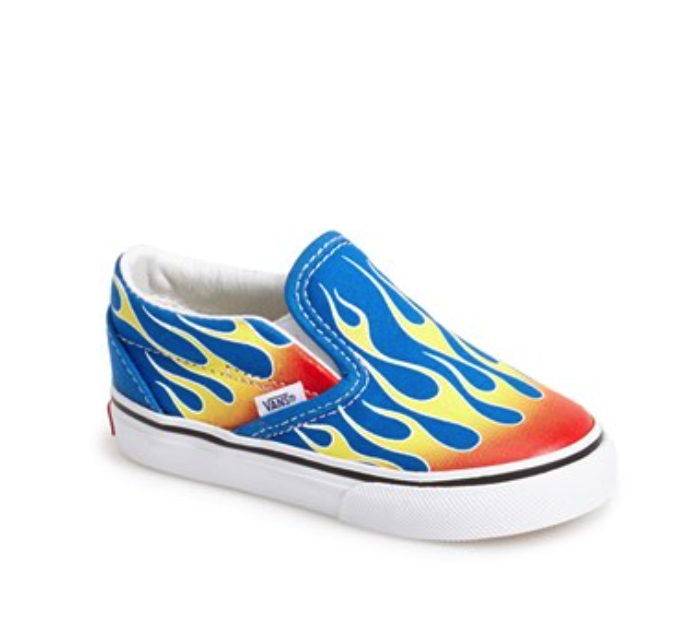 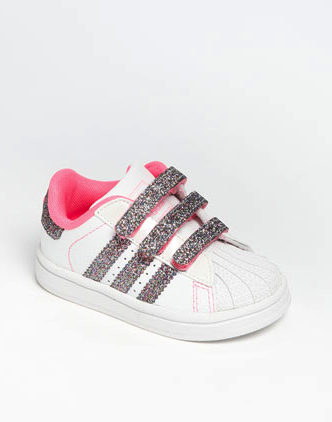 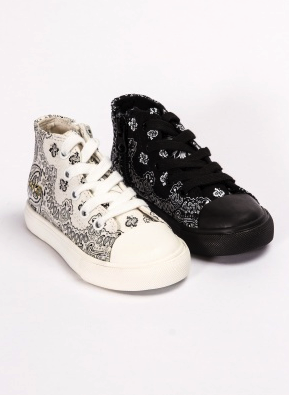 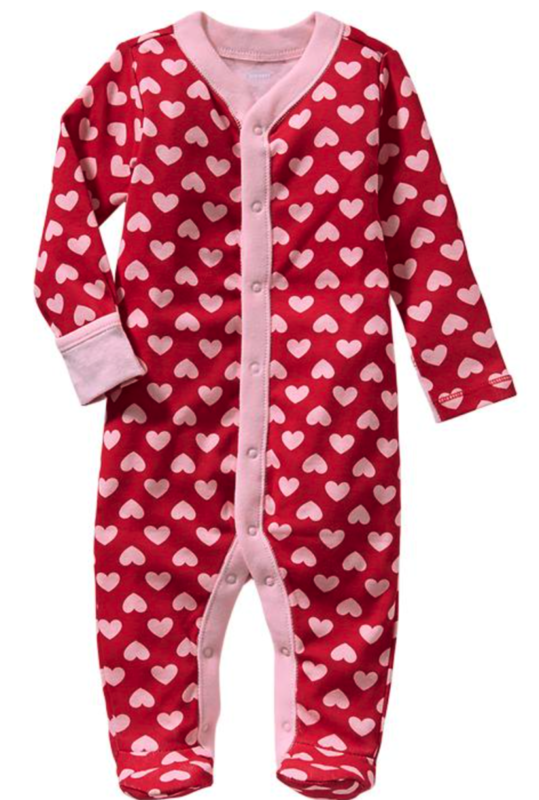 These little ones need shoes, so may as well find the most adorable ones, right? 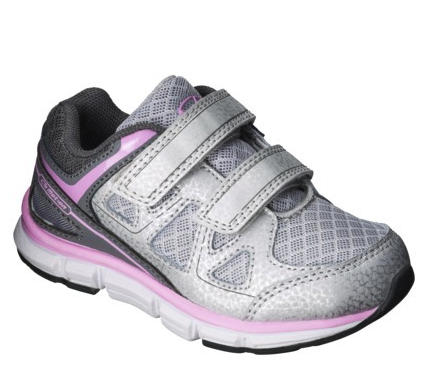 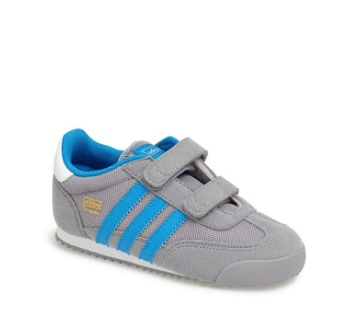 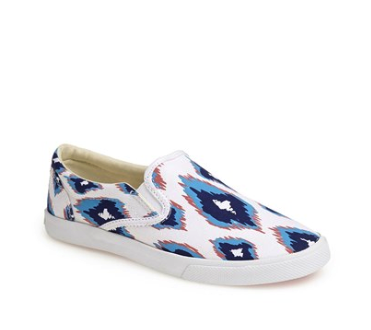 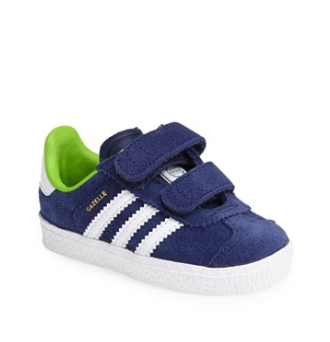 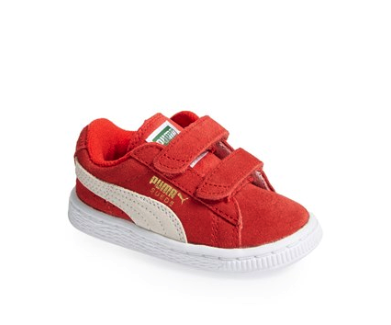 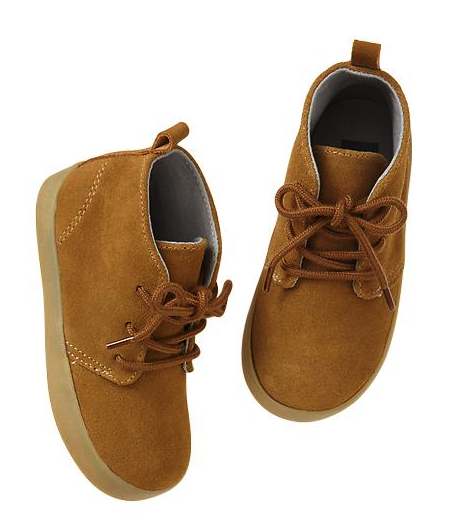 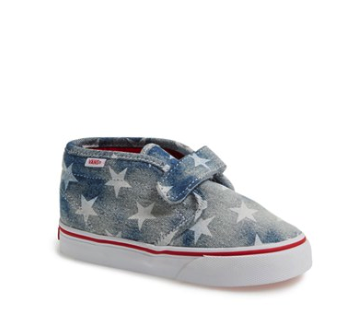 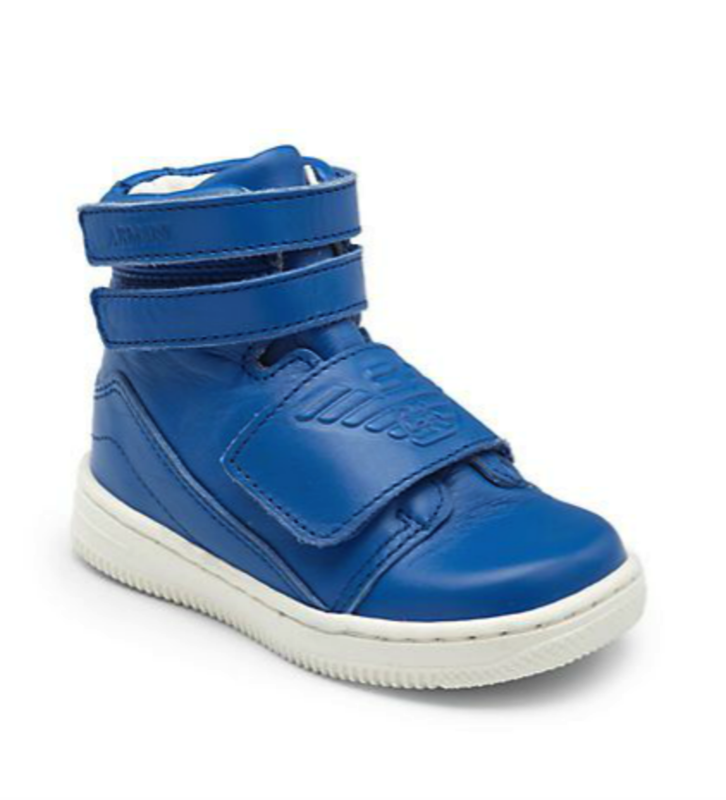 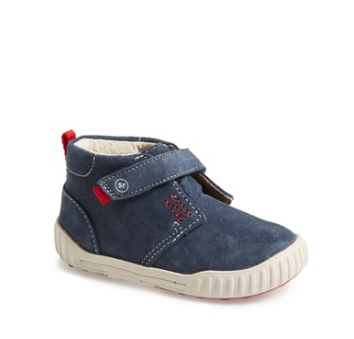 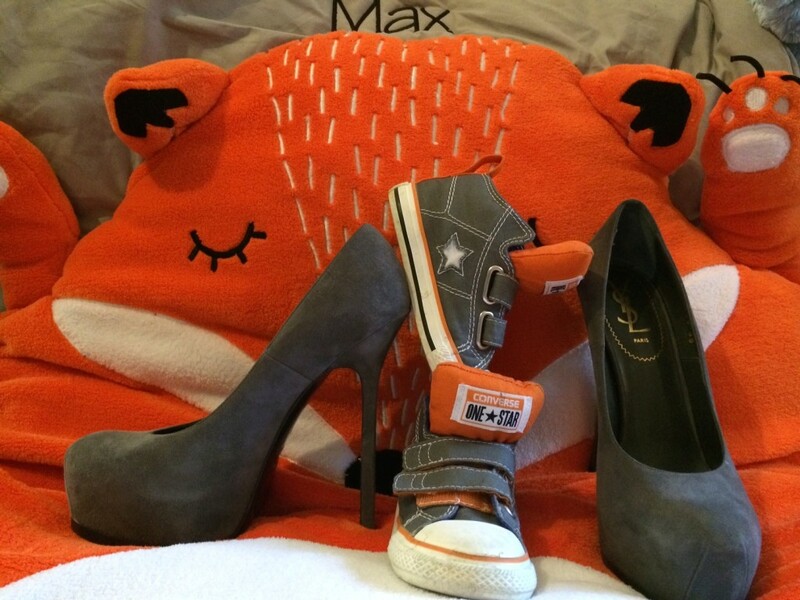 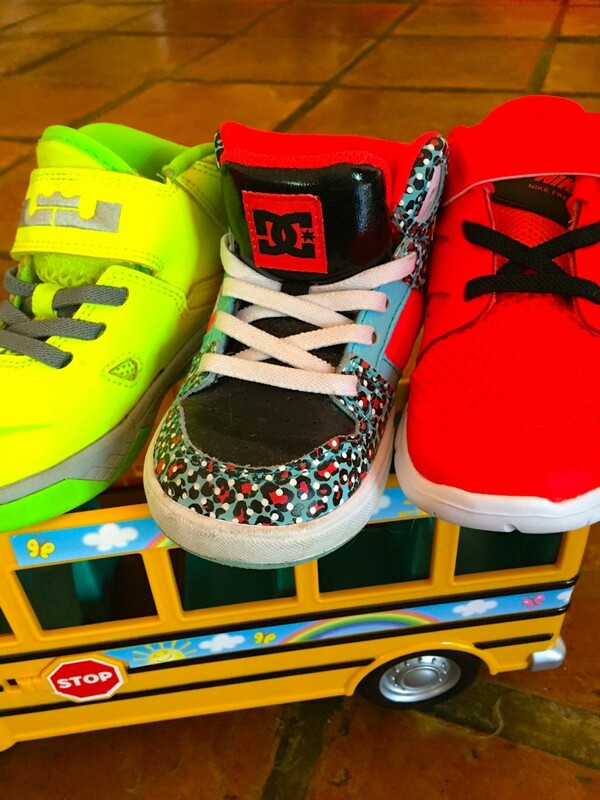 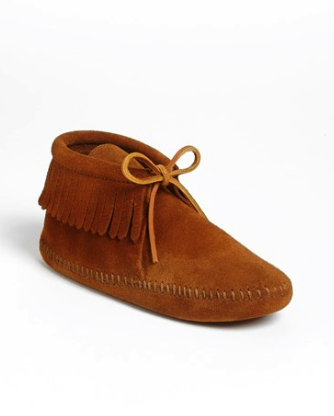 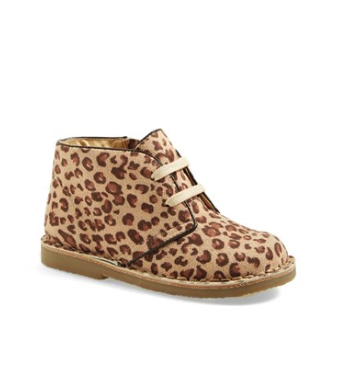 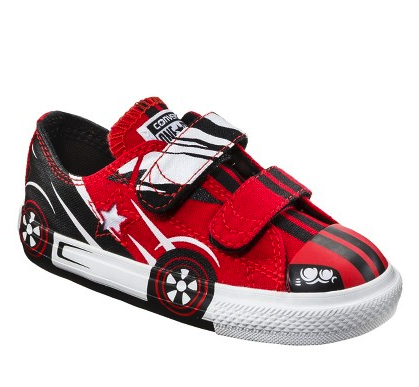 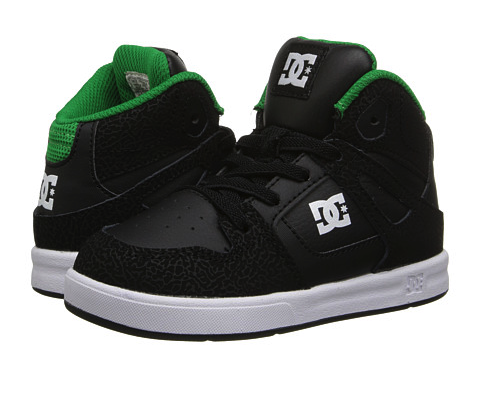 So check out my favorite kids shoes – Max has just grown out of size 8 so I’m on the hunt and springtime is coming! 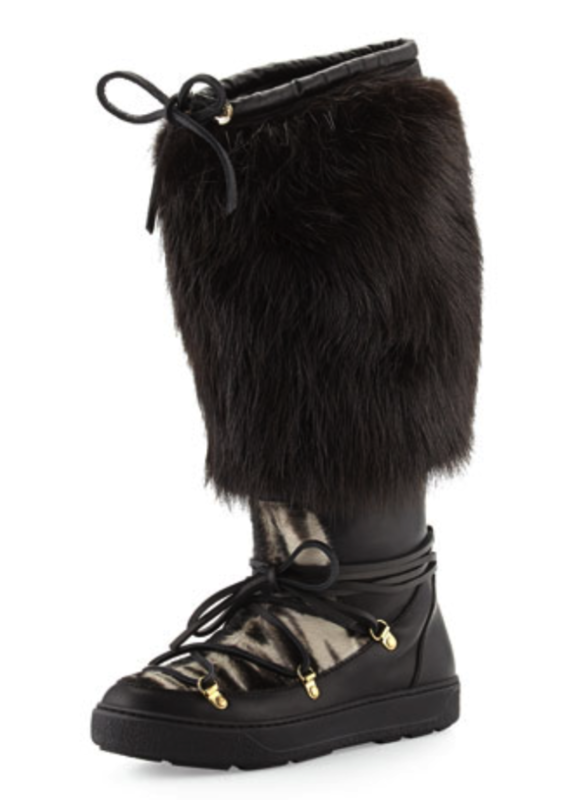 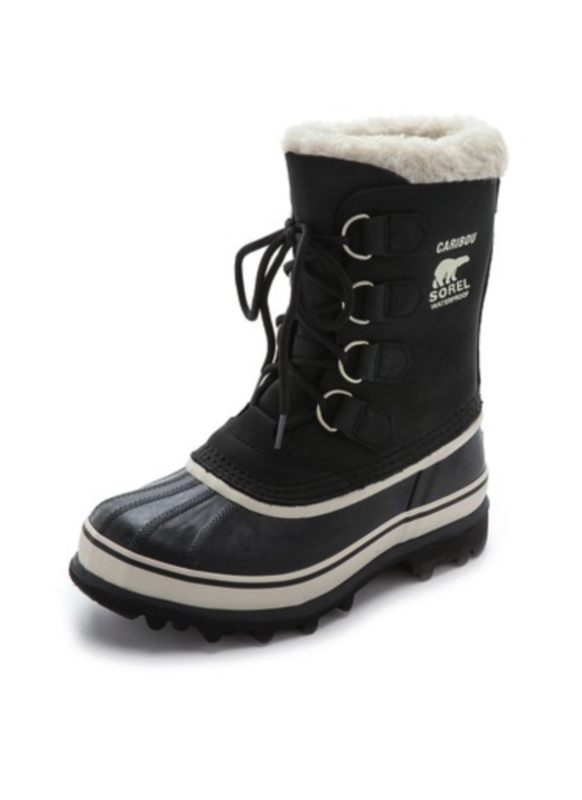 There I am in the frigid London snow rocking my Yak boots – sure I look like a polar bear to anyone in the bathroom stall next to me but they keep me warm and dry and that’s what great snow boots are all about! 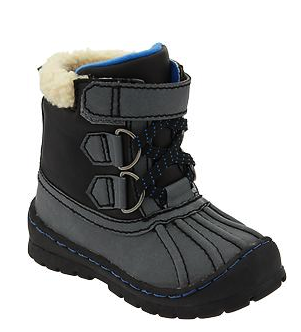 Following on my post from last week, I can’t be venturing out to colder pastures without some great snow boots for me and my little guy. 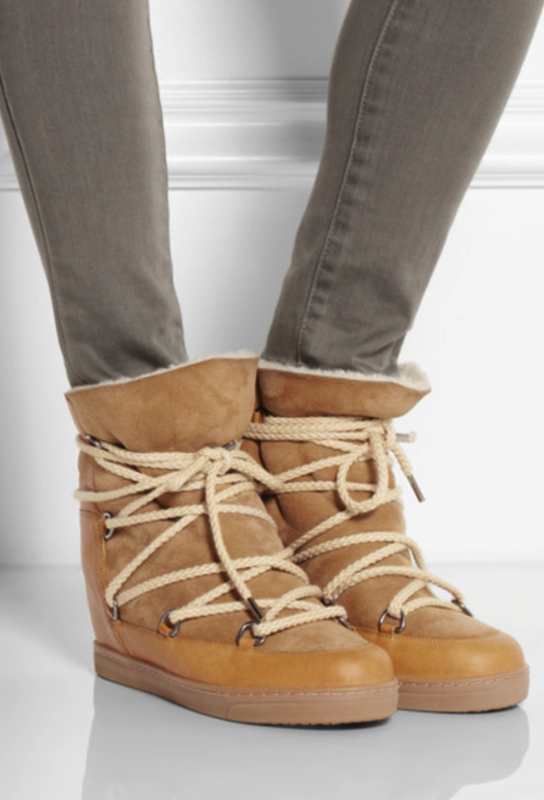 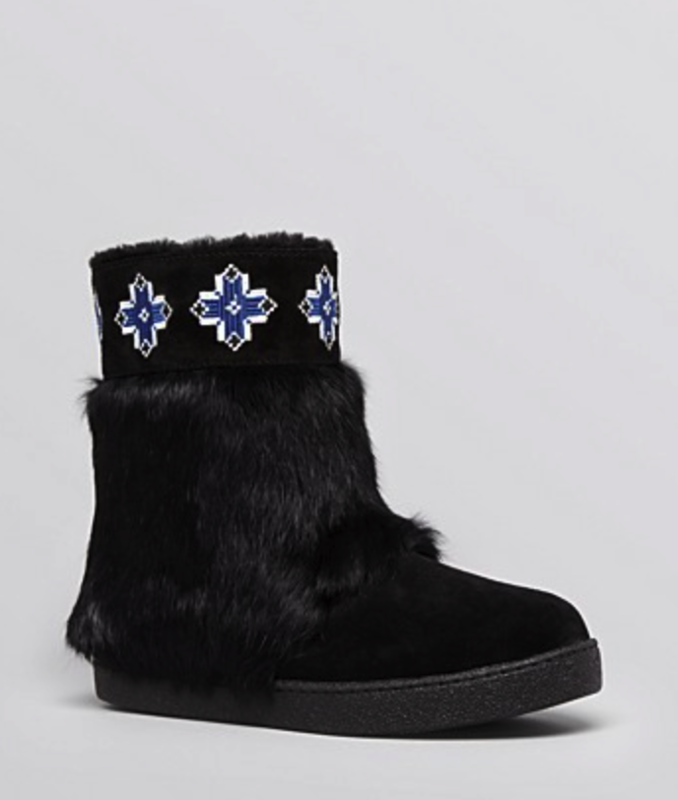 Listen, I have plenty of boots but anyone that has encountered snow before knows that your cute little leather booties aren’t going to cut the mustard. Snow boots are the real deal – they’ll keep you insulated so that your toots are warm and toasty and they’re water proof so that you don’t have to worry about the slush… Also very important, they have traction, this comes in very handy on those frozen, icy sidewalks - we’ve all done the slip and slide show in inappropriate footwear – I’m not doing that again! 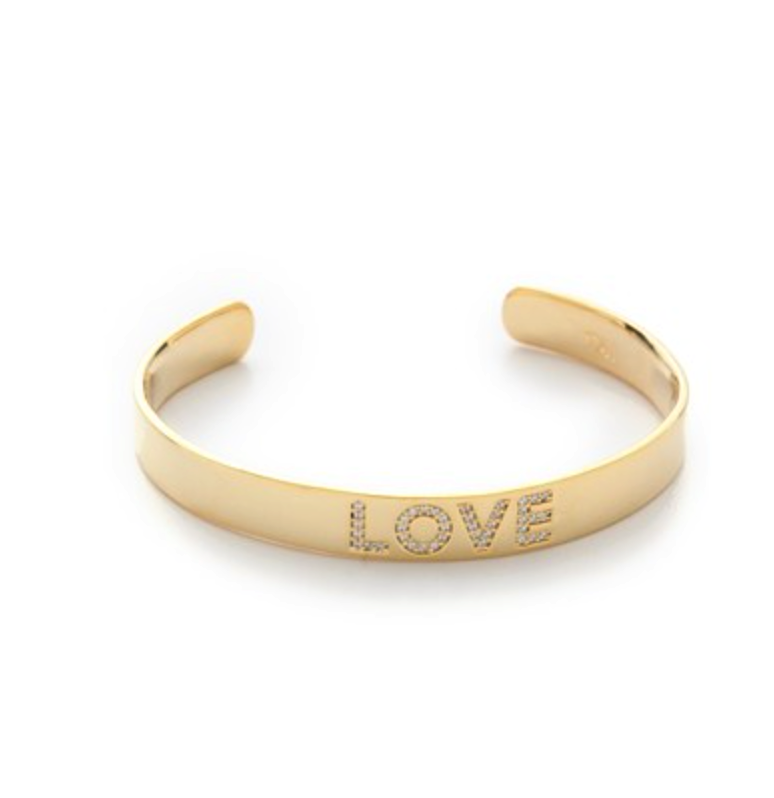 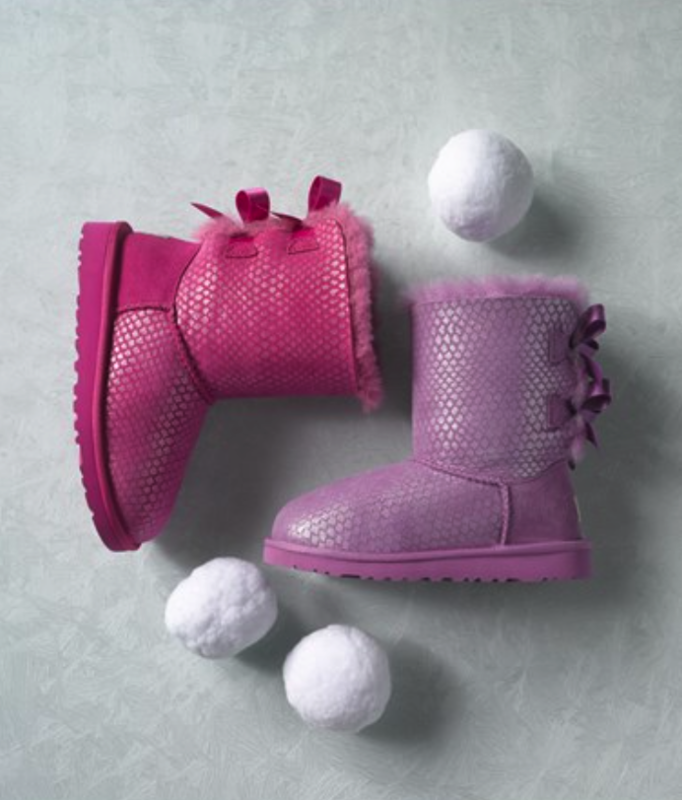 Yes, they are practical, but don’t get it twisted, there is also plenty of room for fabulous! 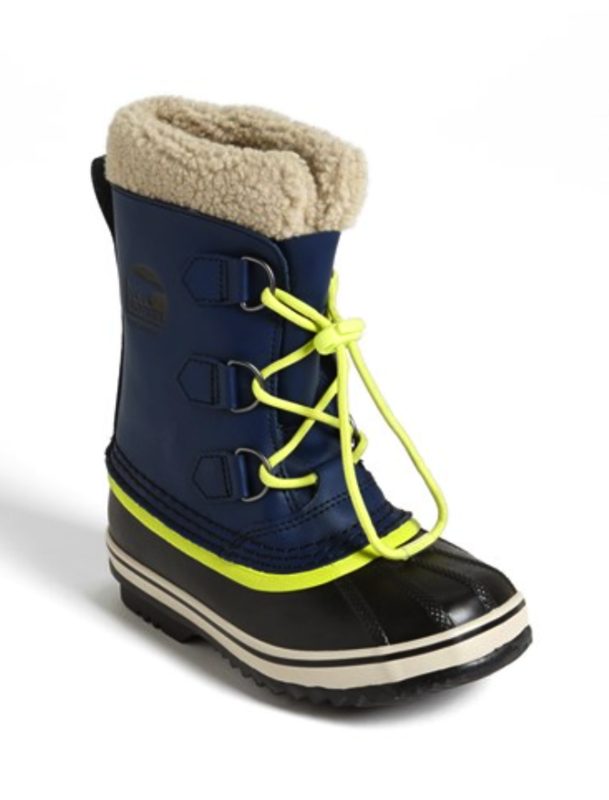 You’re not going to ski in these snow boots – these are all about the apres ski moments (aka drinking hot toddies by the fire in cute outfits) which is much more up my street… Or just plodding to work without any unfortunate tumbles… Check out some of my favorite cool yet practical snow boots to get you through the harshest winter storms or just a fun ski trip! 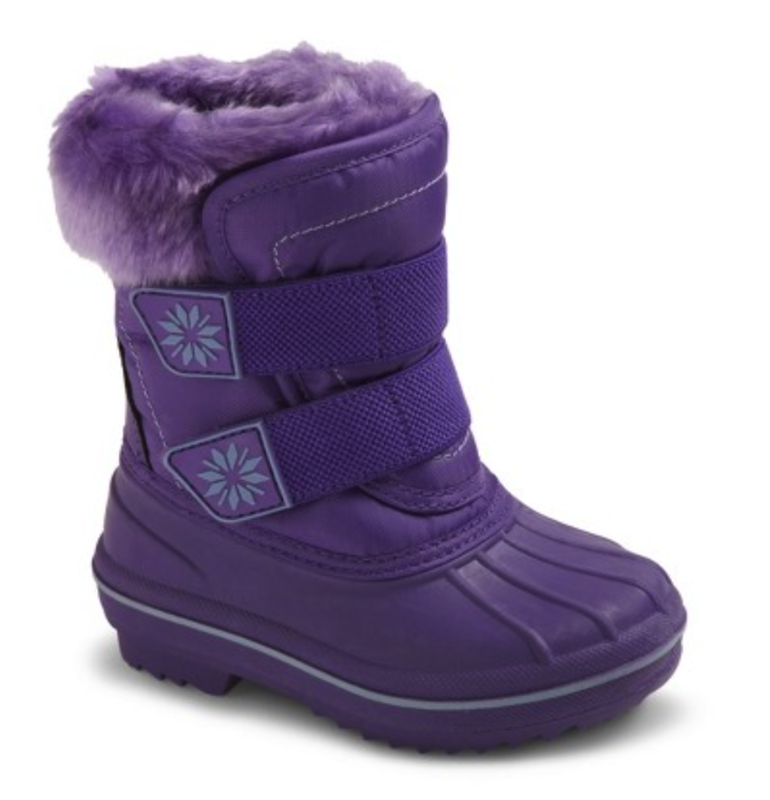 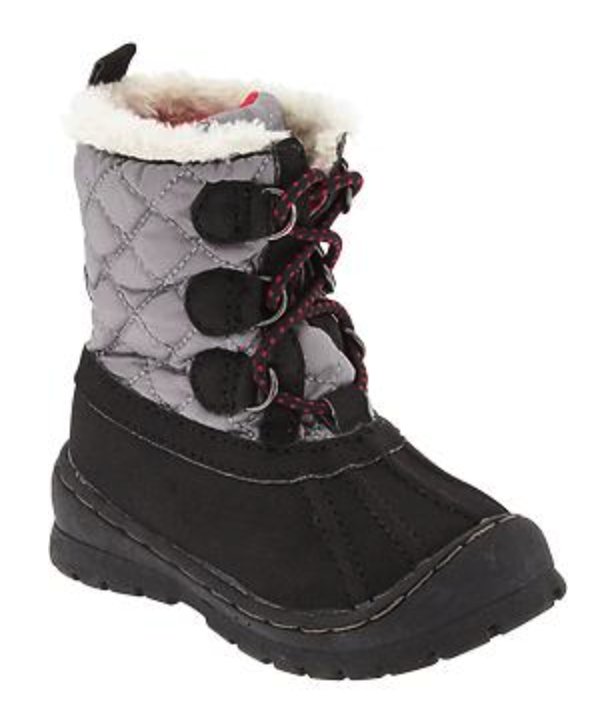 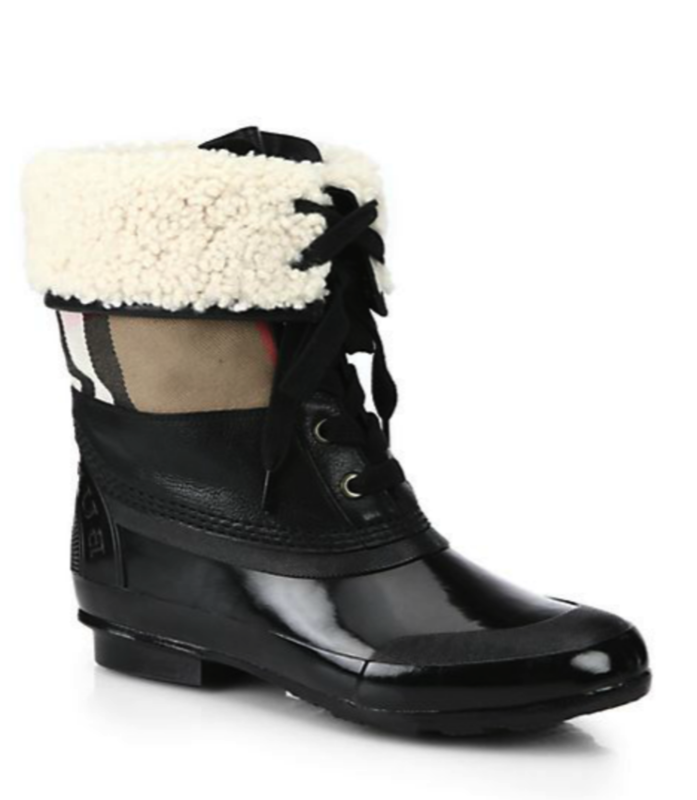 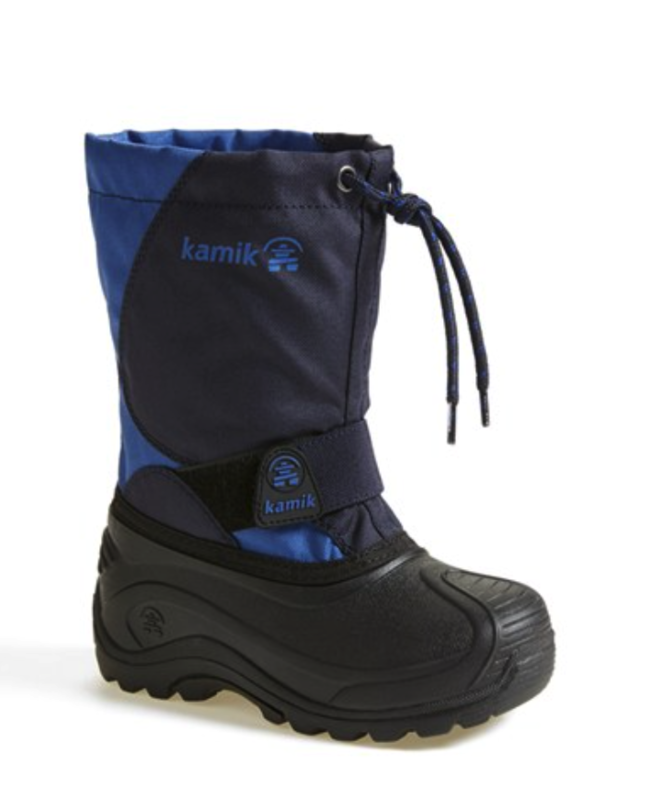 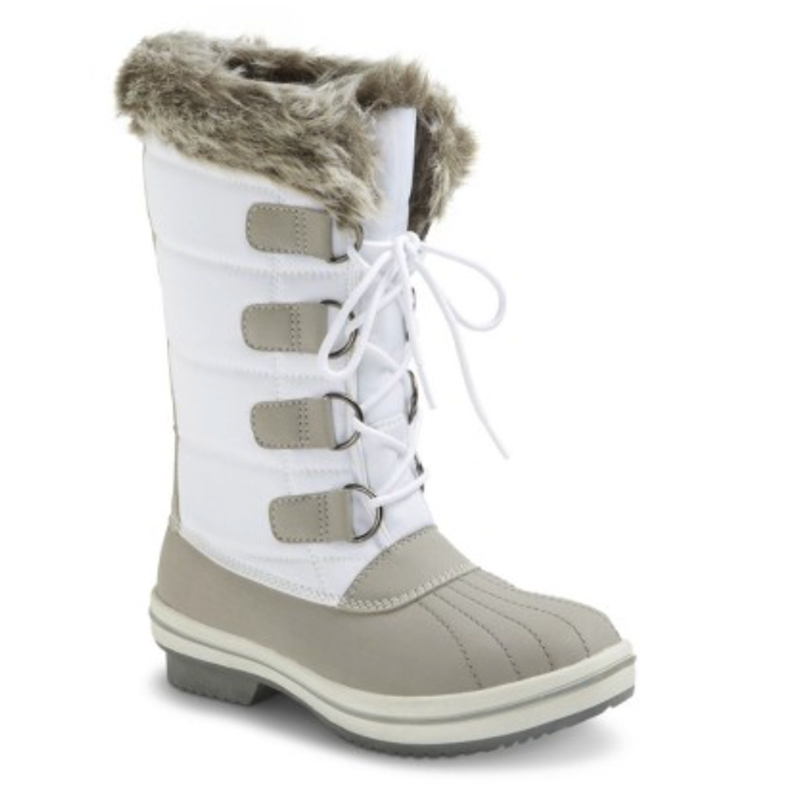 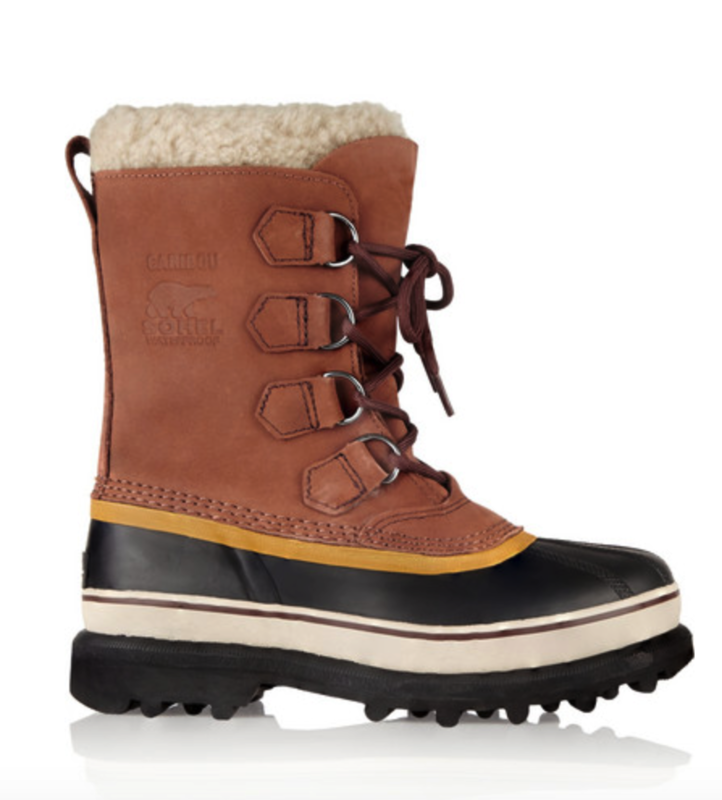 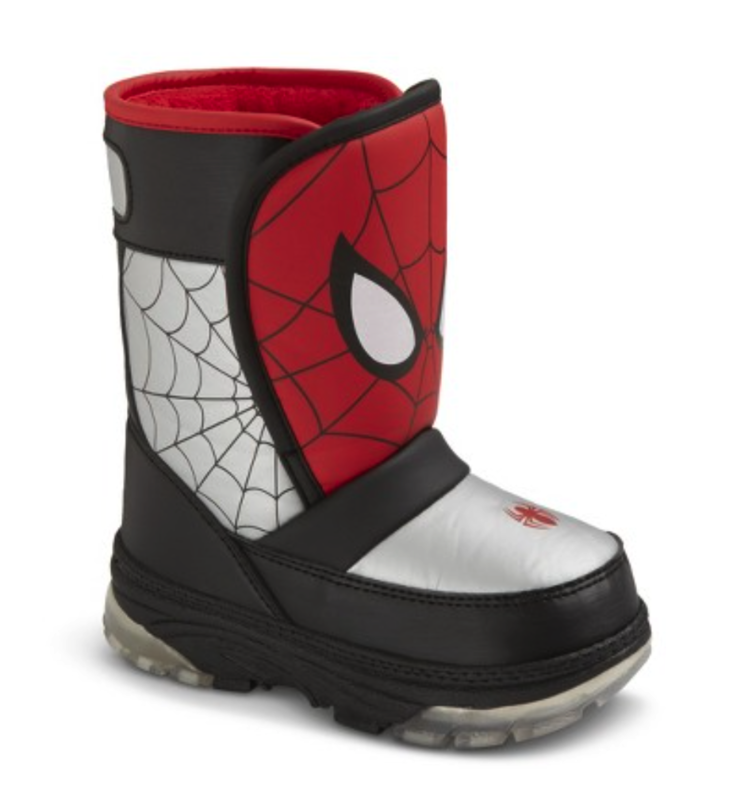 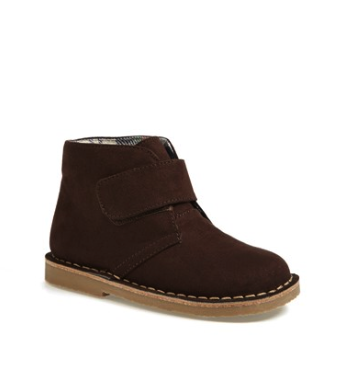 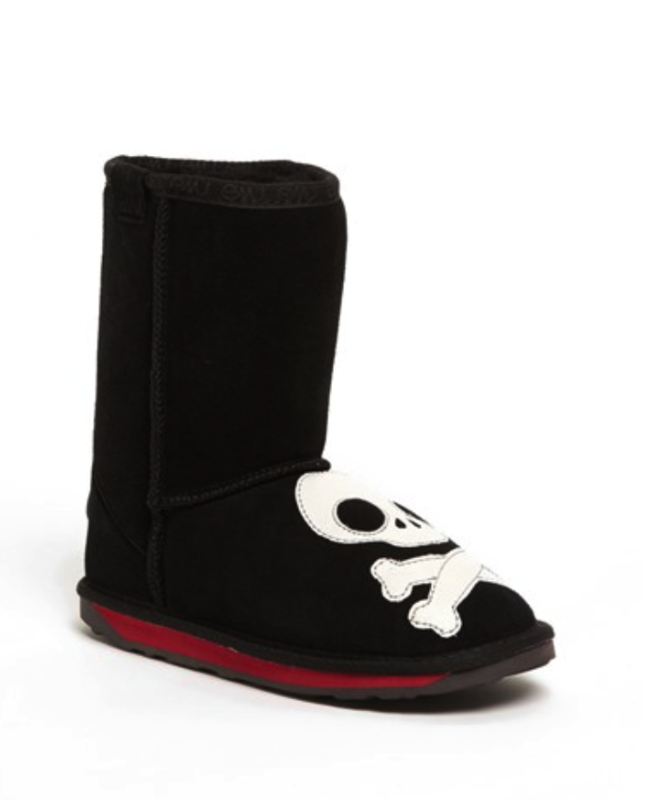 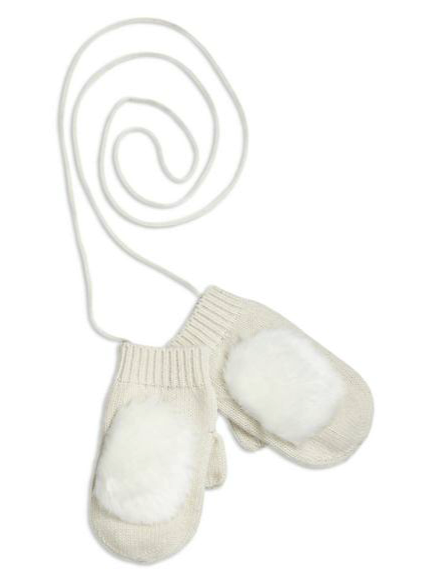 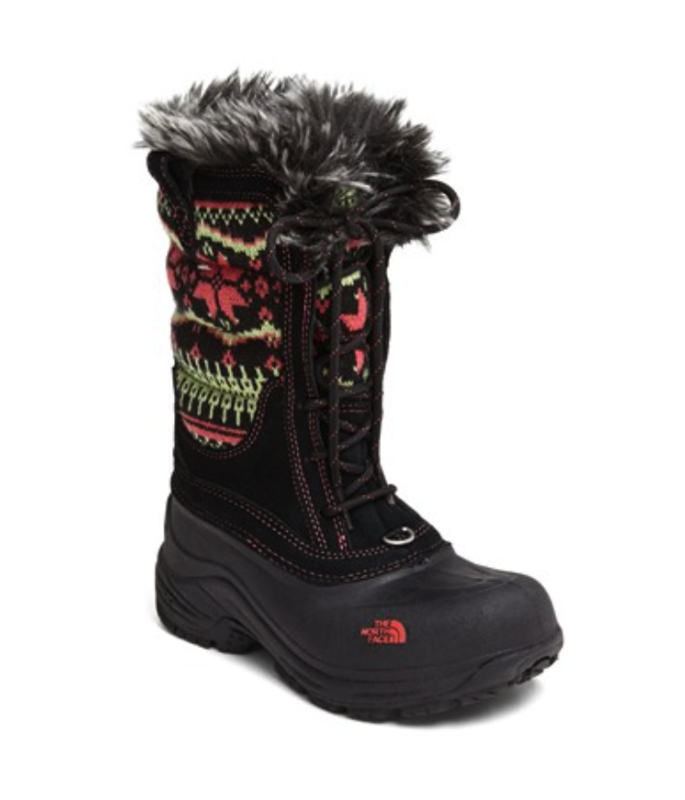 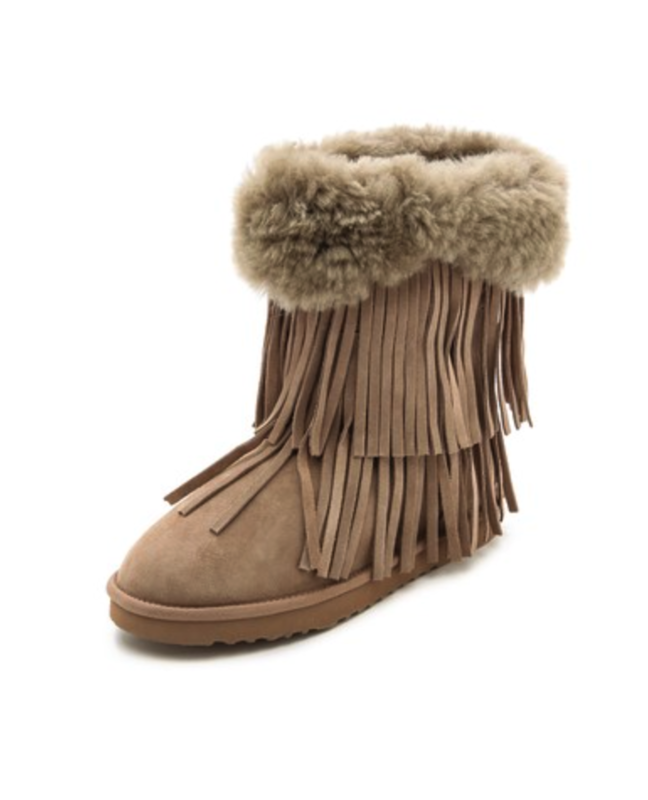 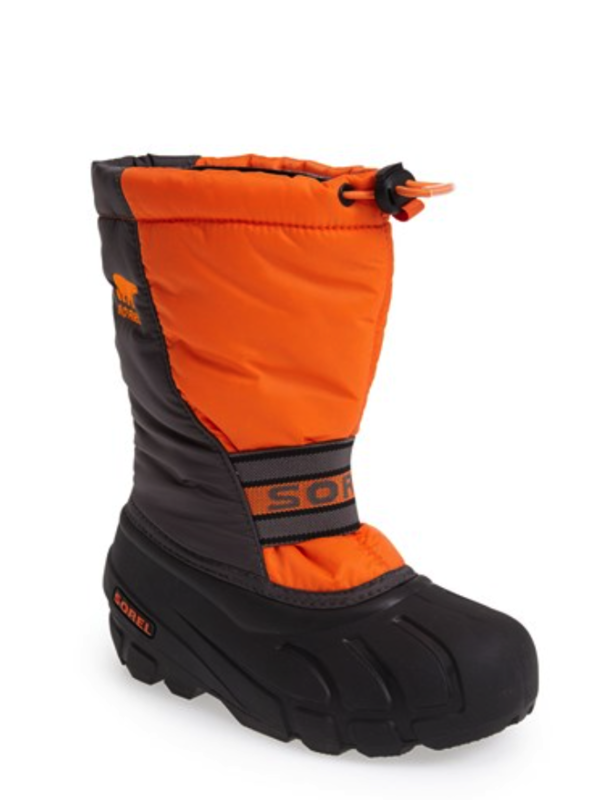 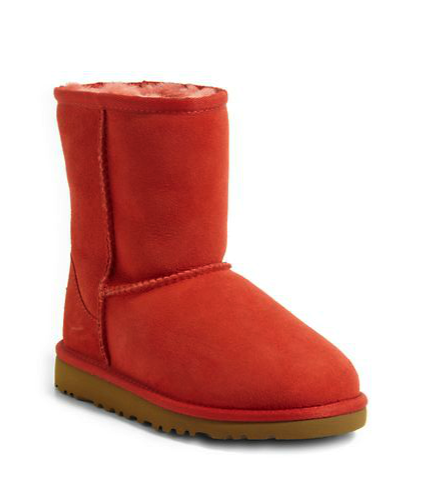 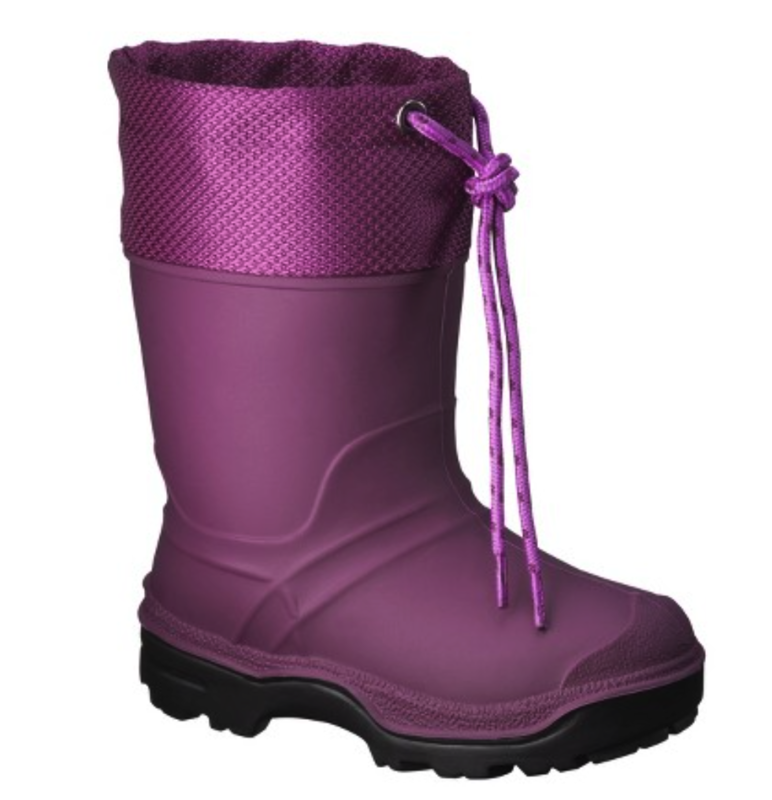 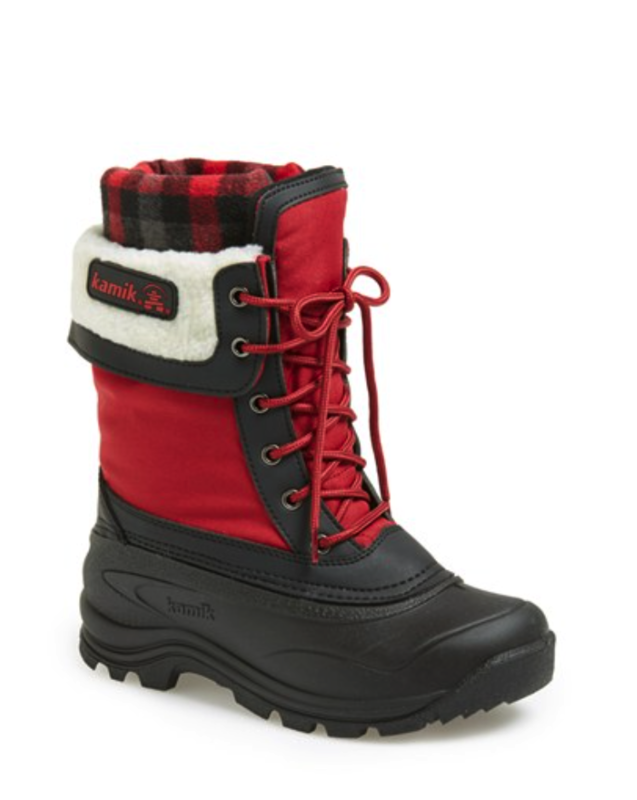 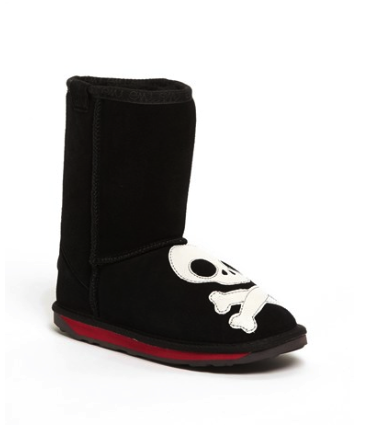 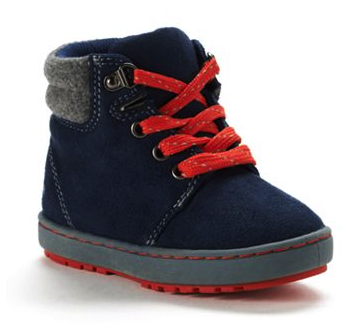 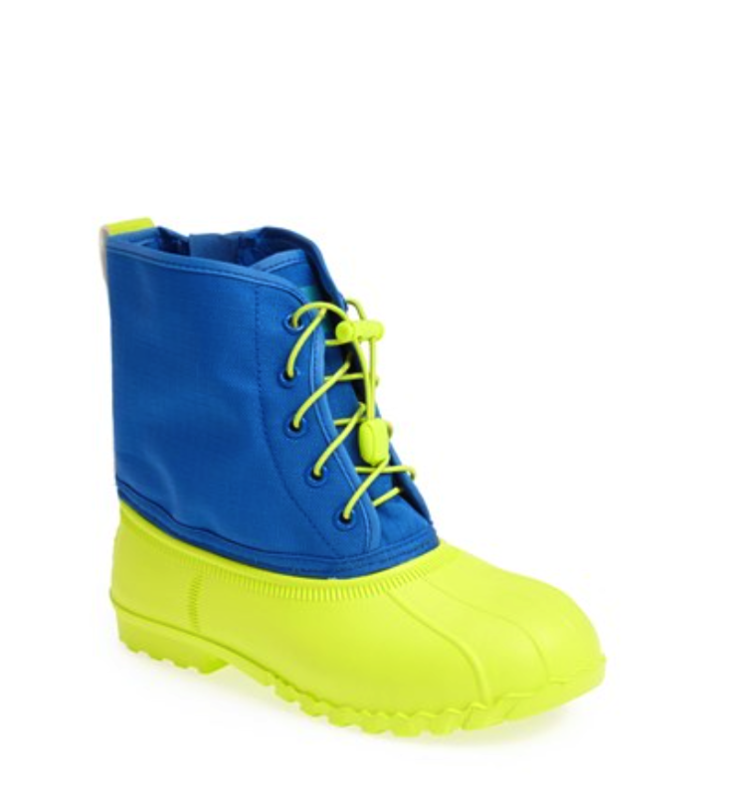 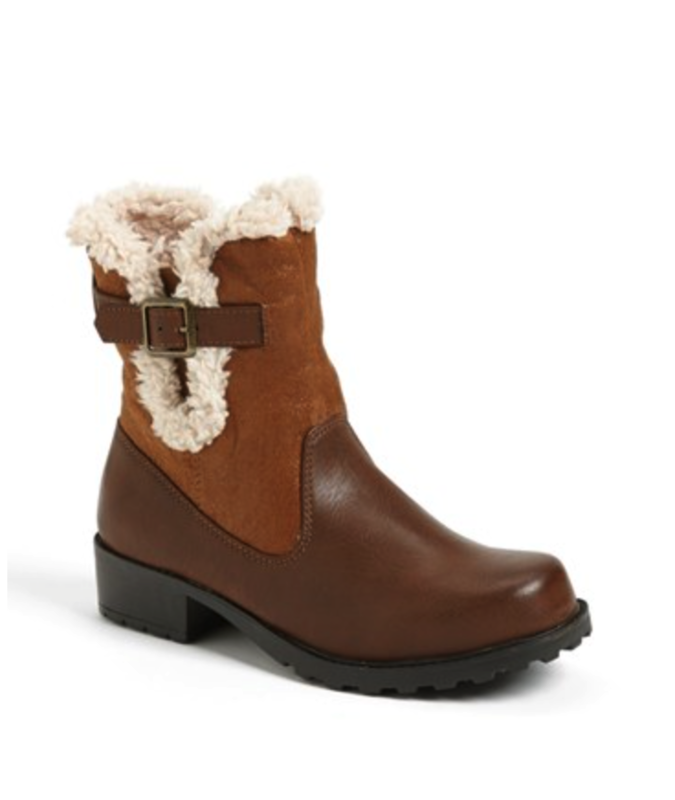 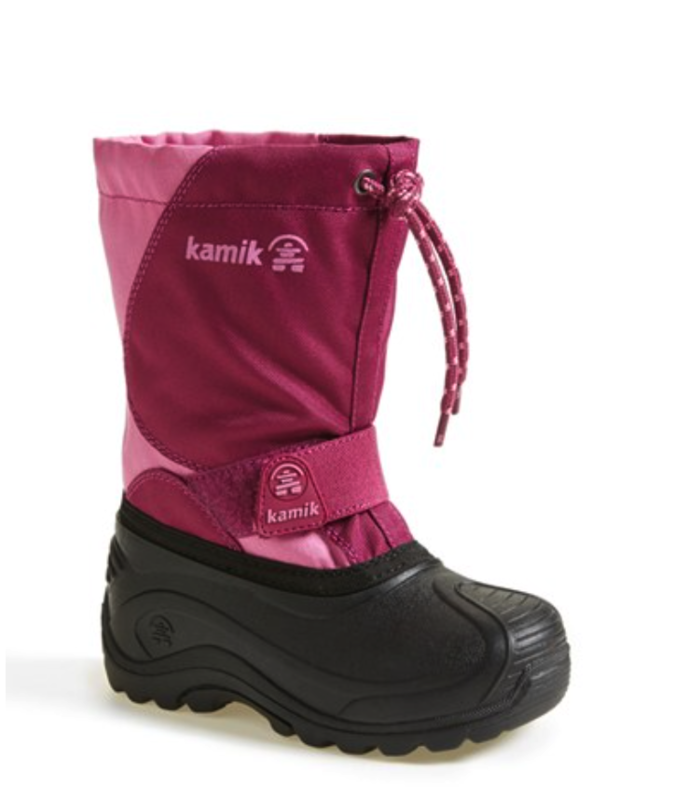 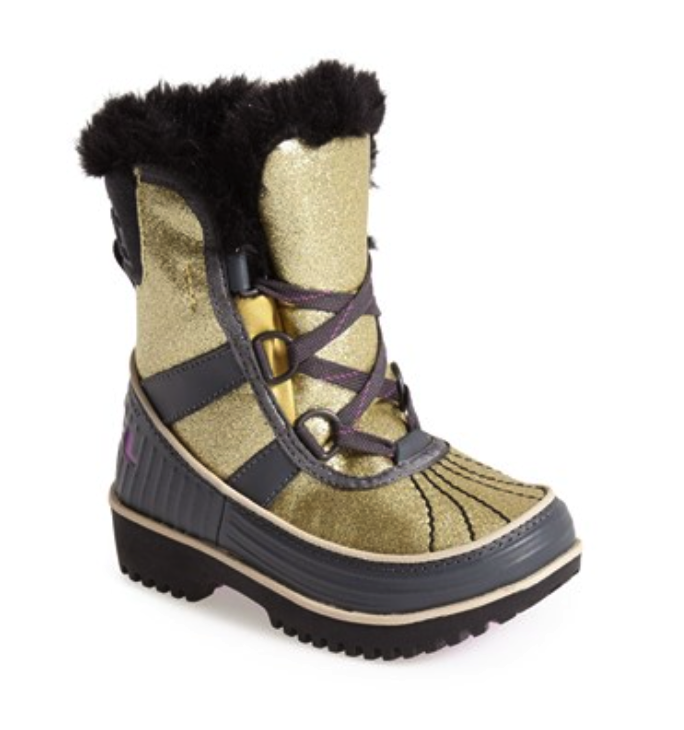 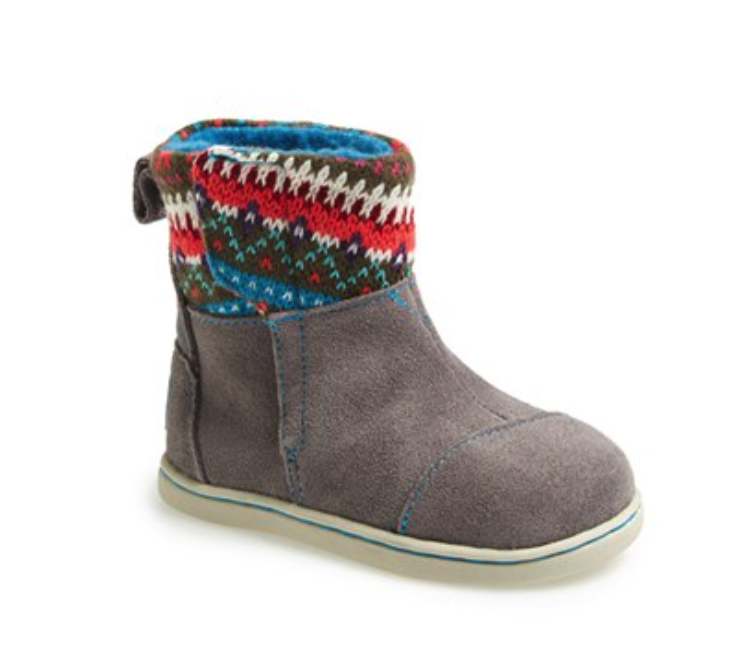 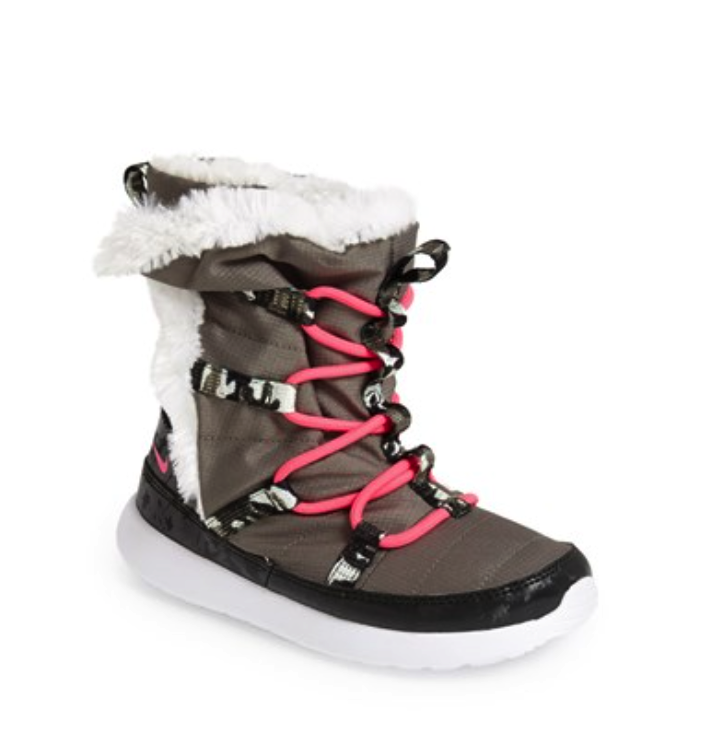 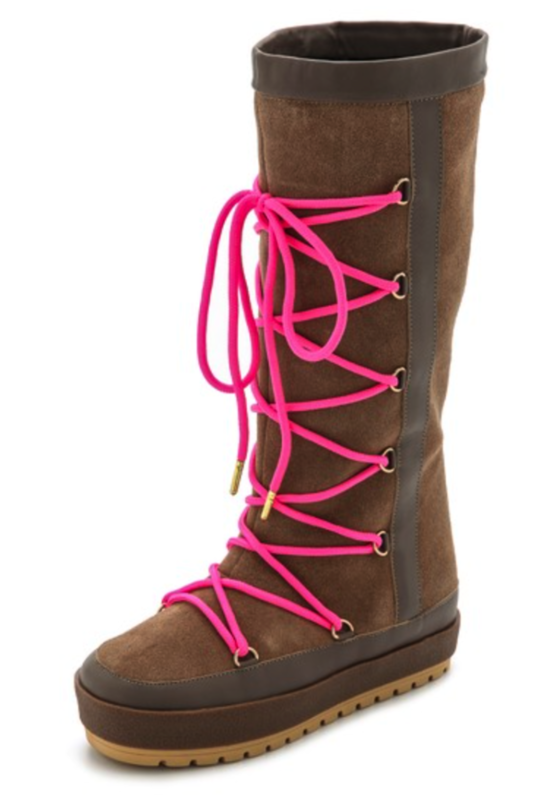 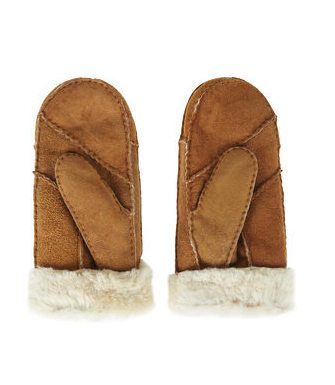 And some great snow boots for our little ones! 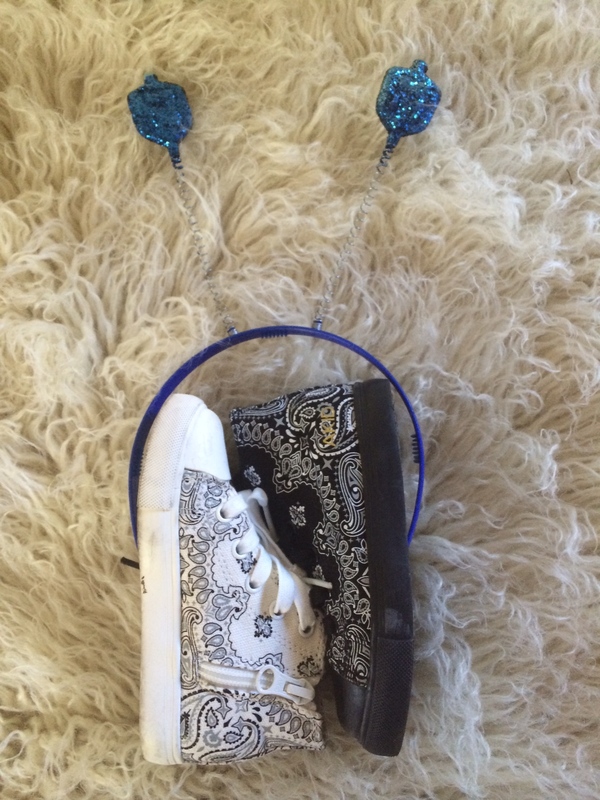 Happy Hanukkah!! 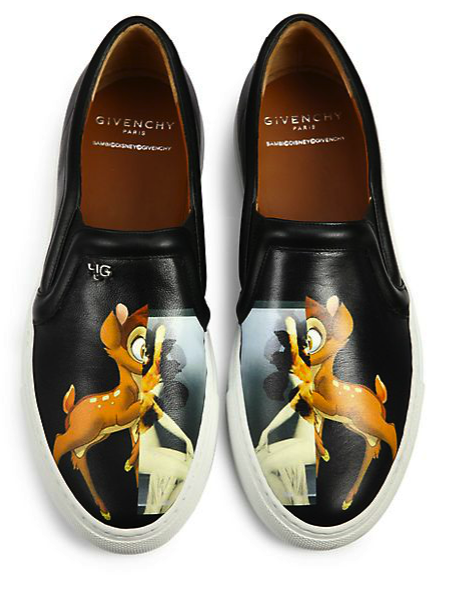 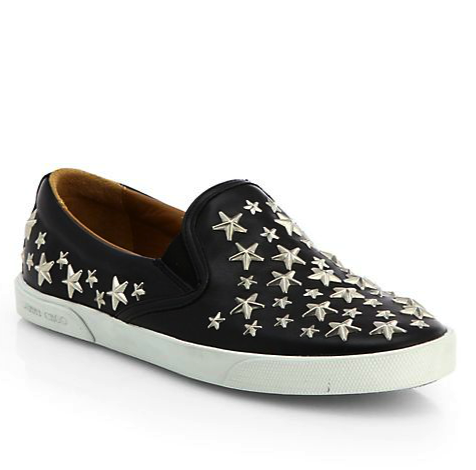 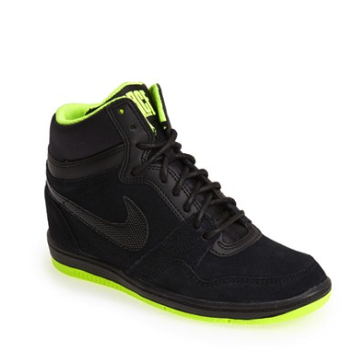 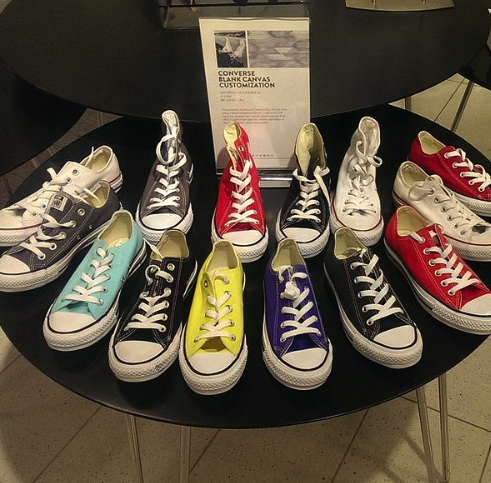 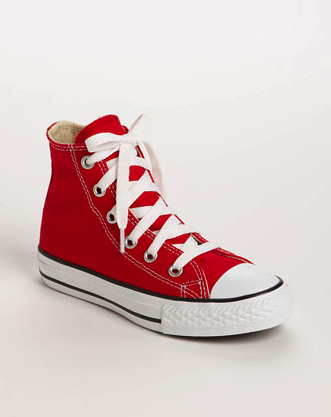 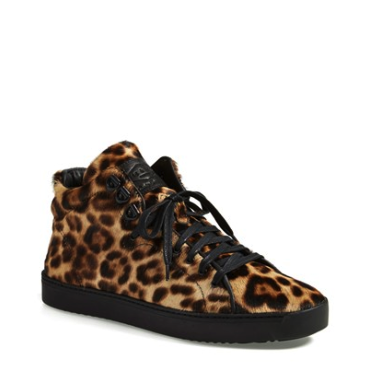 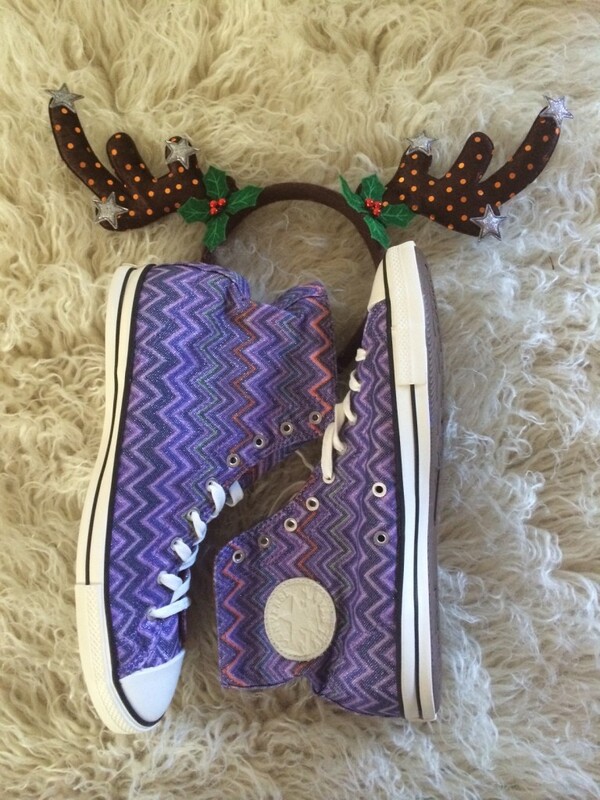 Perhaps celebrate the Christmukkah season with some fabulous new sneakers. 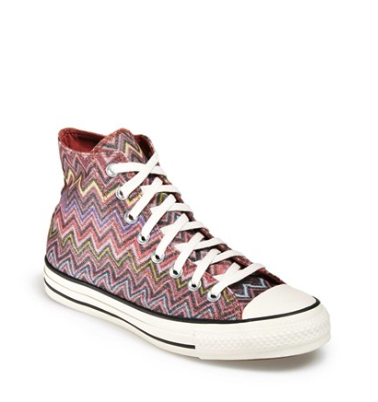 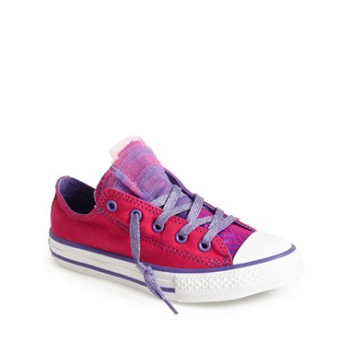 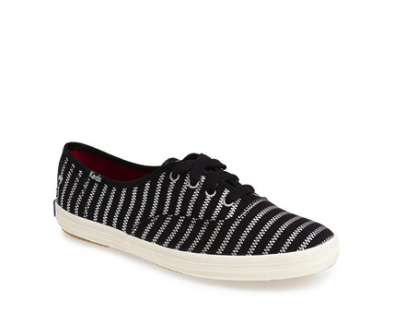 I’m not a typical sneaker’s girl so you know I went for the Missoni Converse! 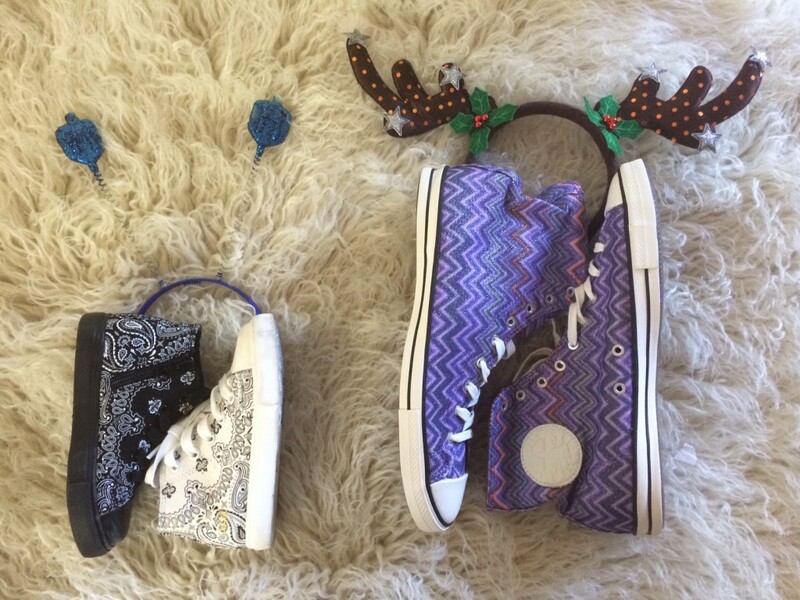 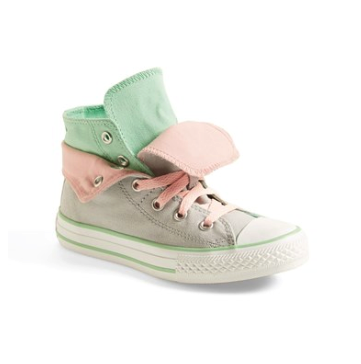 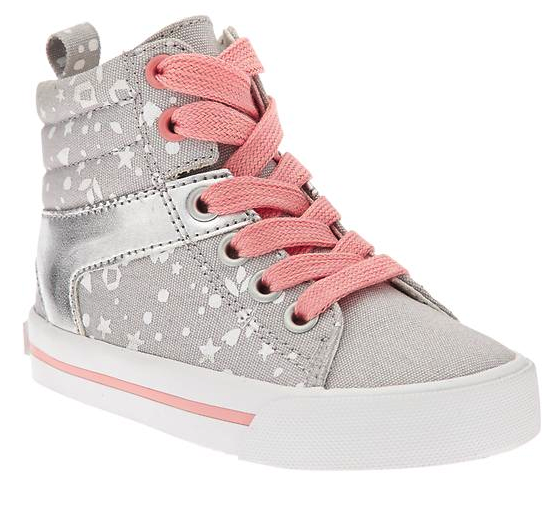 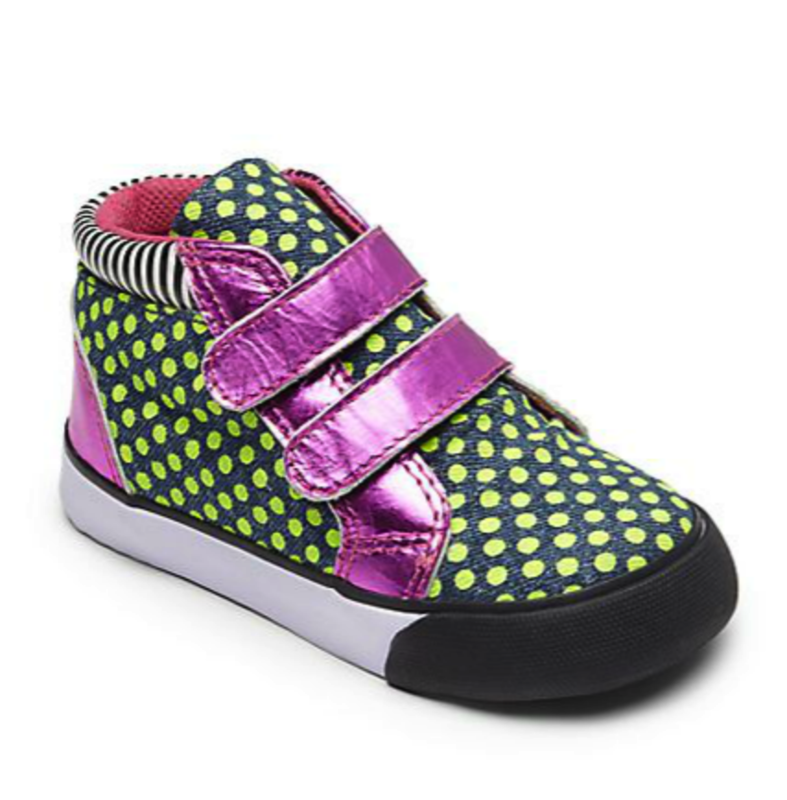 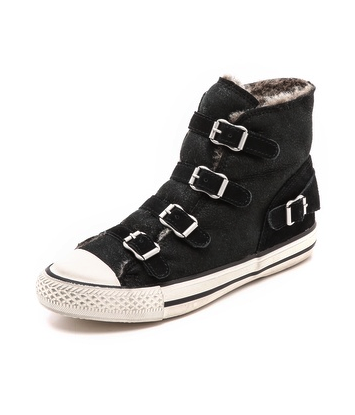 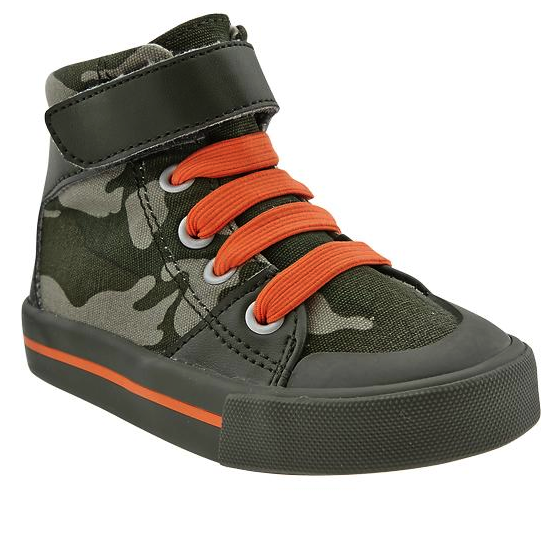 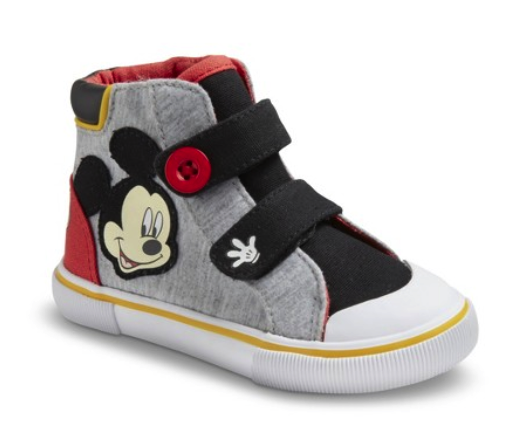 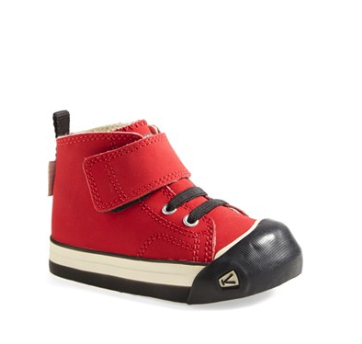 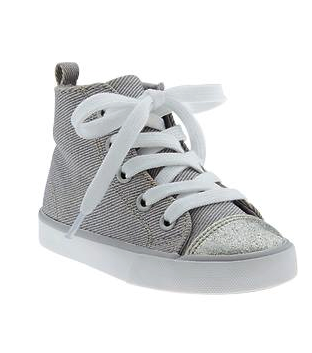 These mismatched Akid hi-tops are adorable on Max and are an amazing git from his stylist god mom – we are obsessed! 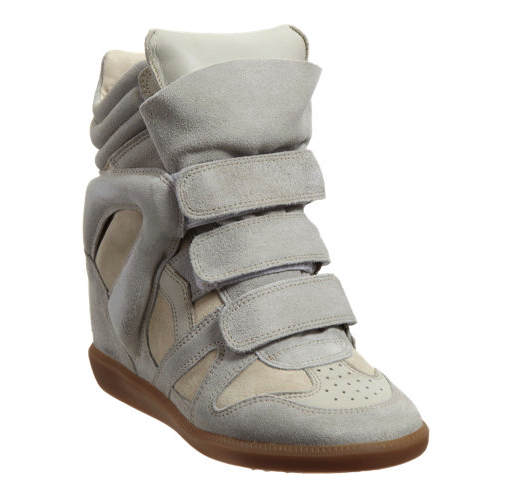 Anyone of my friends and family will tell you that I am not a sneakers kinds of girl. 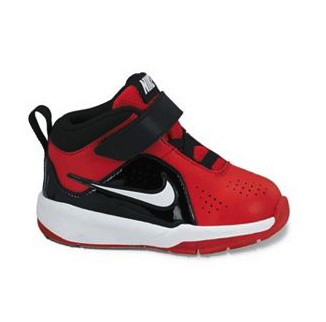 I’m not athletic and in general, they have never been something I’ve gravitated towards. 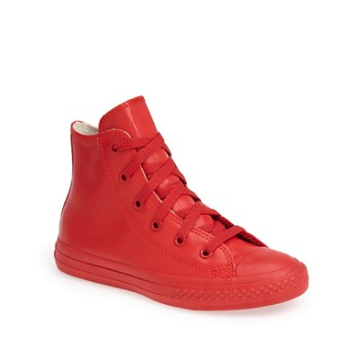 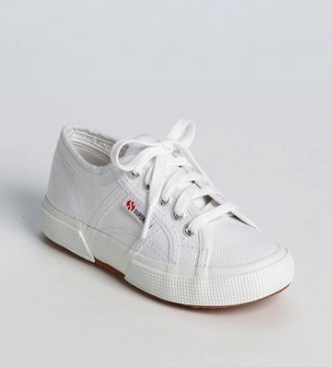 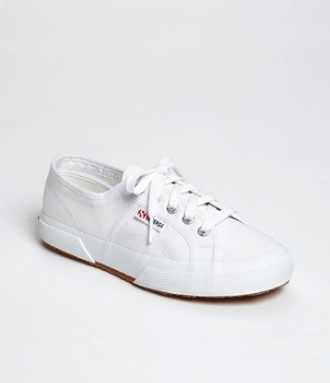 The only sneakers I’ve had in years are the wedge kind, and let’s face it – they’re not really sneakers… All of that said, I’ve discovered 2 things recently: sometimes the perfect sneakers are exactly what is needed to complete a great look and there are actually some super cool options out there that are NOT simply about function. 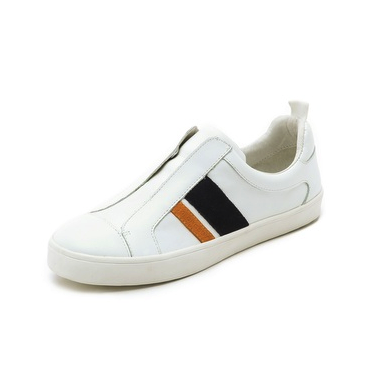 These are not necessarily the shoes that will give you the perfect jump, or help you run that marathon, these are the more stylish version that will allow you to take a walking tour of paris allowing you to be both comfortable yet fashionable. 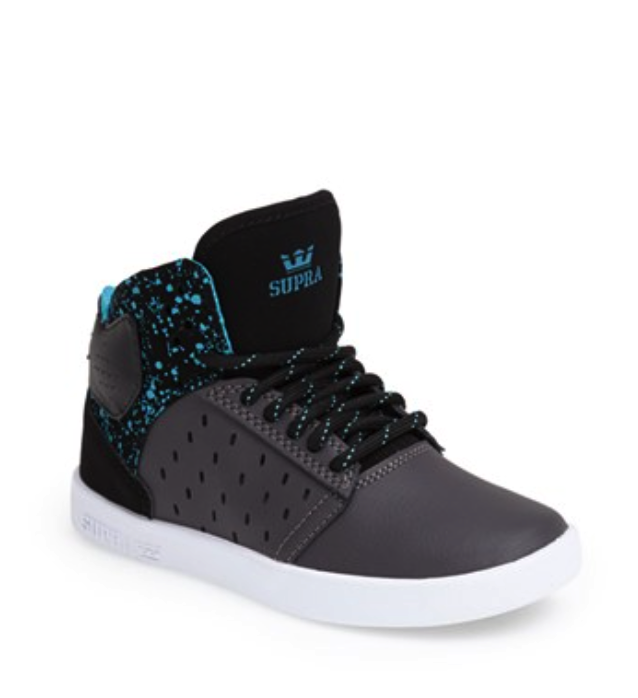 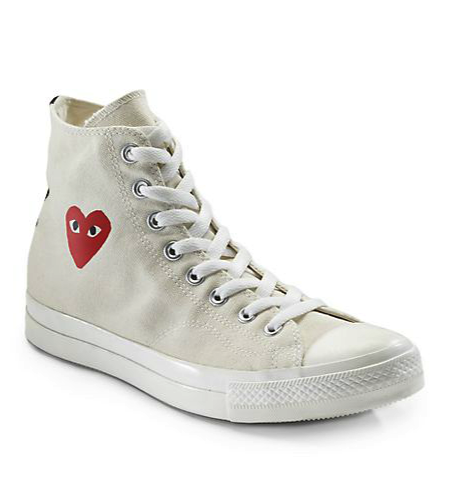 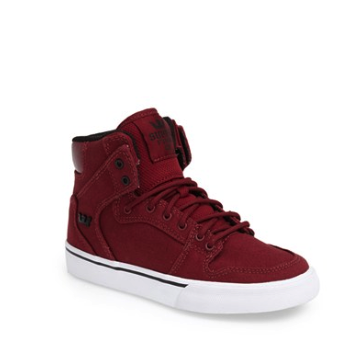 These are the sneakers that make me go, hmmmm… and click purchase now. 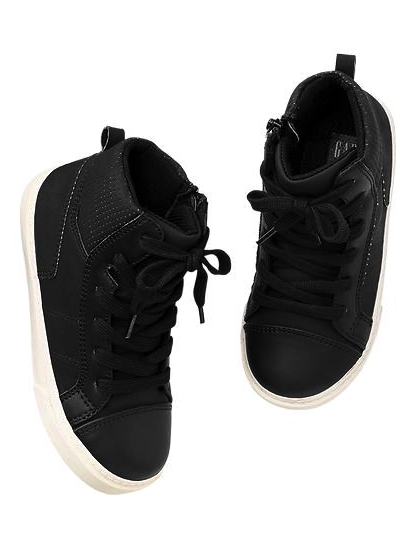 These pair perfectly with everything from distressed skinny jeans or relaxed boyfriend jeans… They can also work perfectly with your cozy comfy loungewear but also dress down a great shift dress or jumpsuit… Check out some of my favorite new sneakers that can complete your weekend casual look but also add some edge and youth to so many other unexpected look… And some adorable options for our little ones too! 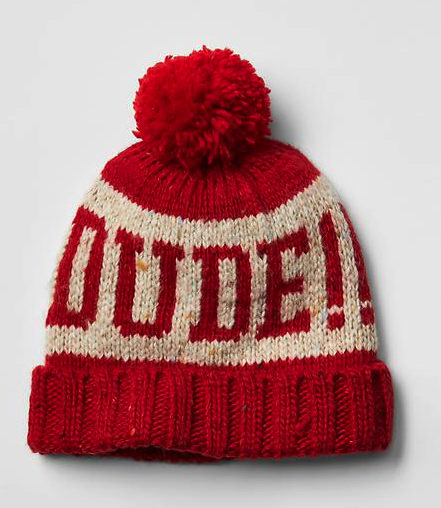 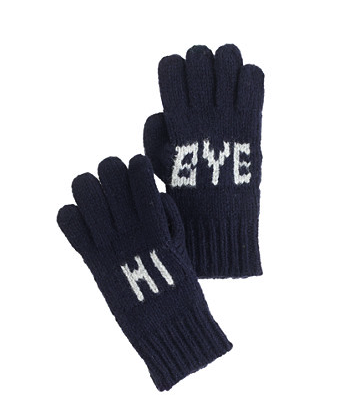 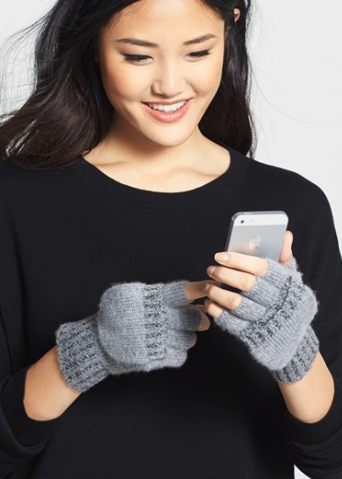 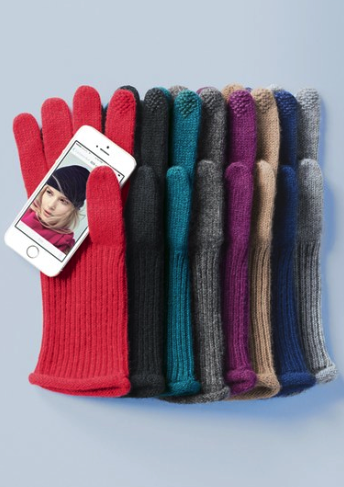 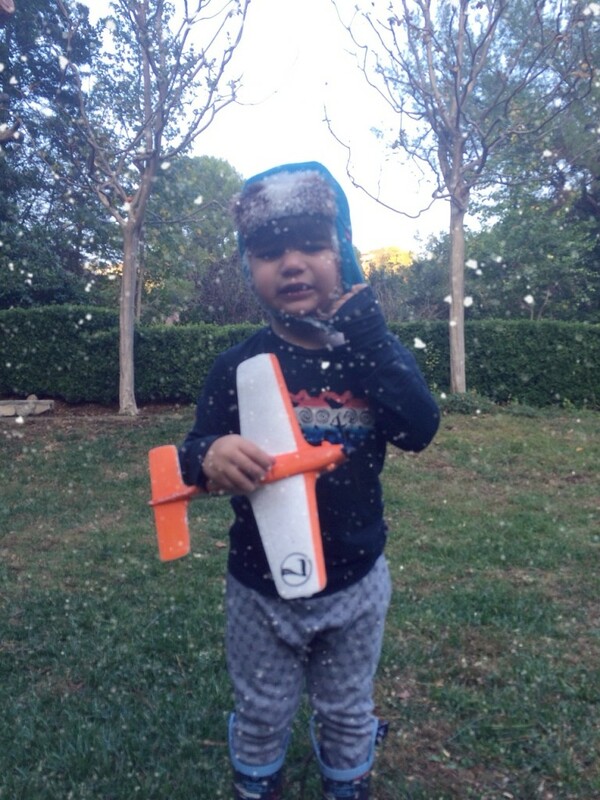 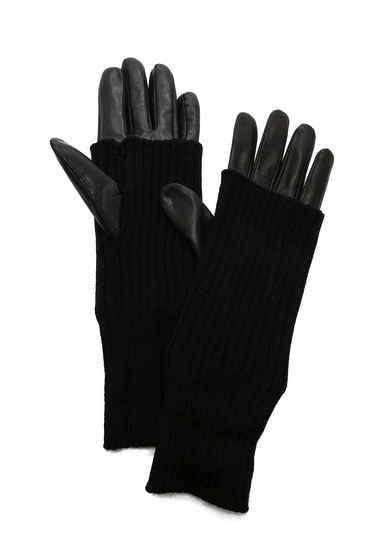 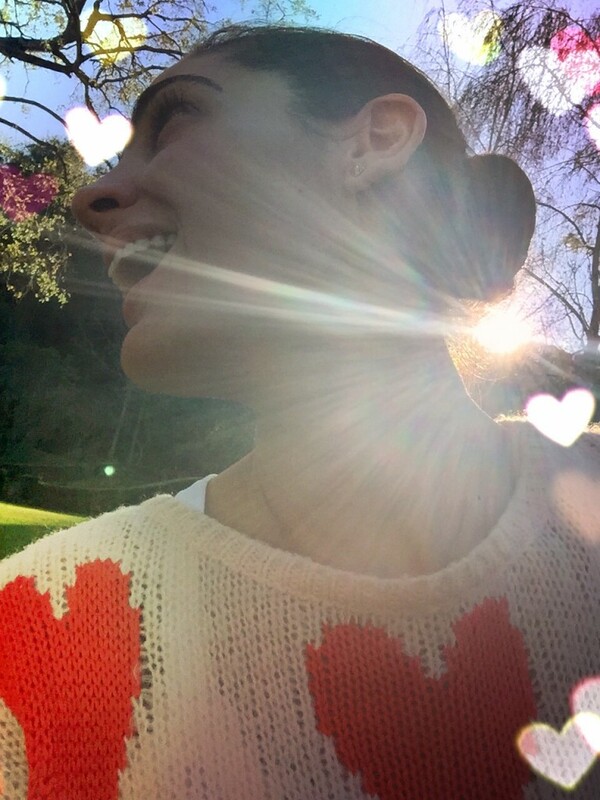 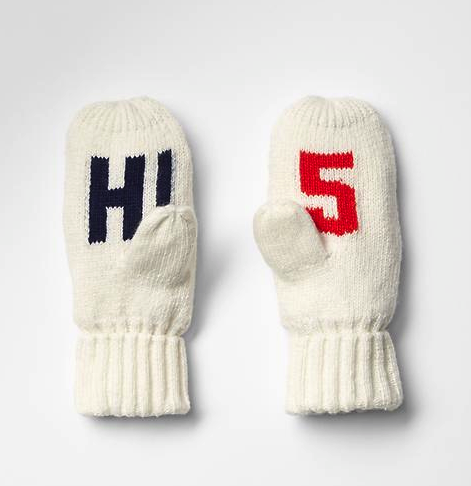 We don’y get snow in LA – but in the digital world I can make it happen – for those in the polar vortex it’s time for hats, scarves and gloves! 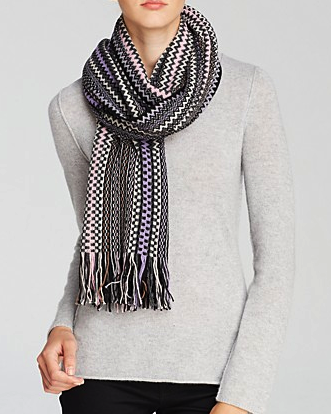 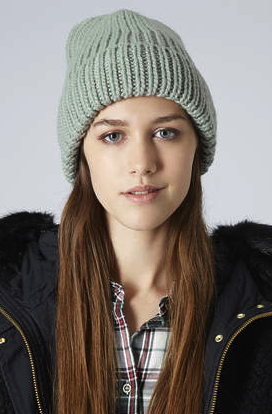 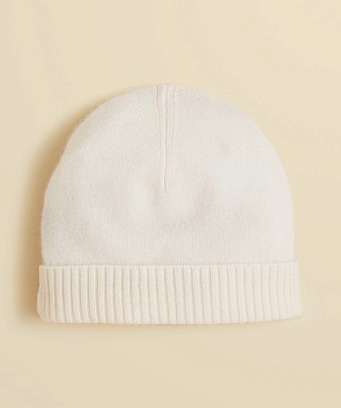 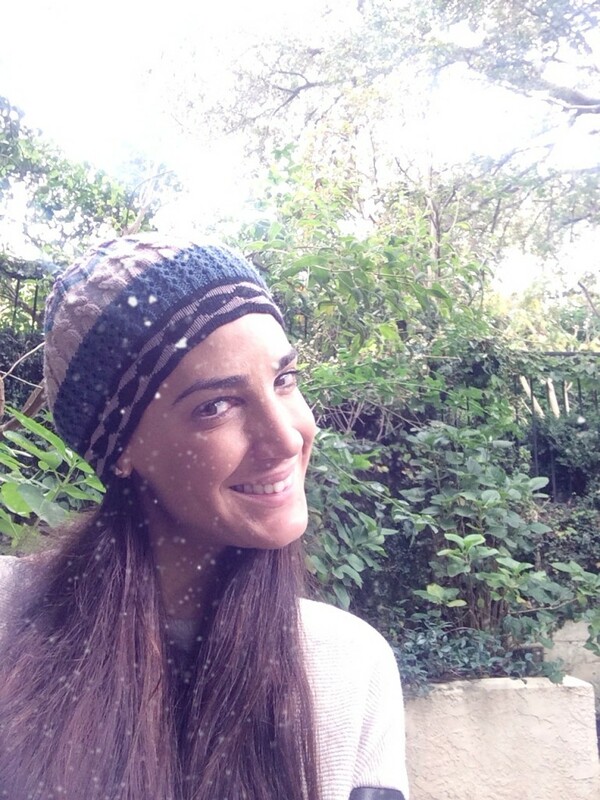 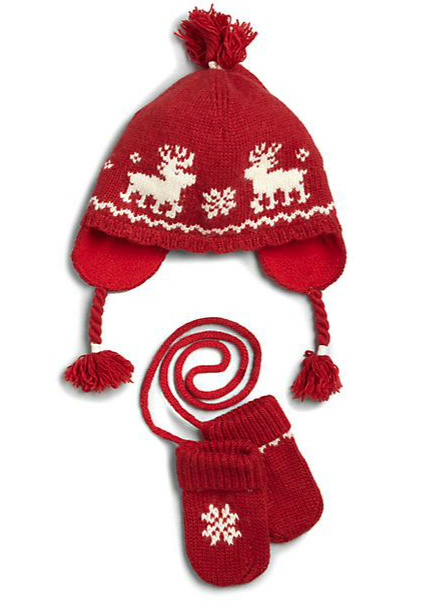 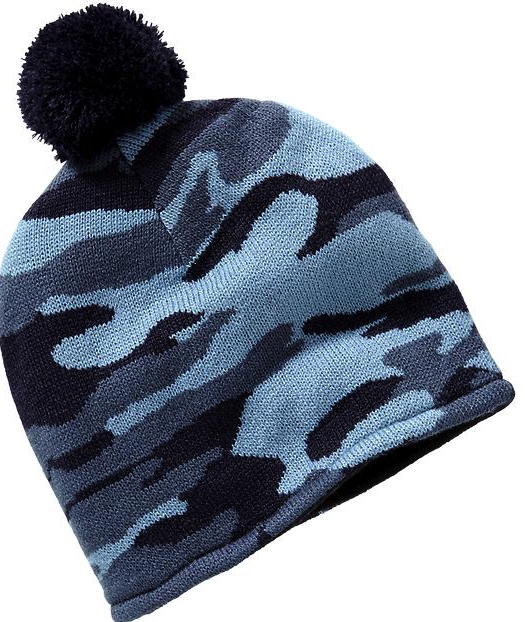 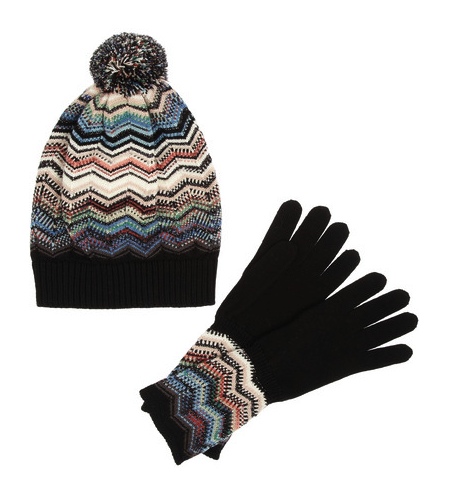 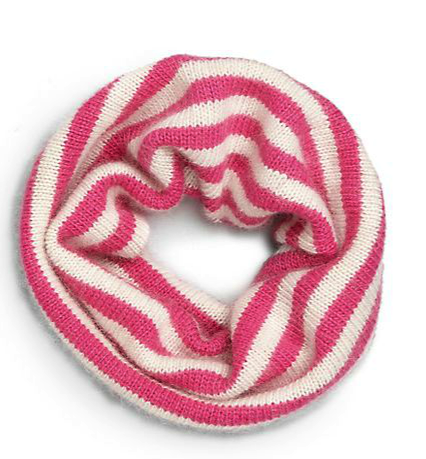 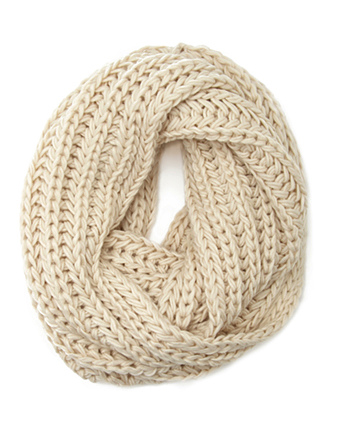 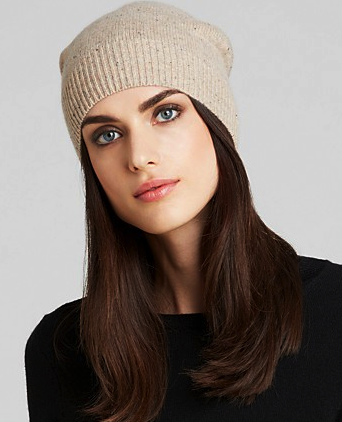 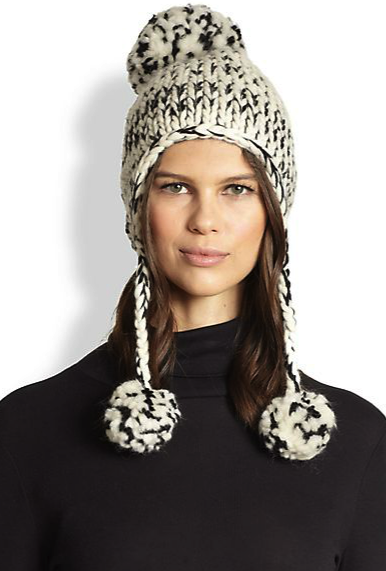 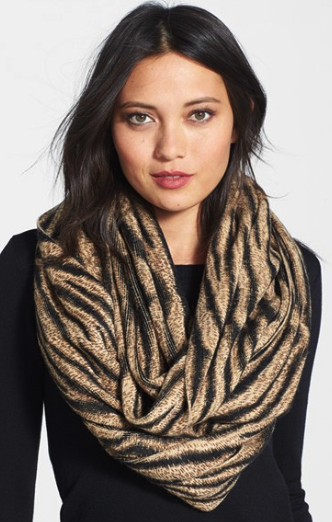 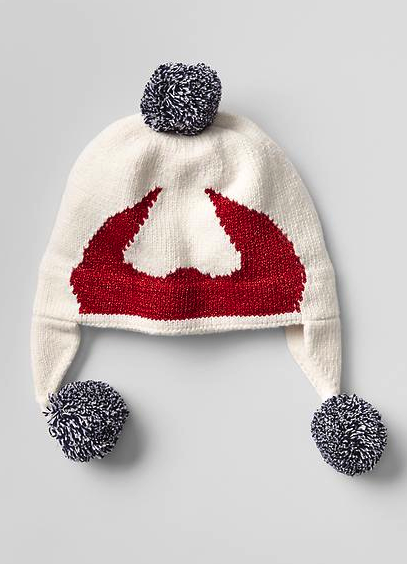 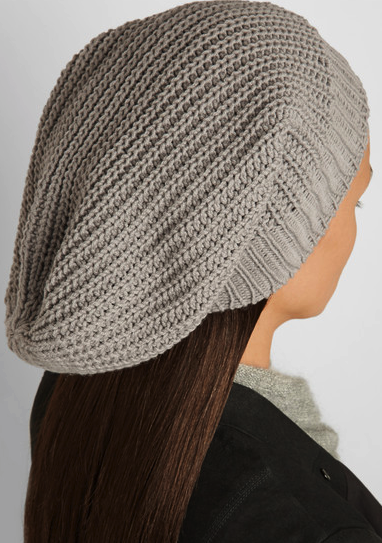 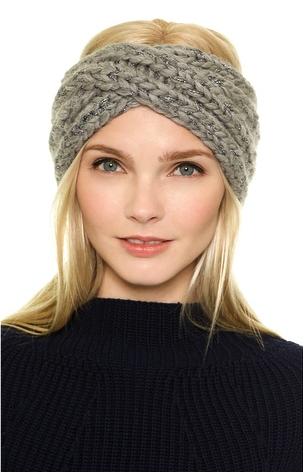 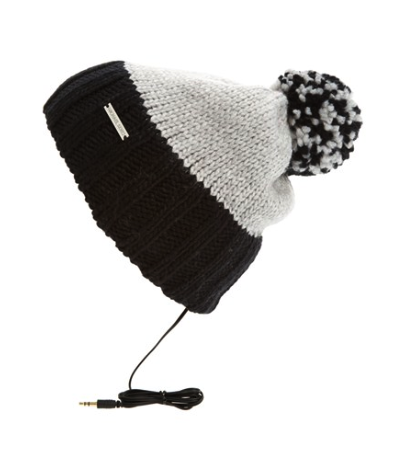 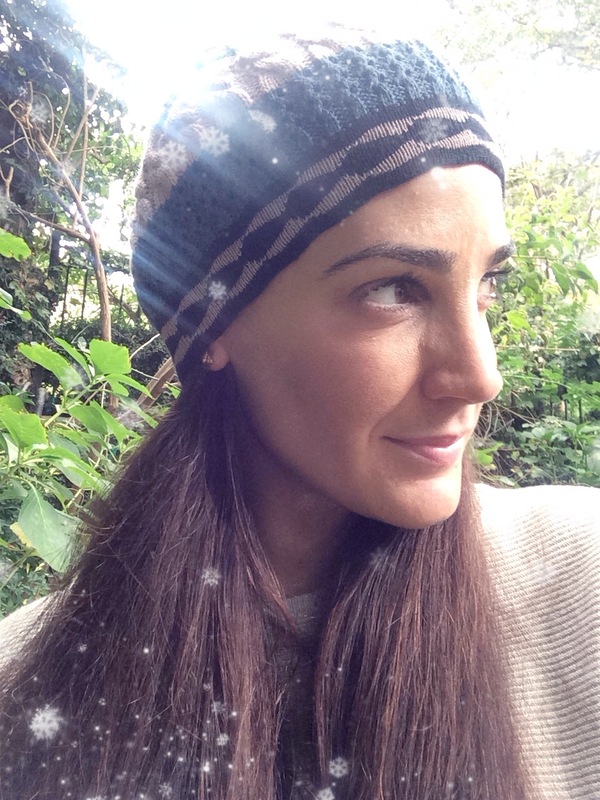 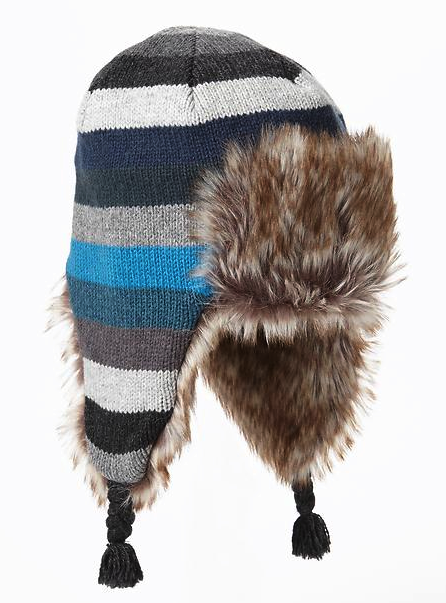 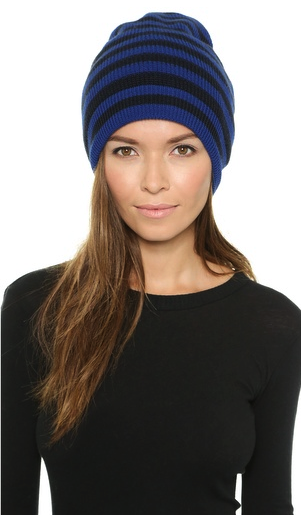 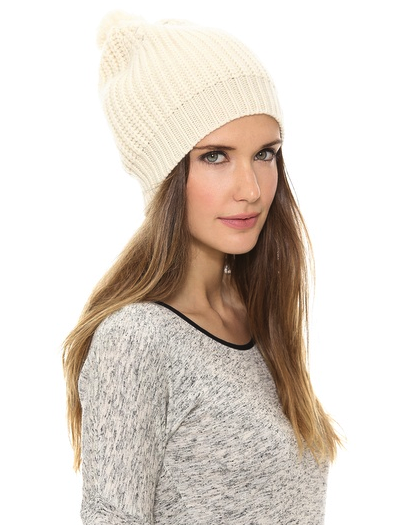 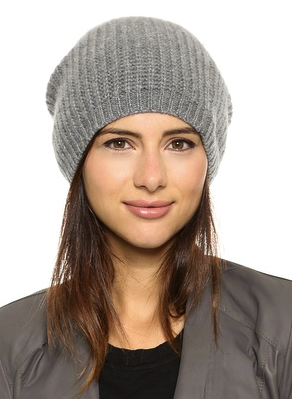 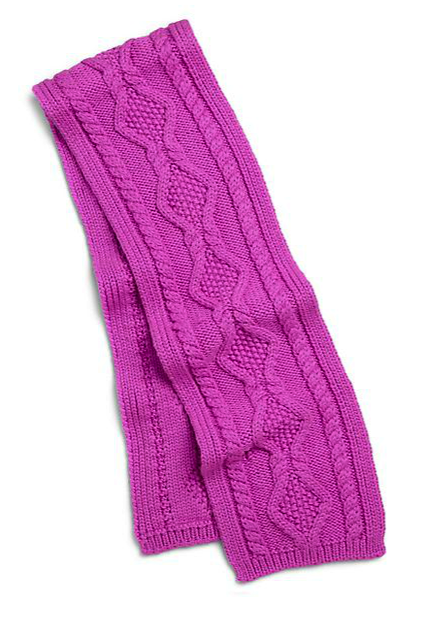 Cold weather accessories like my favorite Missoni hat are essential for surviving winter! 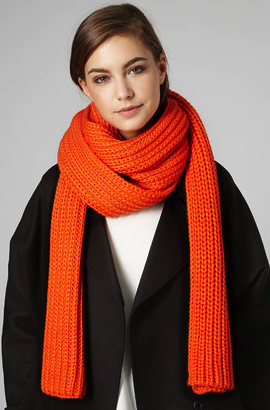 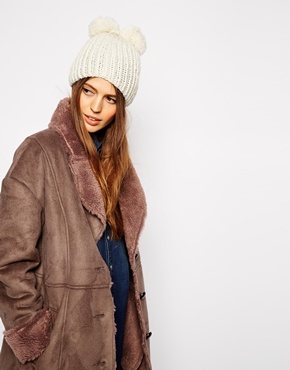 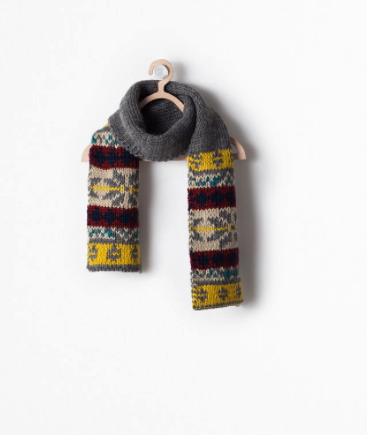 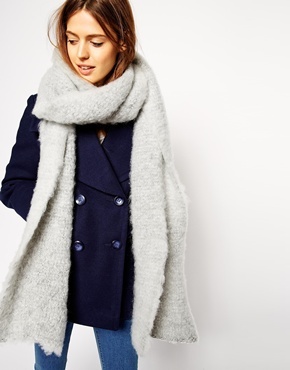 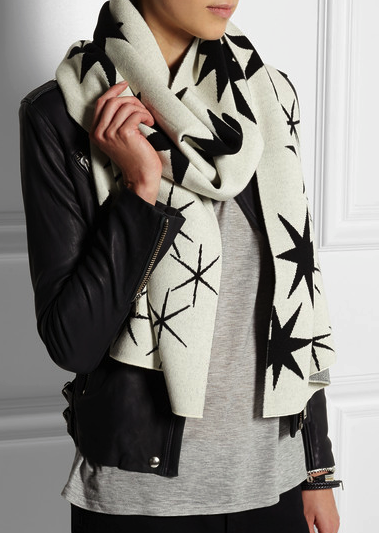 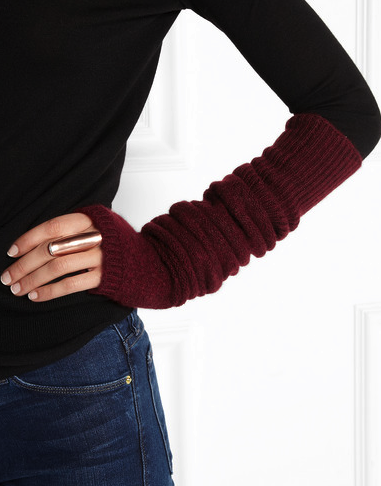 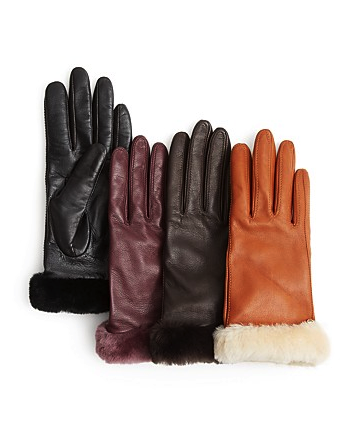 When the temperature drops you’ll need more than just a great coat to stay warm – cold weather accessories are an absolute must! 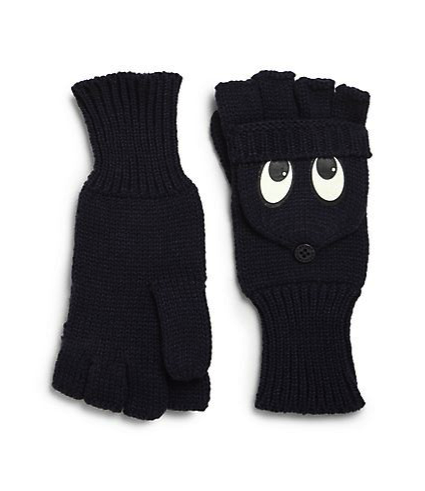 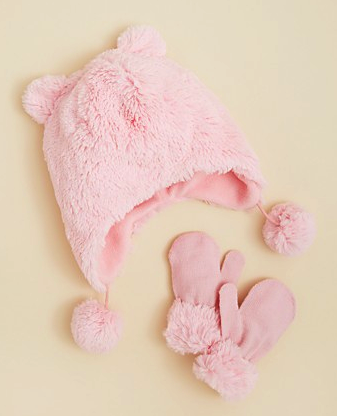 Hats, gloves, scarves to protect your extremities and keep in the heat are essential for winter for both you and you’re little ones! 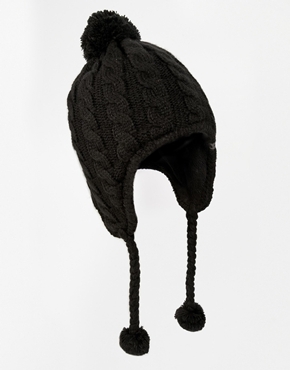 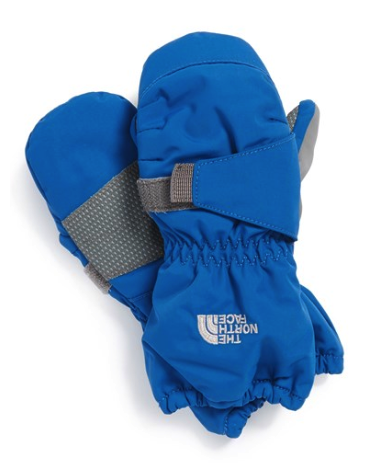 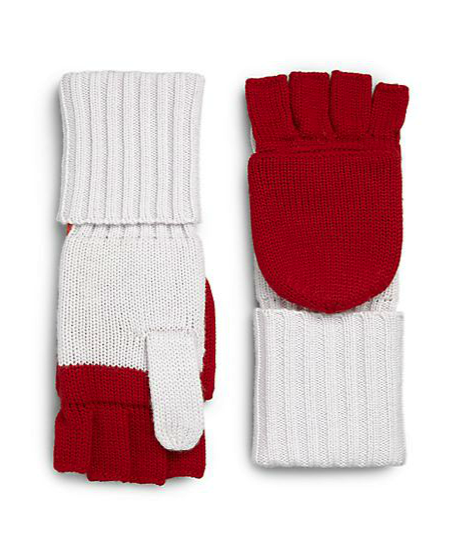 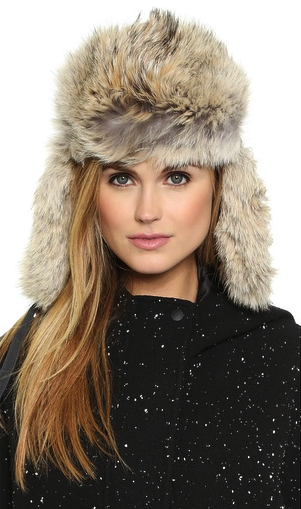 Water resistant or wooly there are some great cold weather accessories that will certainly keep you bundled up and safe from the frost this season. 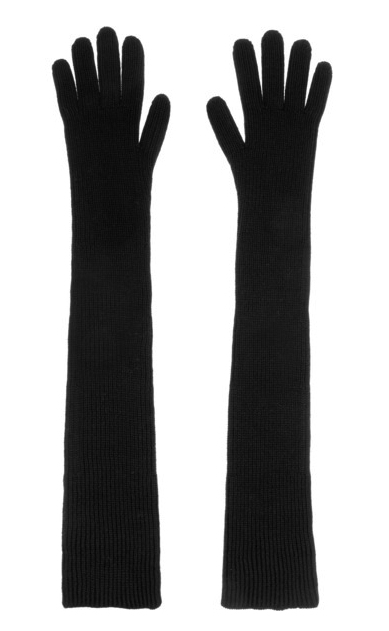 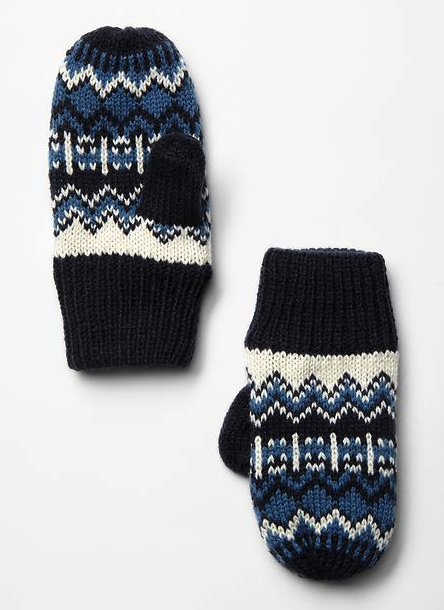 Yes, they will do the great service of keeping you warm but they also look pretty spectacular as well so it’s really a win win situation. 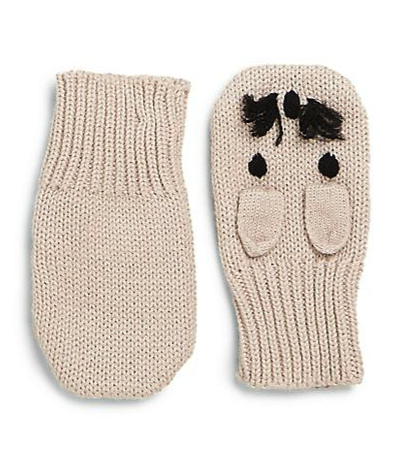 As for our little ones – they may not like bundling up, and at times it may appear that the frigid temperatures bother them (not when they’re having fun and playing) but keeping their little vulnerable head, hands and necks warm couldn’t be more important! 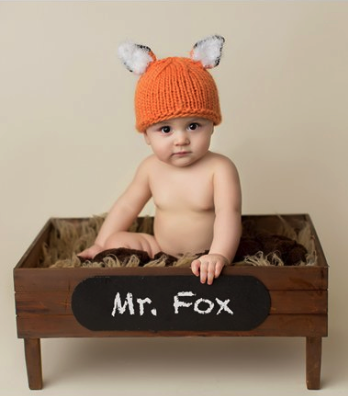 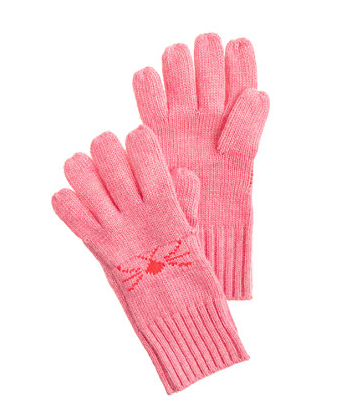 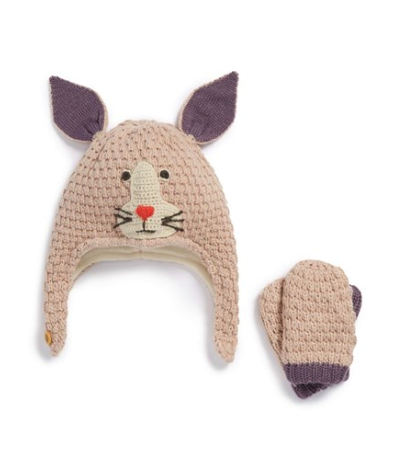 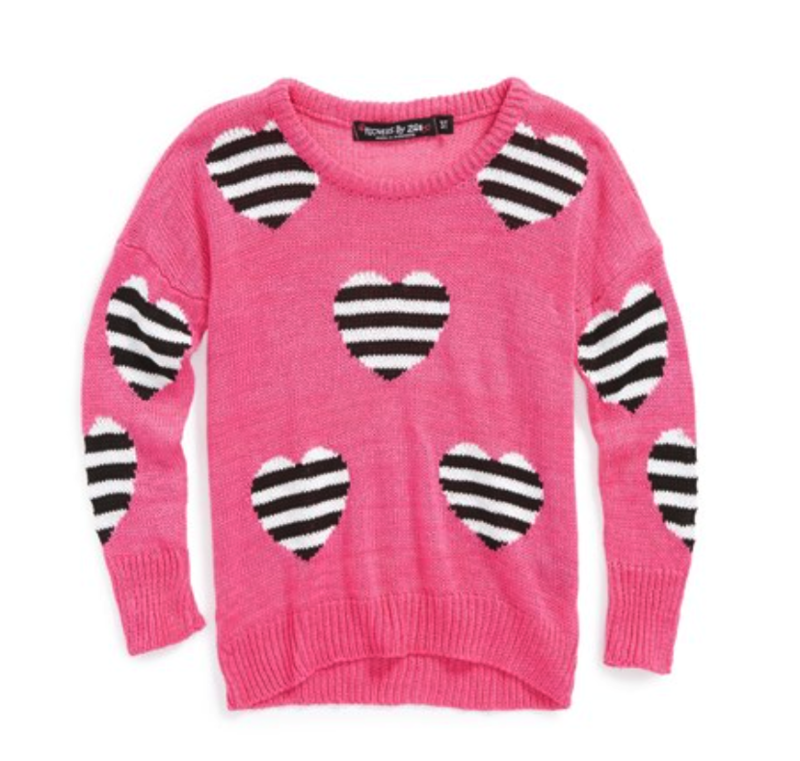 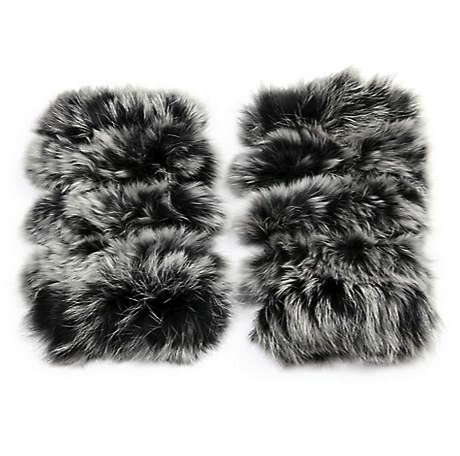 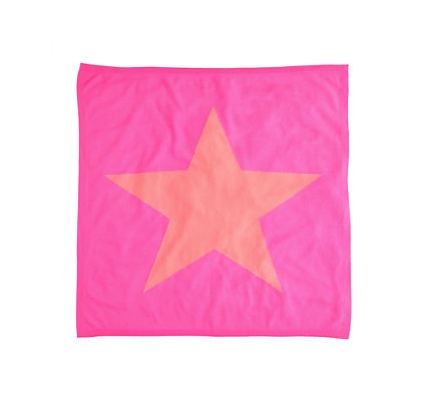 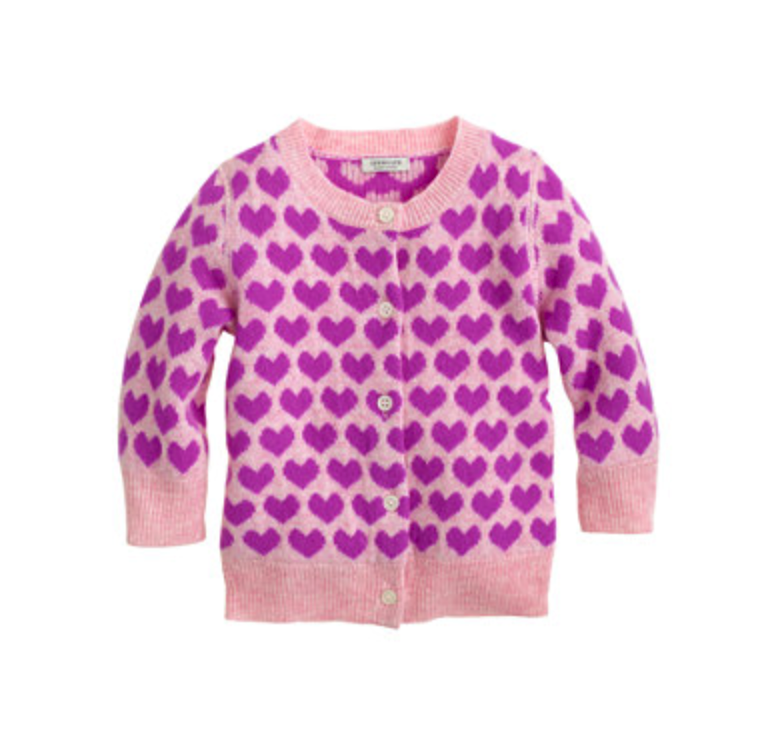 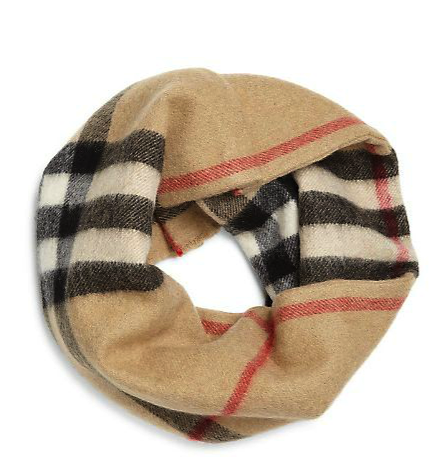 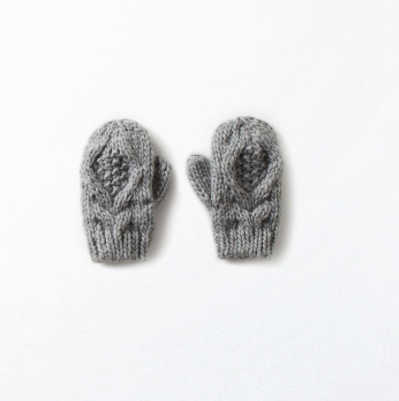 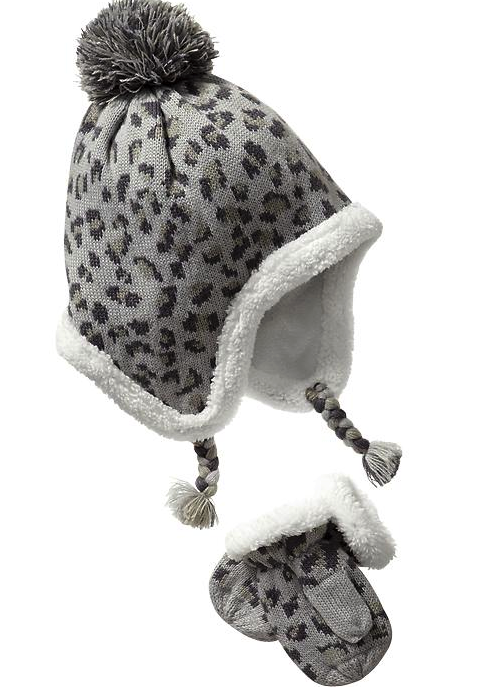 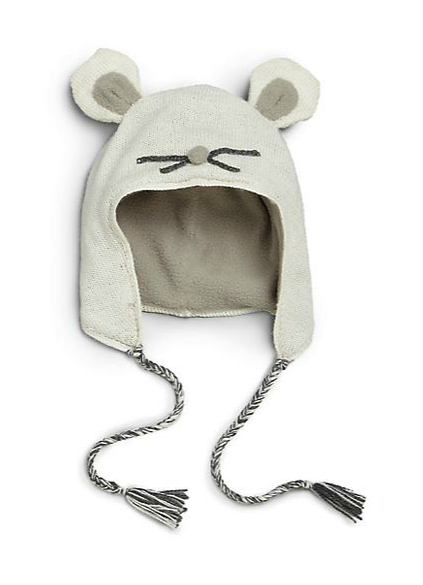 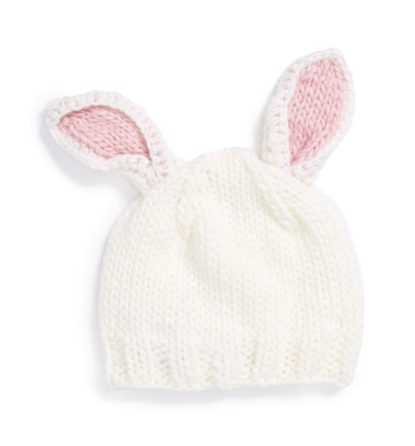 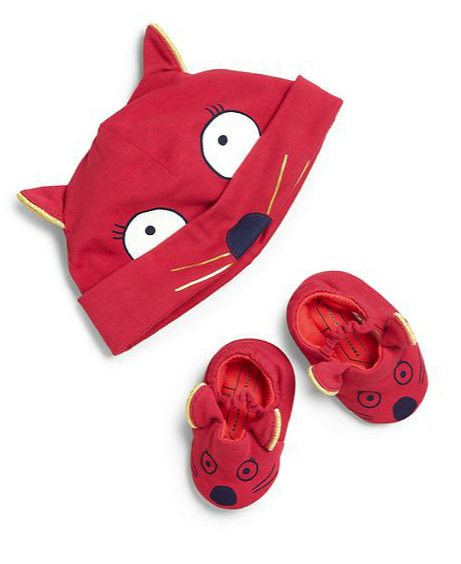 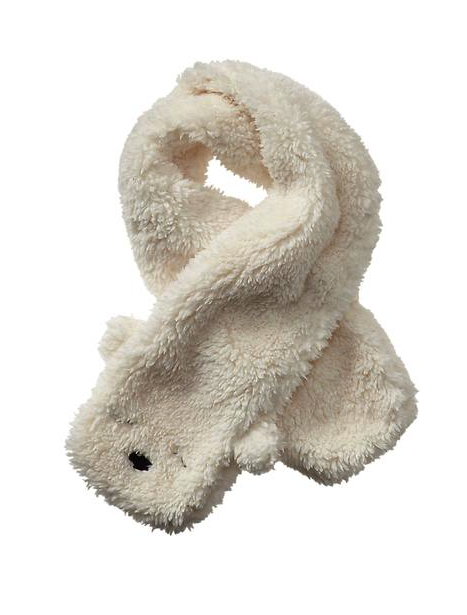 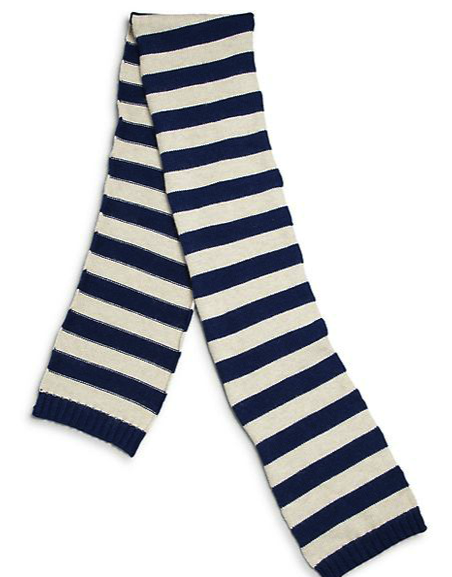 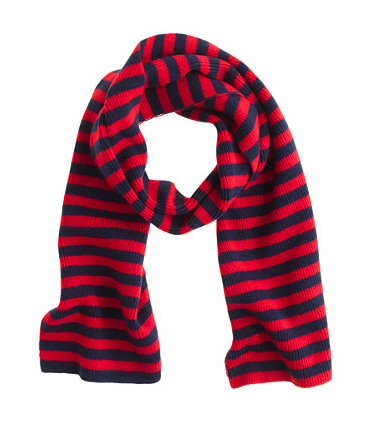 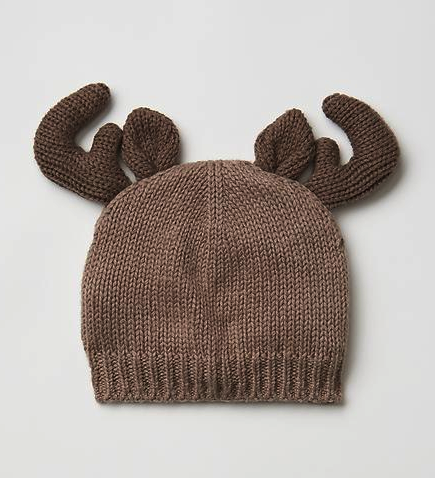 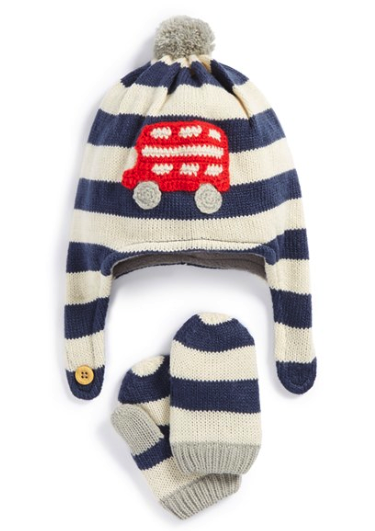 Check out some of the great cold weather accessories for us and our little ones and stay warm (and fabulous) this winter! 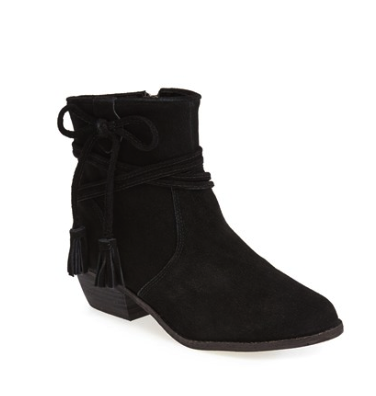 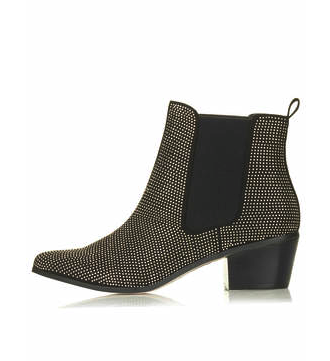 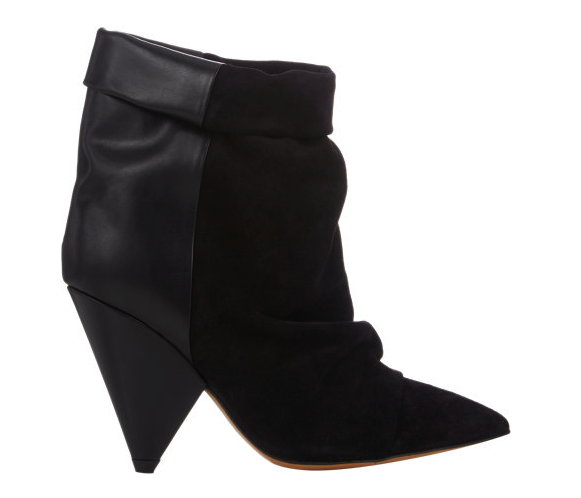 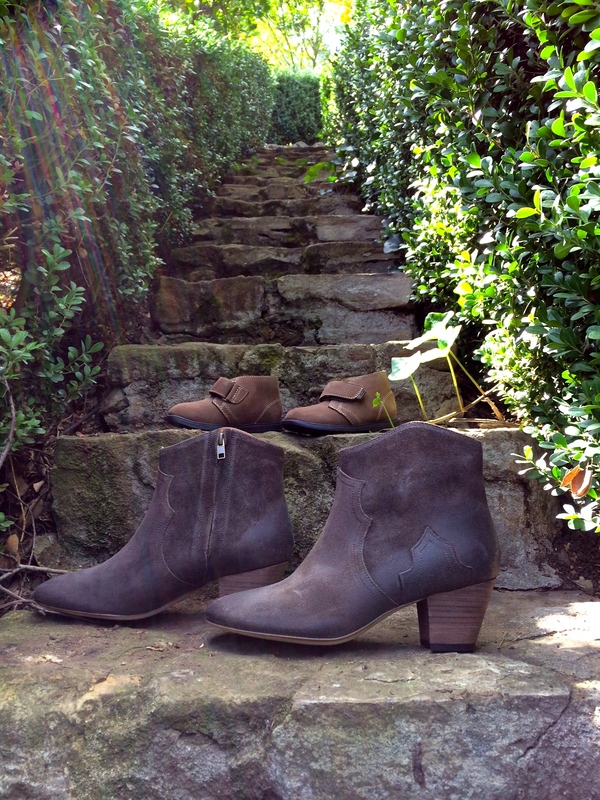 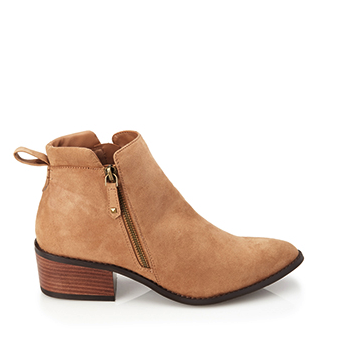 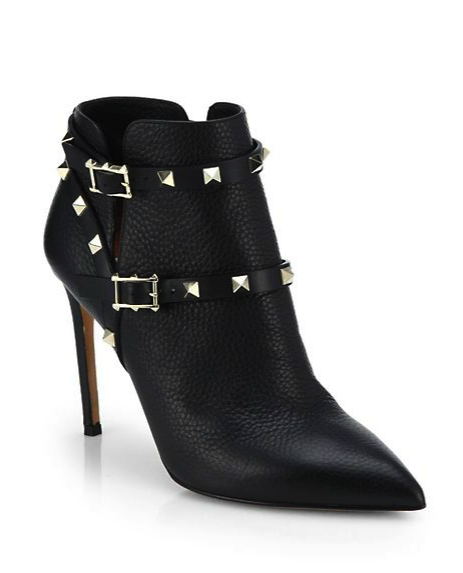 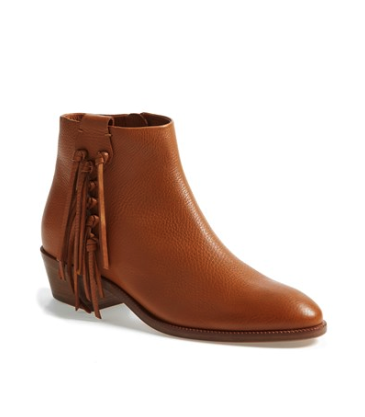 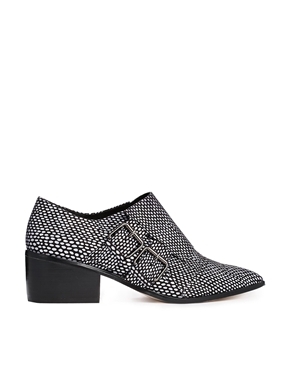 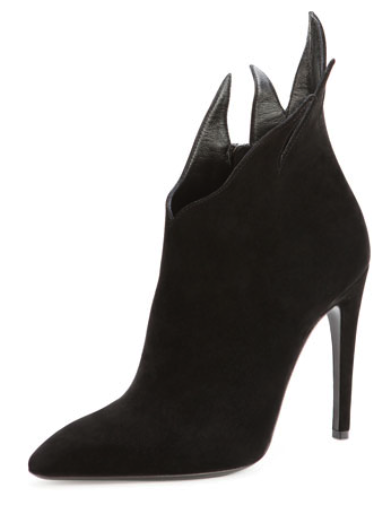 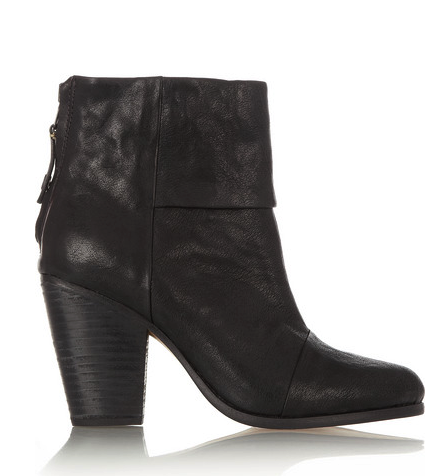 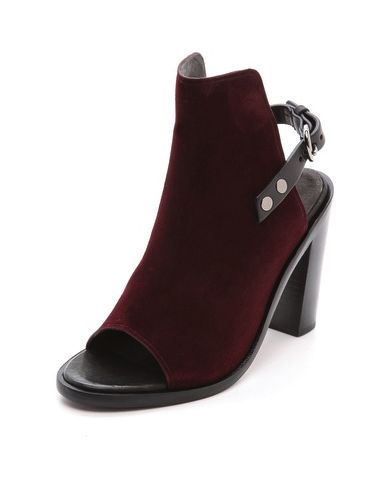 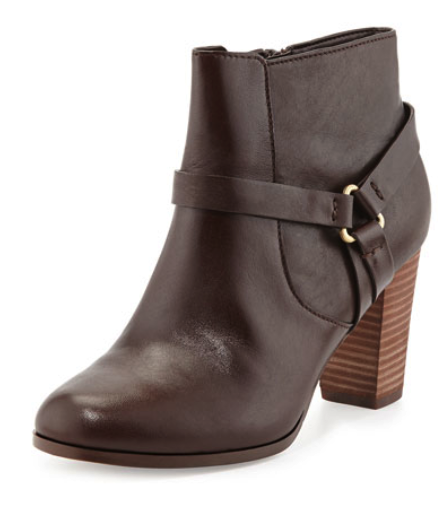 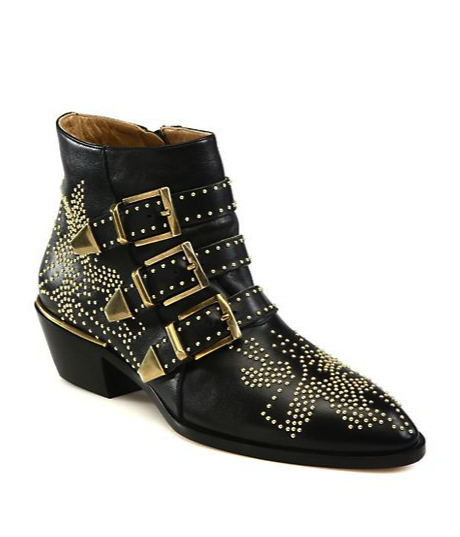 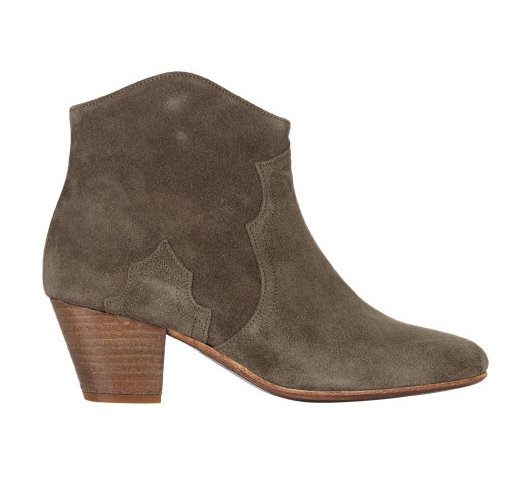 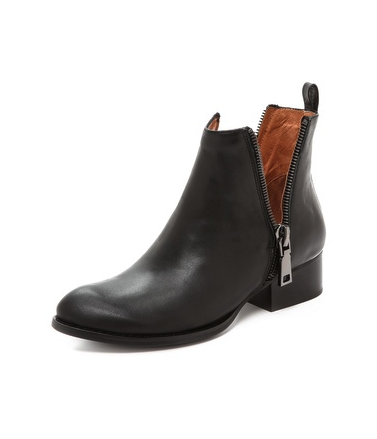 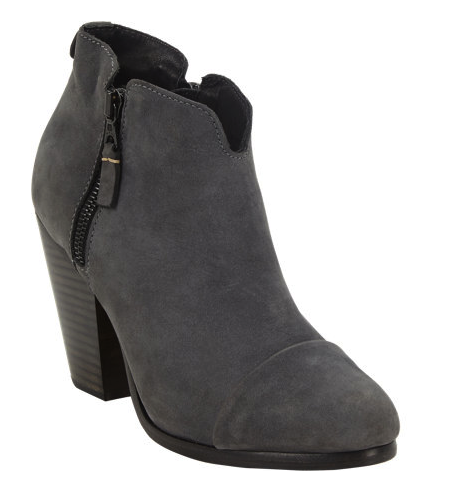 MOMMA LOVES… that it’s ankle boots season! 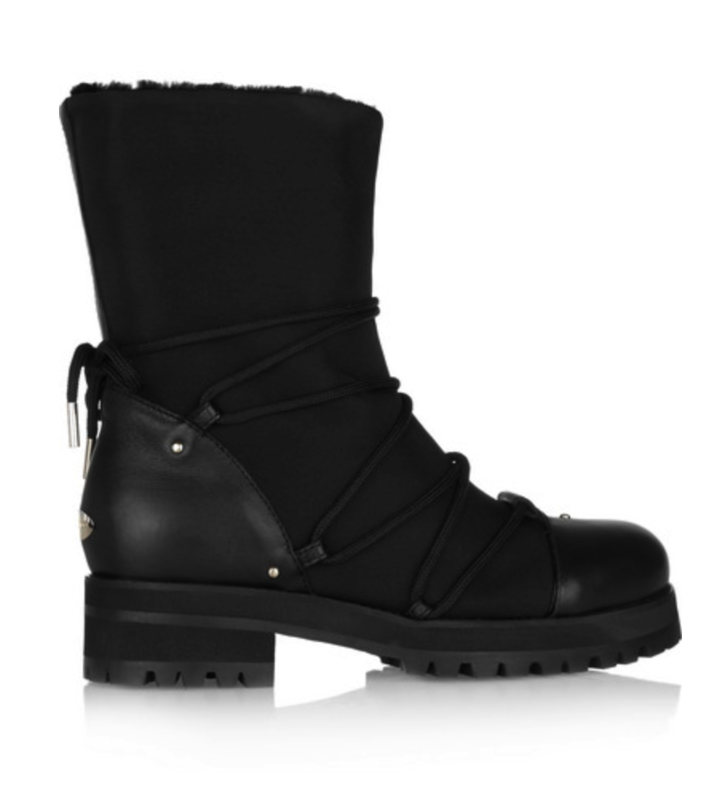 Max’s little Stride Rite boots and my Isabel Marant dicker boots are ready to frolic in the autumn leaves baby!! 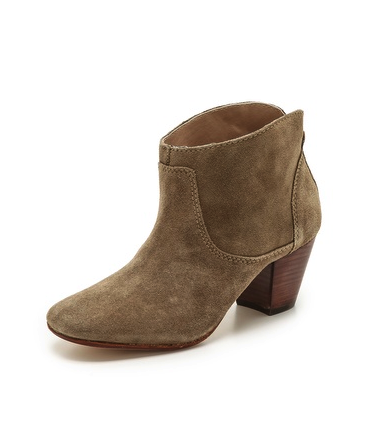 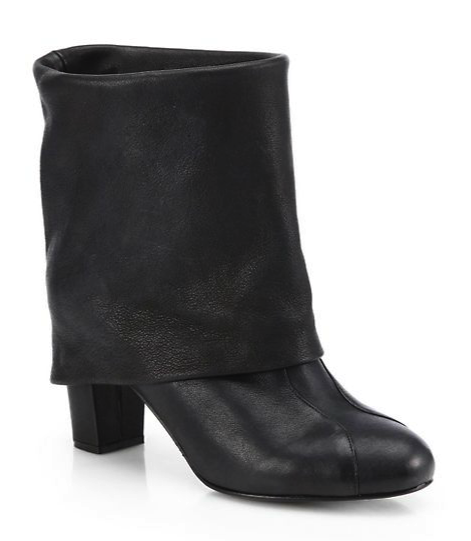 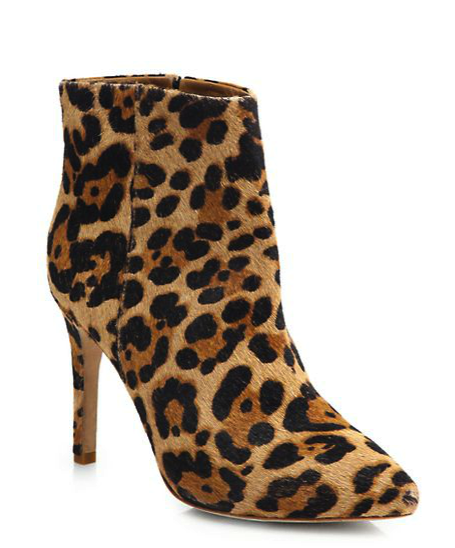 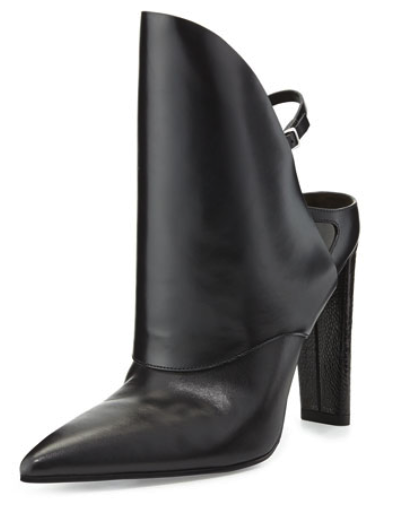 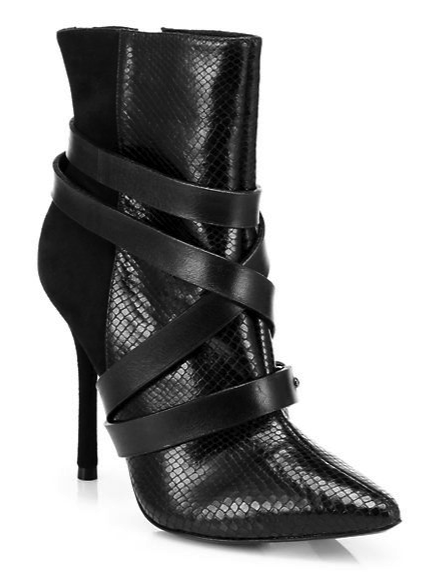 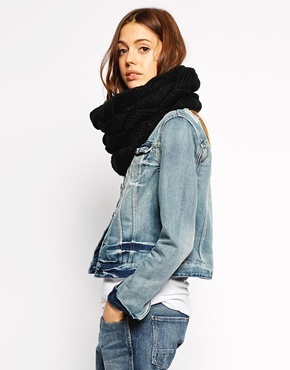 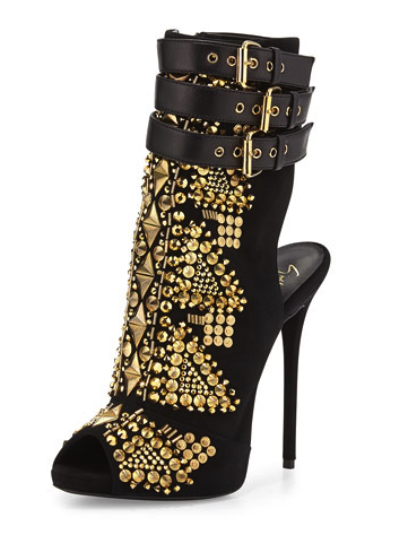 For me, I think it’s ankle boots season all year long but most certainly come fall they are part of my uniform. 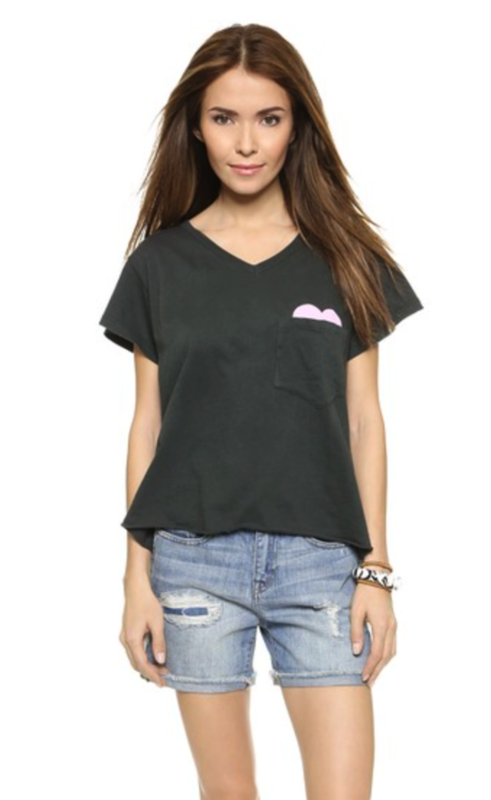 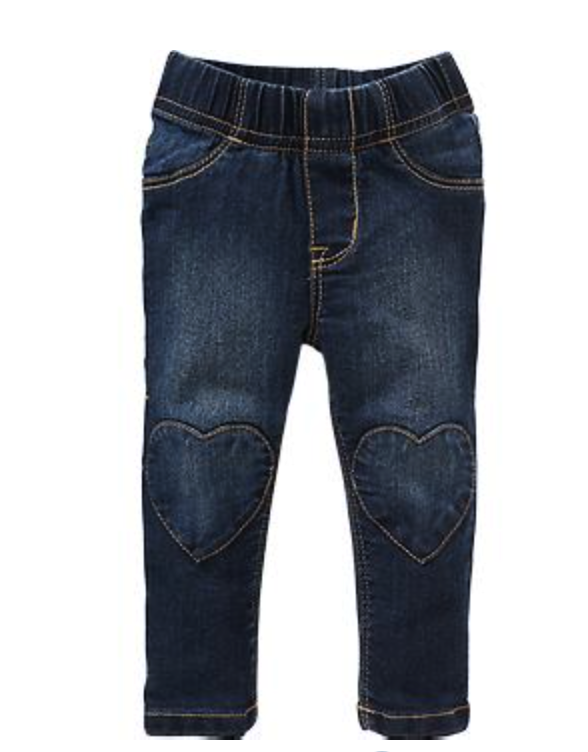 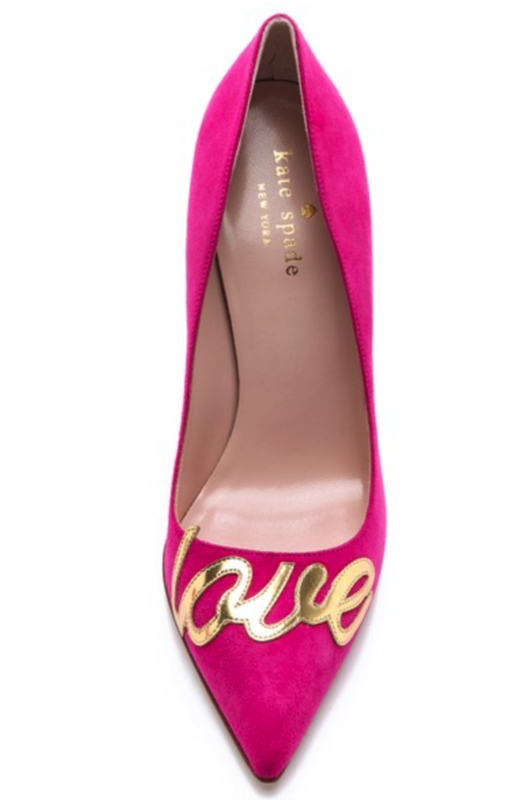 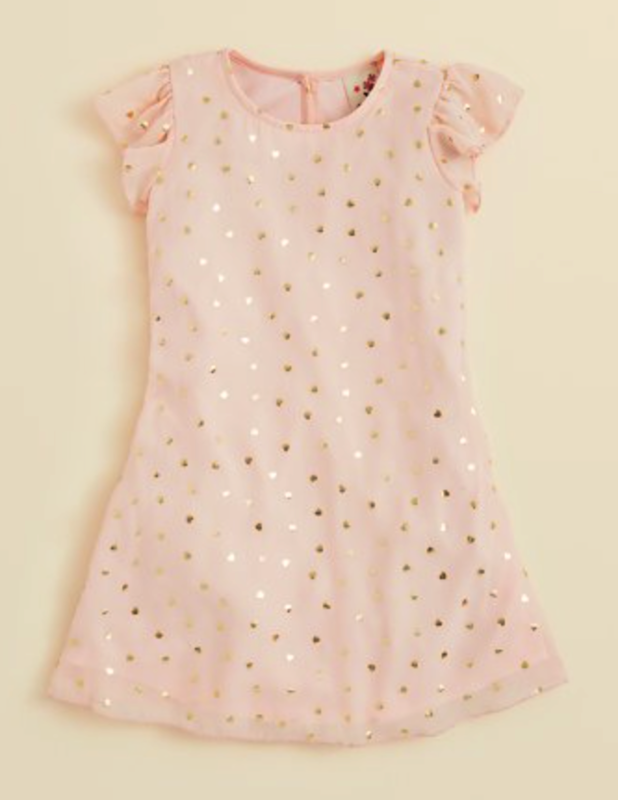 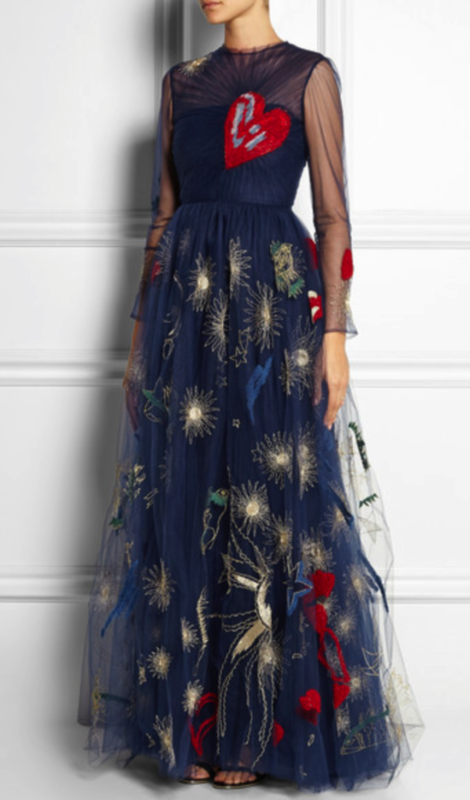 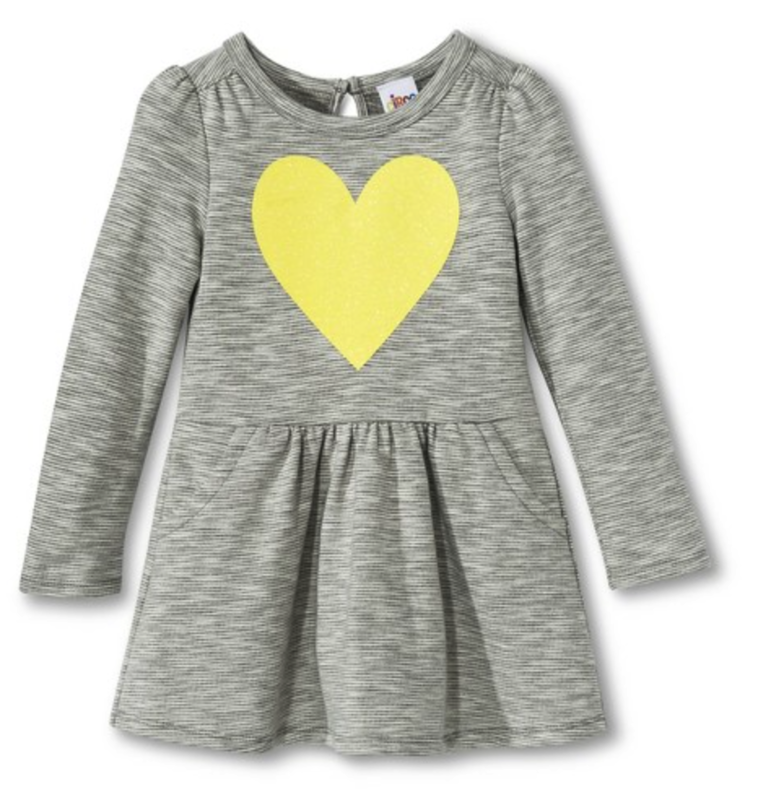 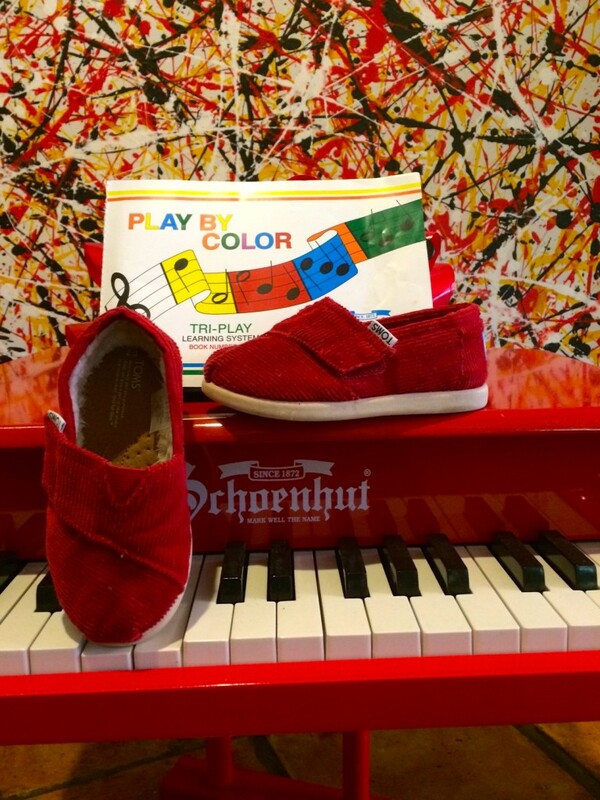 They perfectly pair with everything from denim to dresses and can service all your fashion needs from playdate to the office to night out on the town. 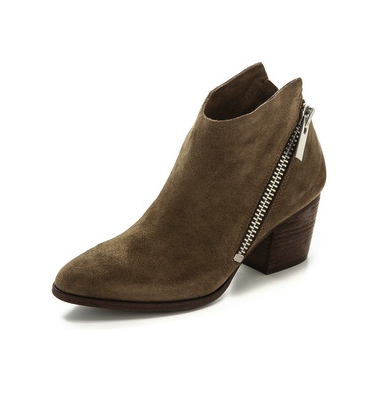 Ankle boots are chic yet hip, cool yet classic, comfortable yet stylish making them some of my favorite go-to accessories. 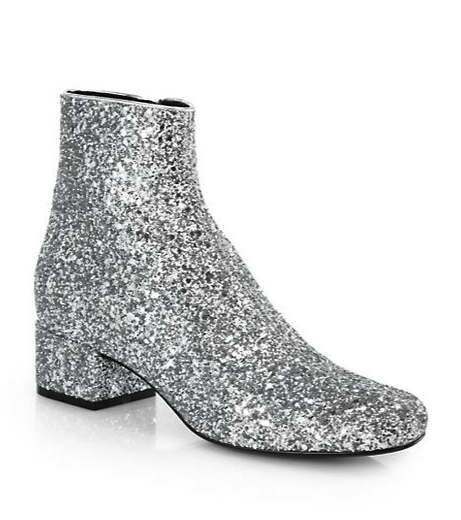 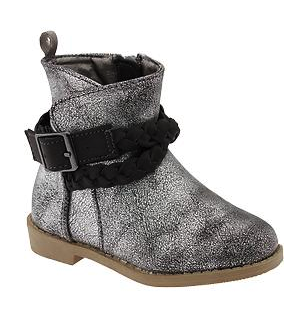 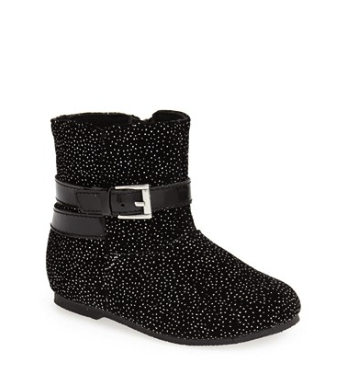 Whether you want them sky high or flat, distressed or sparkly and even versions for you mini-me’s these boots are an absolute cool weather essential. 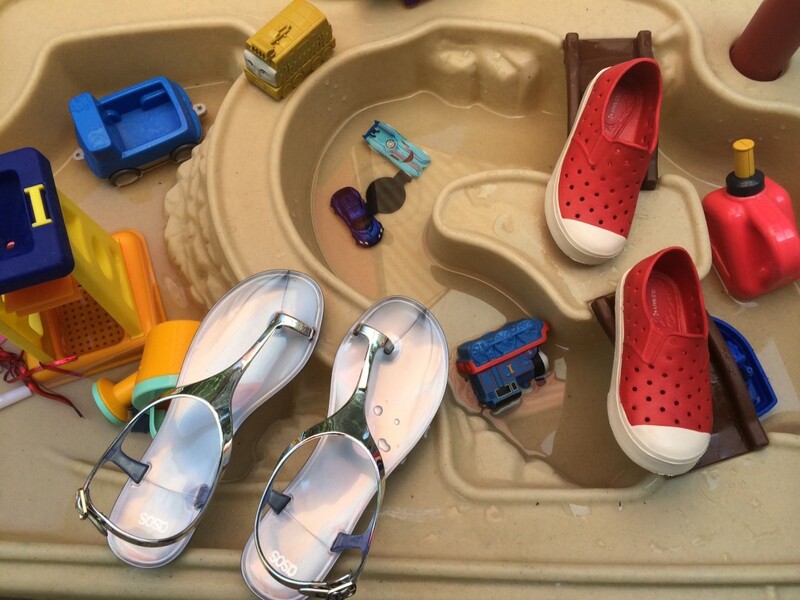 Life with kids (or even without kids) is not as simple as it once was – its fast paced and it often means stretching yourself thin to accomplish everything you need to (and want to) do in a day. 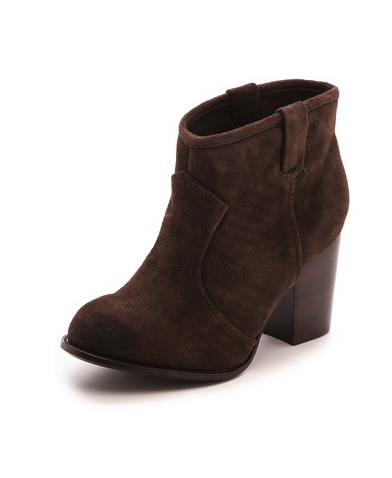 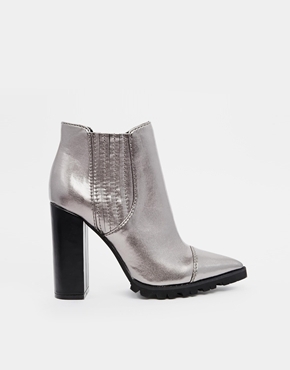 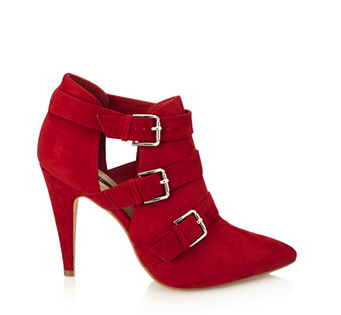 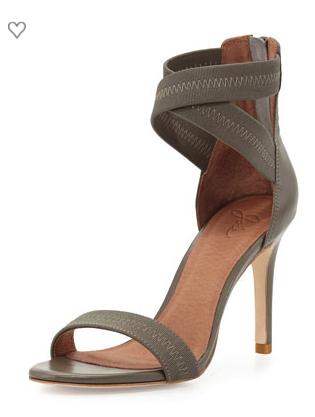 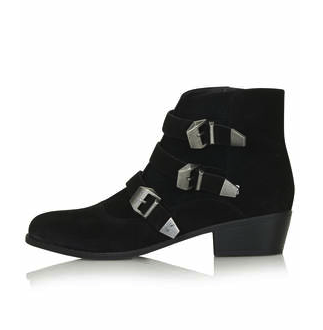 Ankle boots are the perfect shoe to service all your style needs and give you one less thing to worry about. 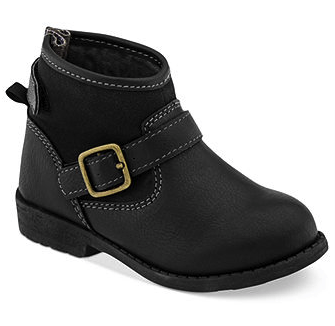 Check out some of my favorite pairs (for you and your little ones) and celebrate fall fashionable with some fabulous new ankle boots! 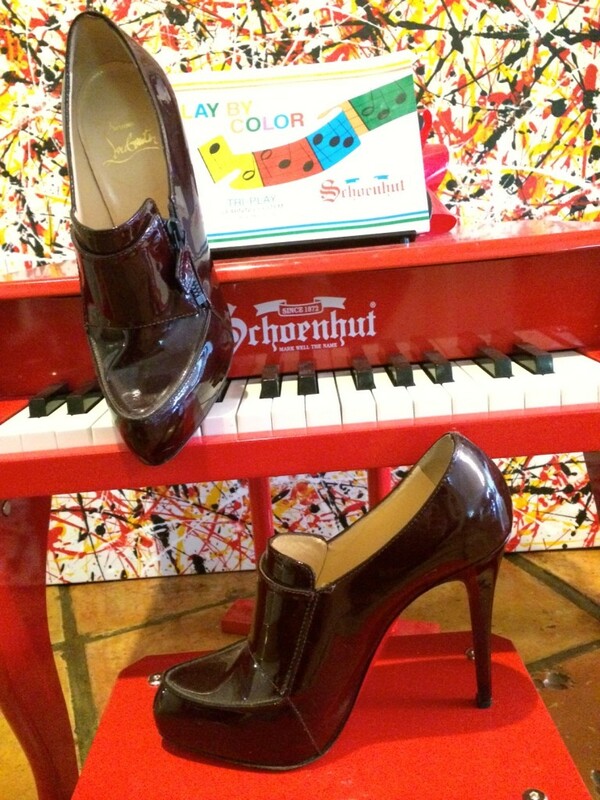 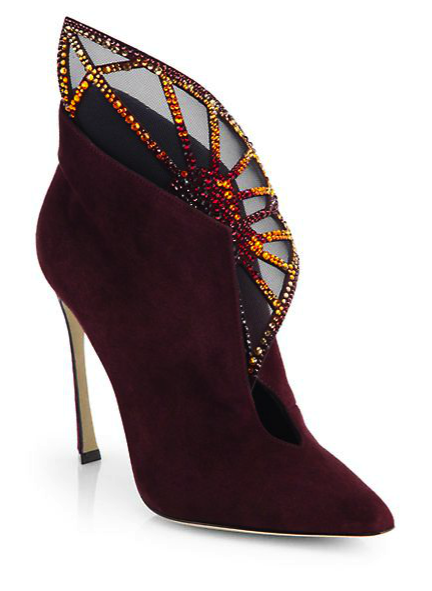 My favorite burgundy patent Christian Louboutin shoe booties are the perfect shoe for fall!!! 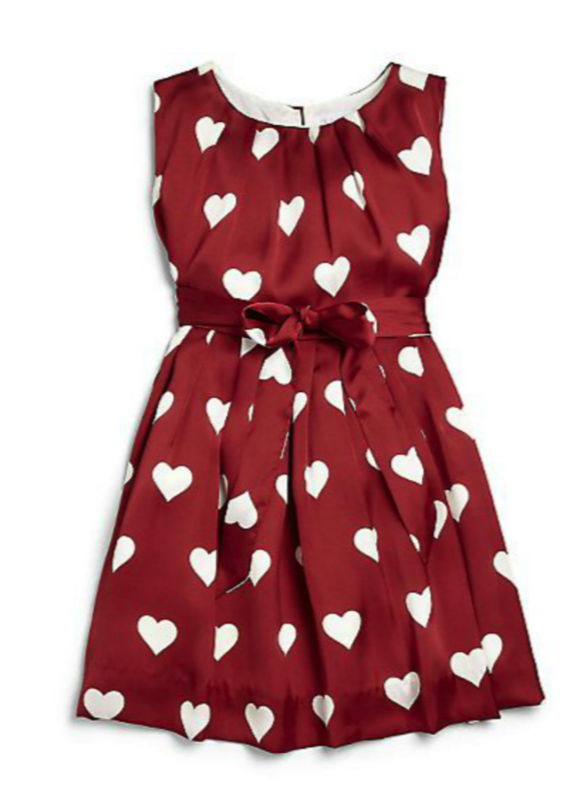 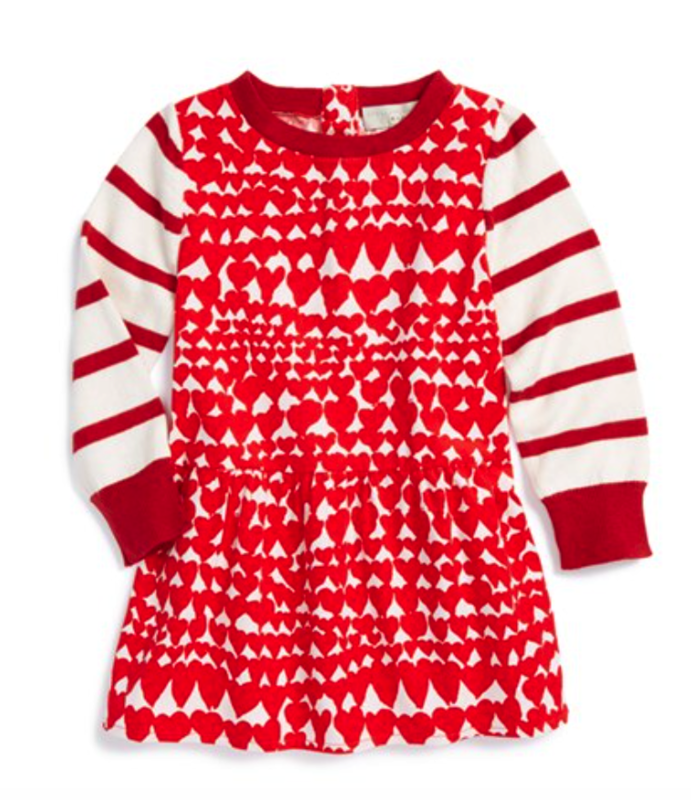 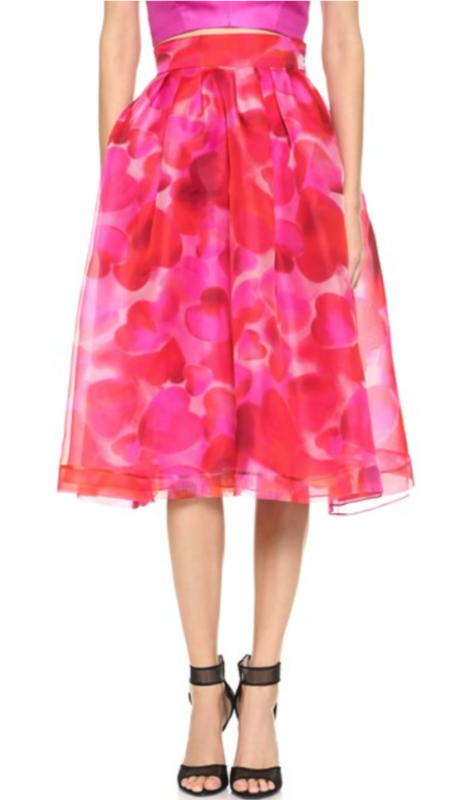 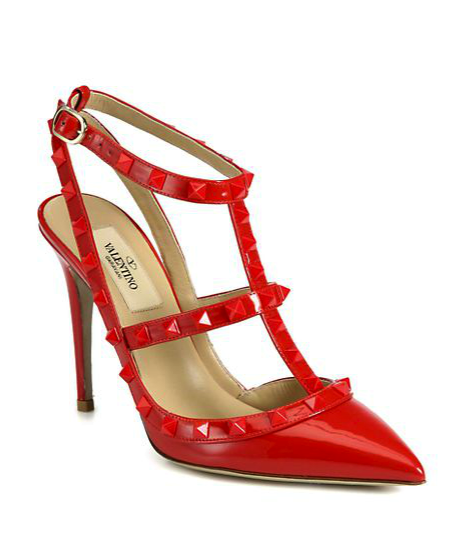 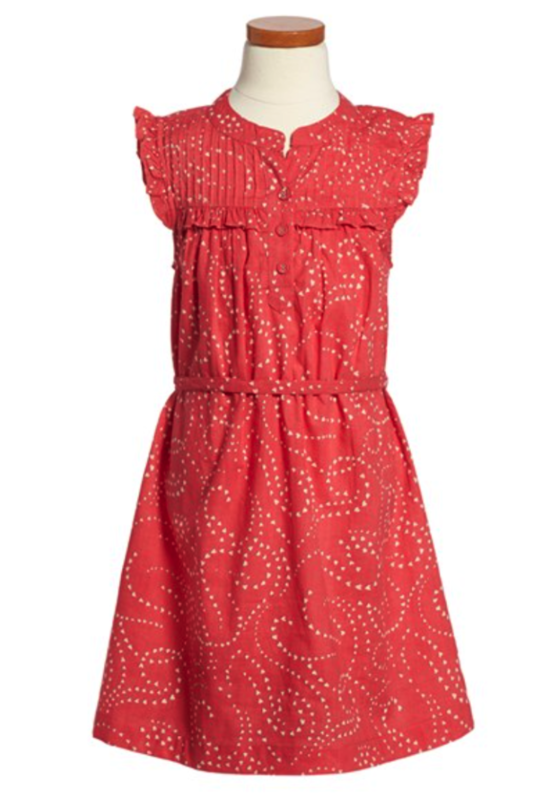 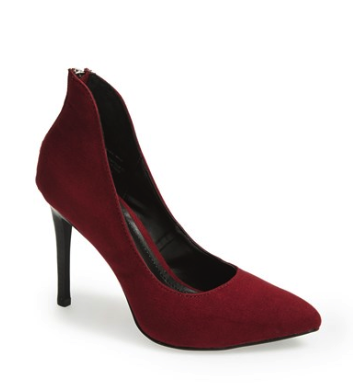 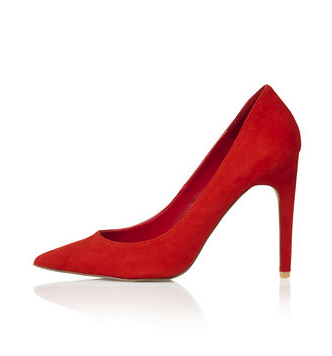 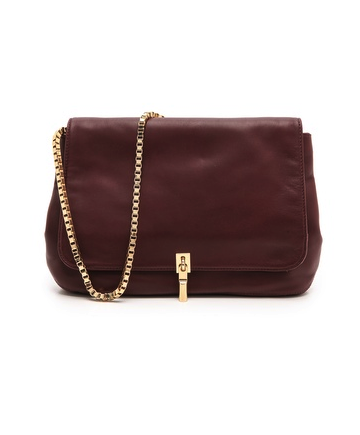 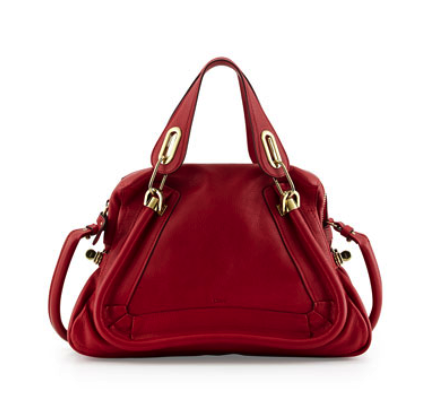 Shades of red are super haute right not! 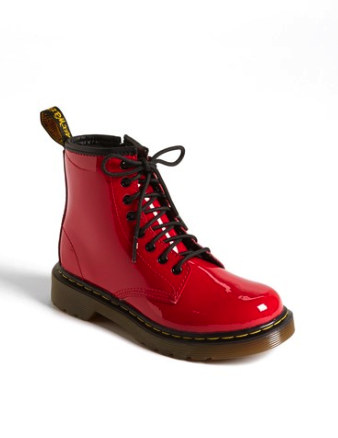 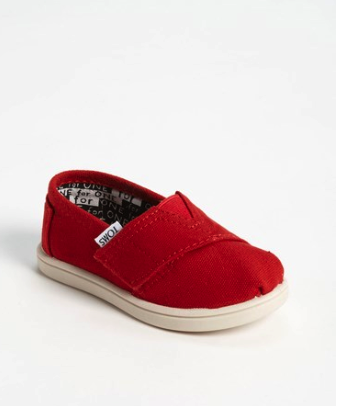 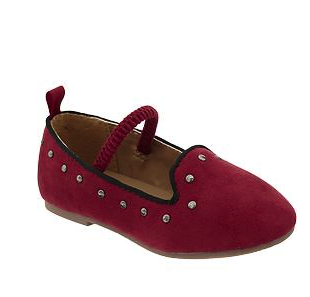 Max’s cherry red Tom’s are super adorable for adding a pop of color to his fall wardrobe! 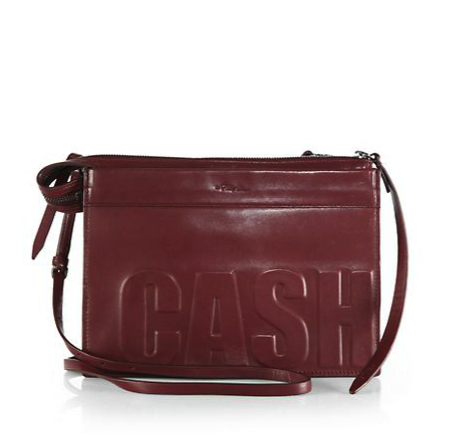 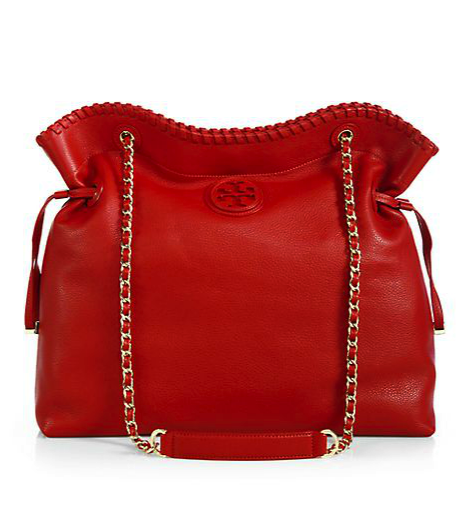 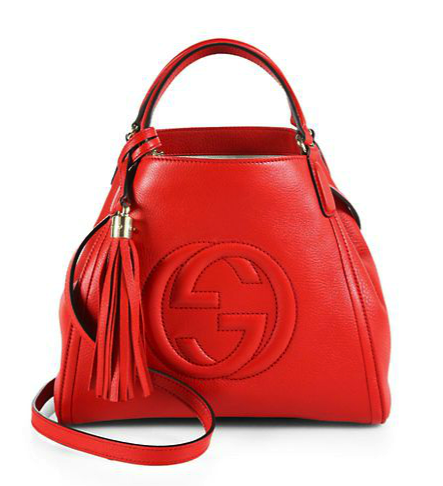 One of my very favorite style tips is to pop your look with a great shoe or bag and red accessories are super hot for fall and the perfect bit of something extra special!! 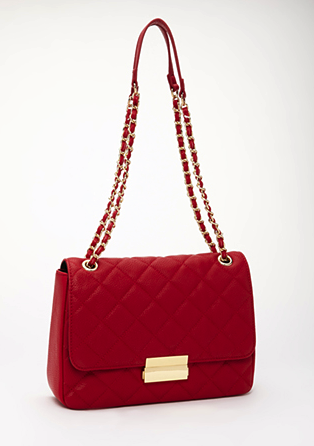 Last week I did a post on the prevalence of scarlet red clothing for the upcoming season and this trend extends to accessories as well! 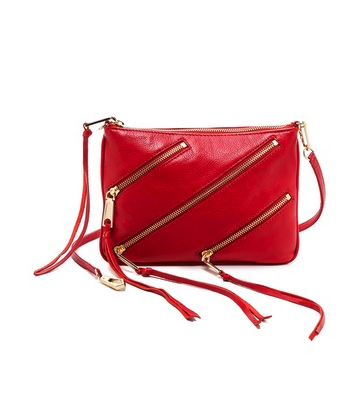 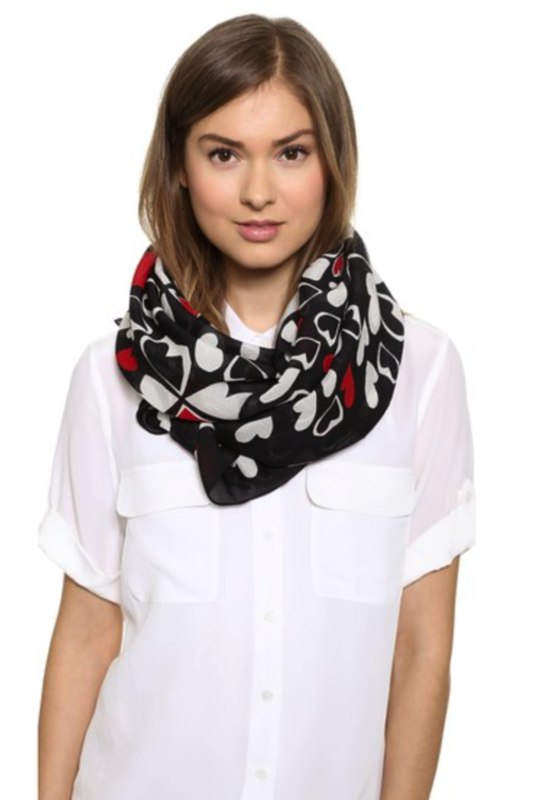 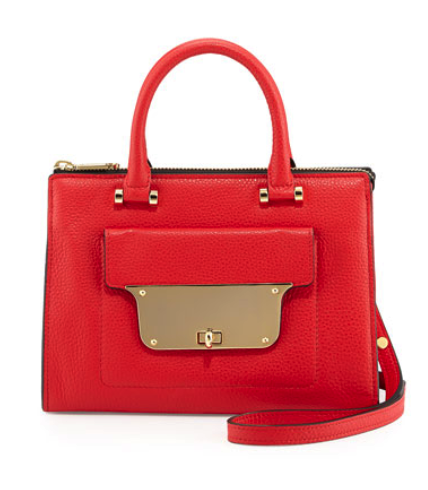 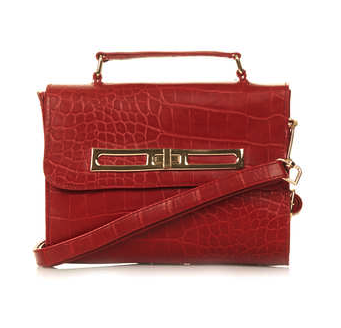 These red accessories are bold and gorgeous and an easy (and uber chic) way to inject color into your wardrobe. 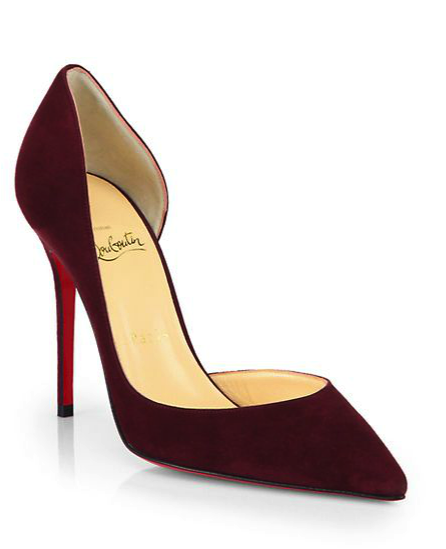 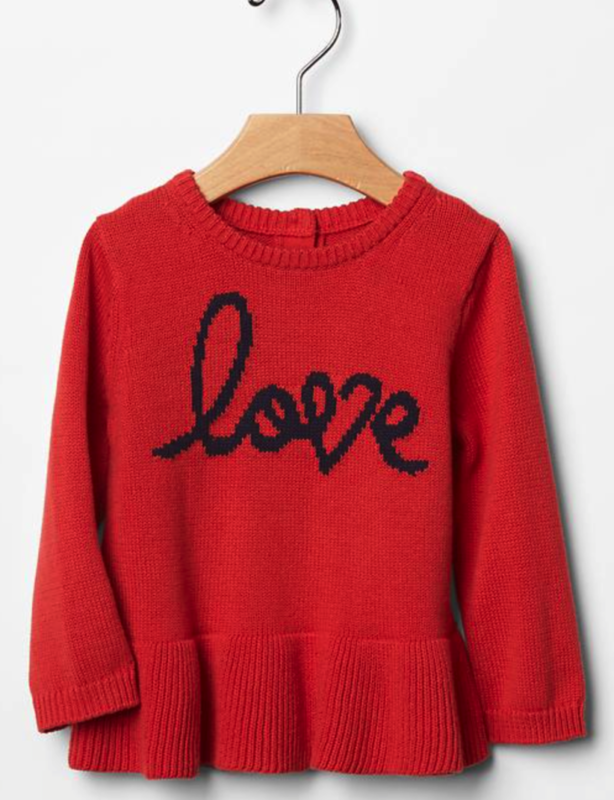 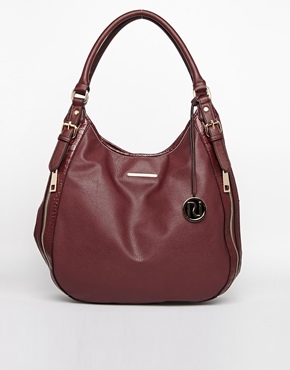 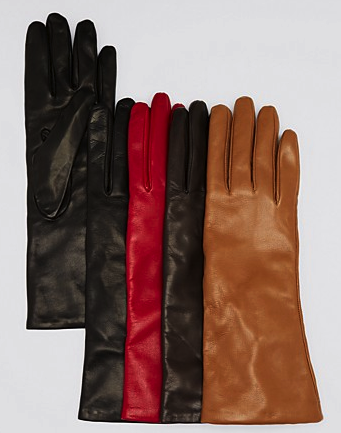 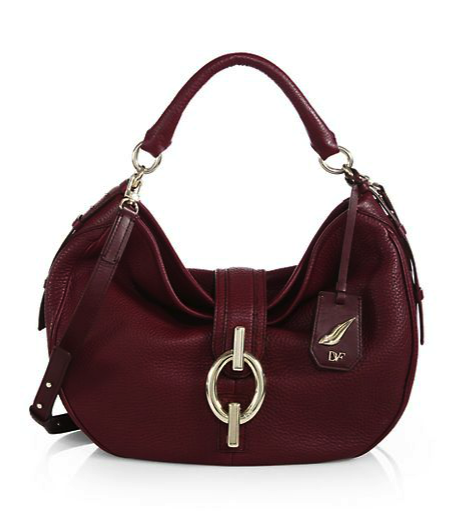 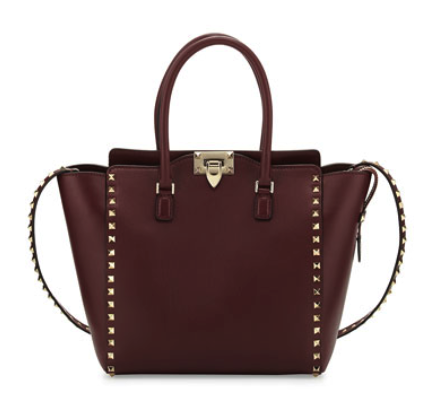 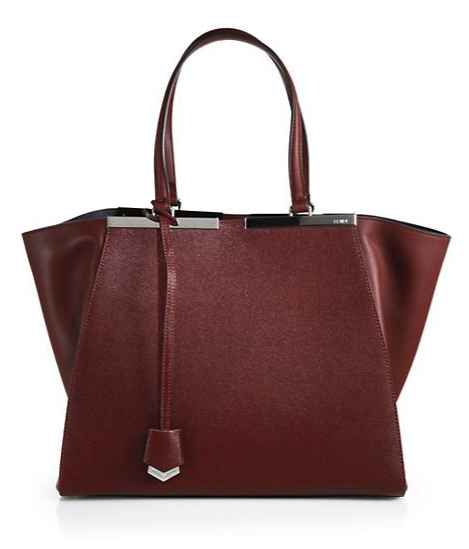 Whether you prefer a bright bold red and a deep burgundy – there are so many incredible options to choose from. 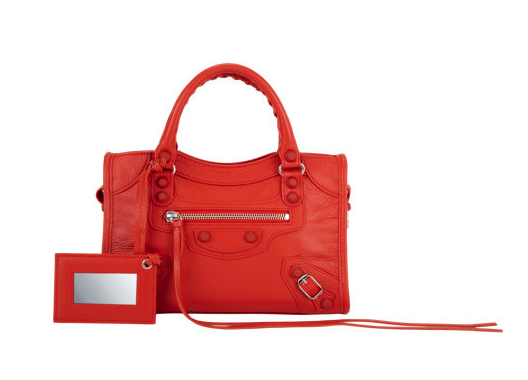 Check out some of my favorite red accessories and prepare to pop your look with the seasons hottest shade of fabulous! 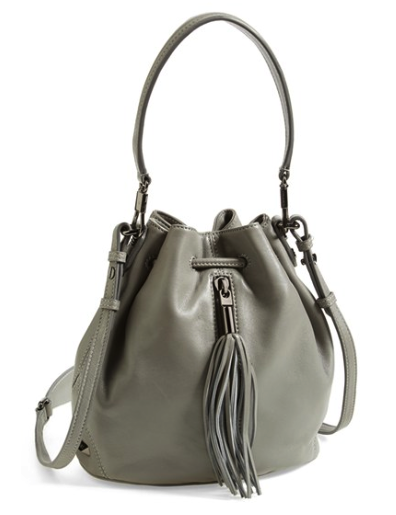 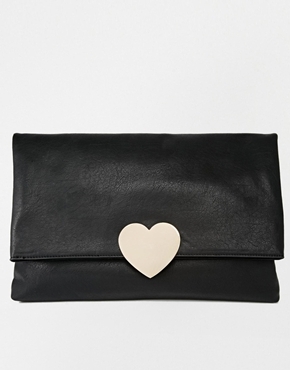 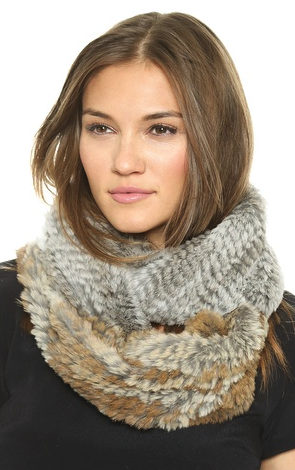 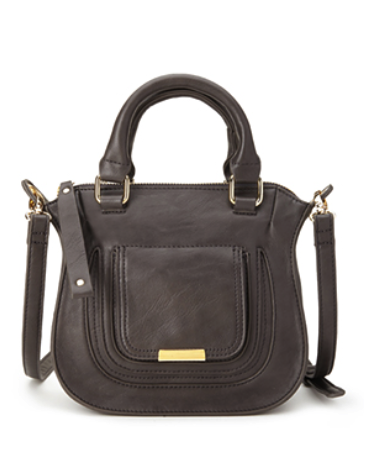 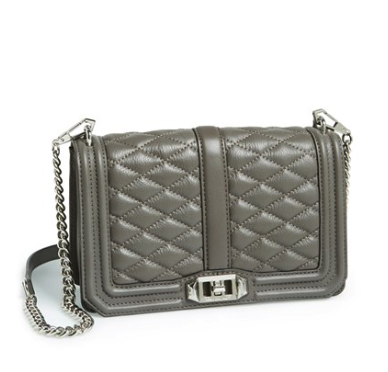 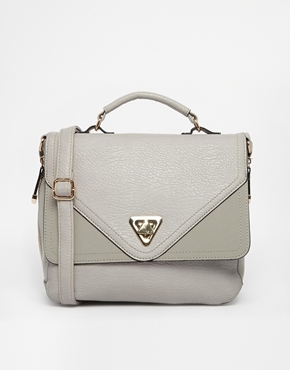 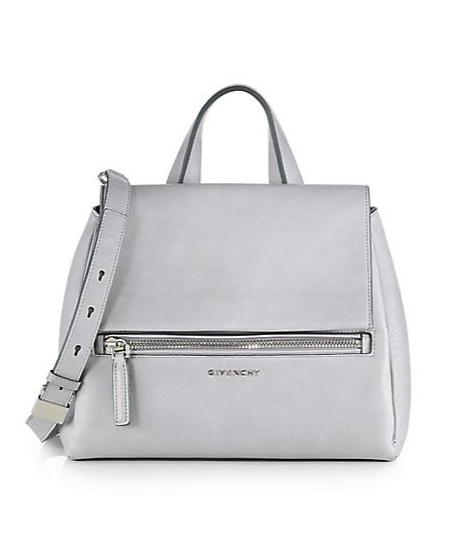 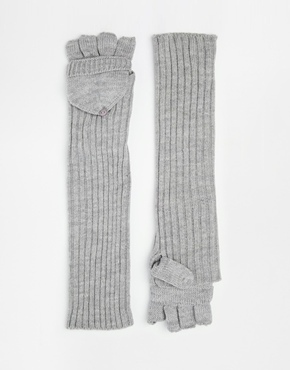 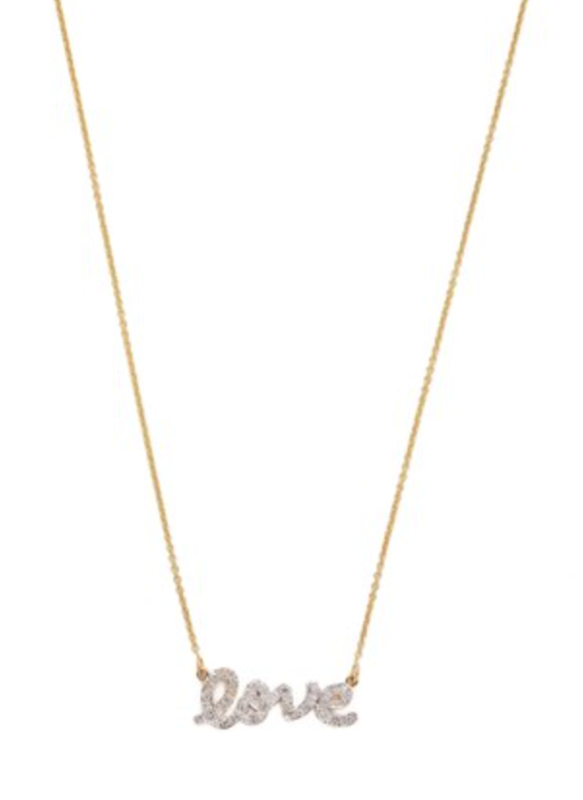 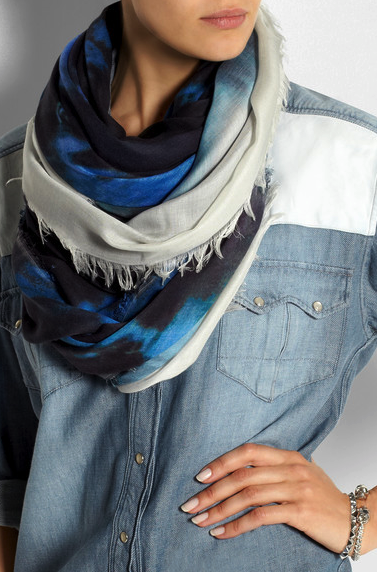 Gray accessories are the perfect neutral to take you from season to season with elegant ease! 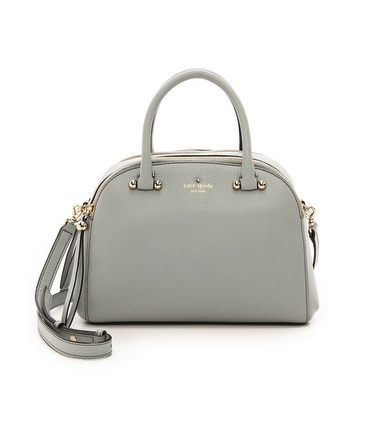 There is a new neutral in town and its sure to transition you season to season – gray accessories are the perfect accompaniment to every look. 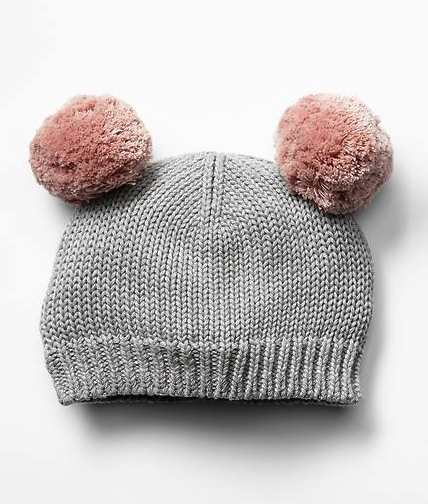 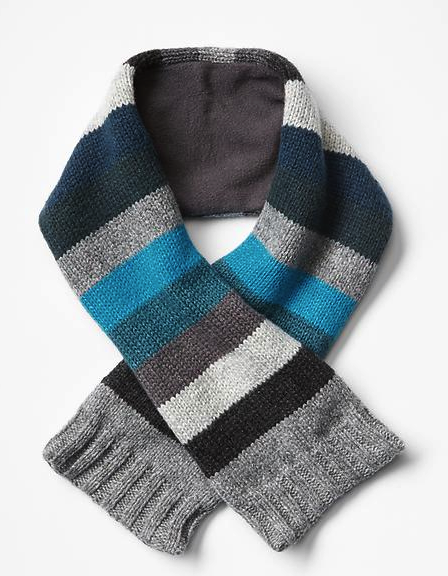 Gray accessories are brilliant because they can’t be defined by a season – they work just as perfectly with summer’s whites and brights as they do with winter’s darker hues. 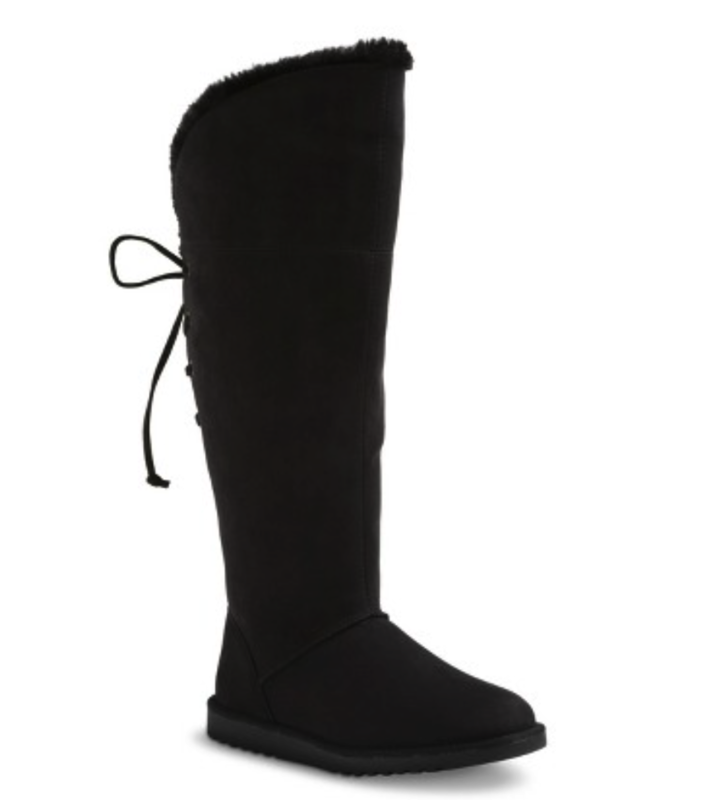 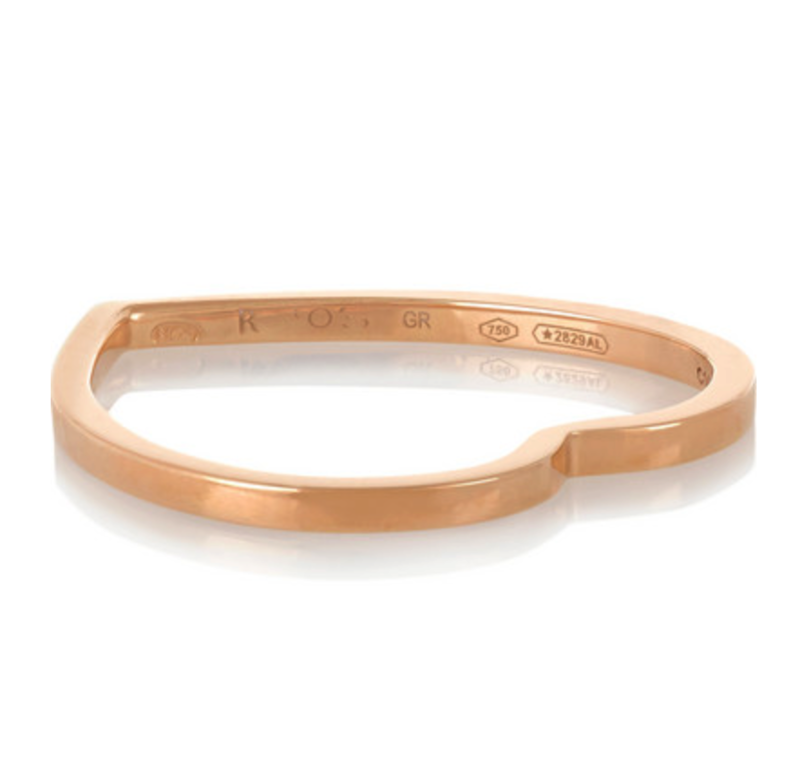 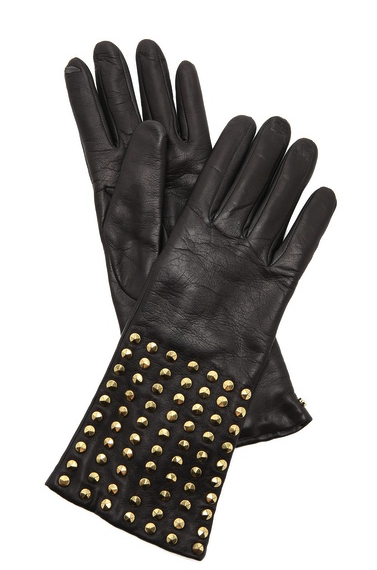 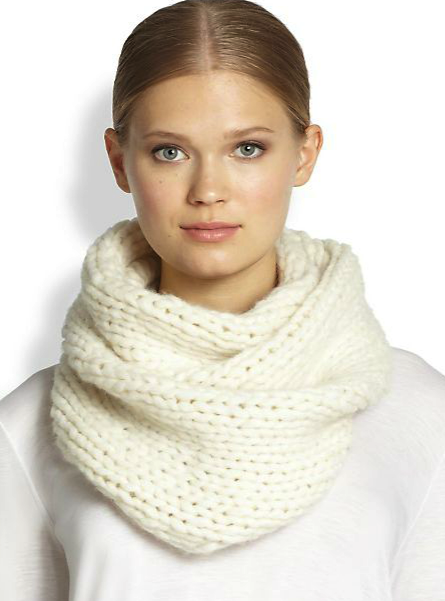 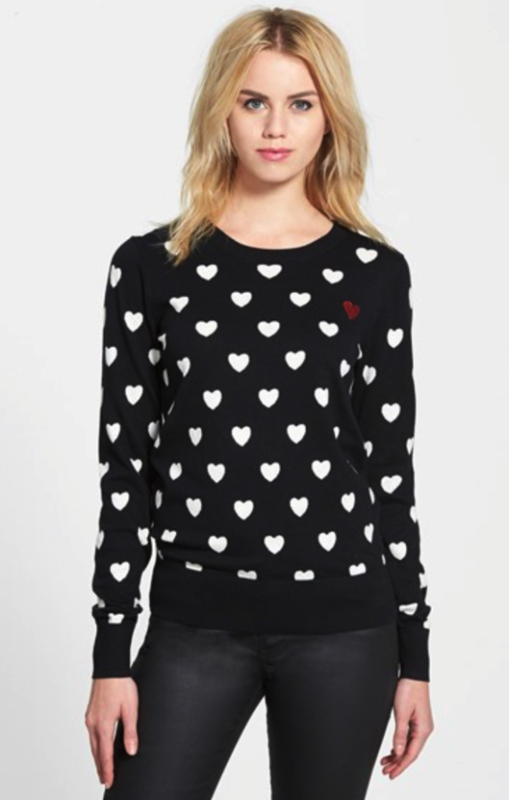 They’re safer than white because they hide wear and tear but give more texture and dimension than classic black. 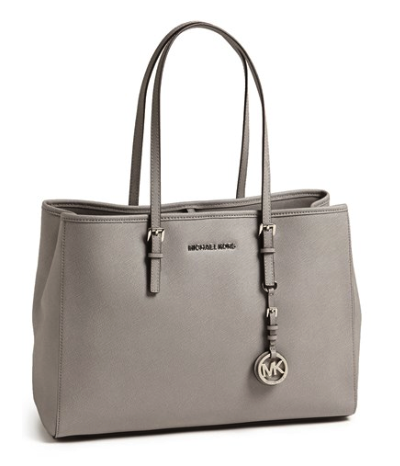 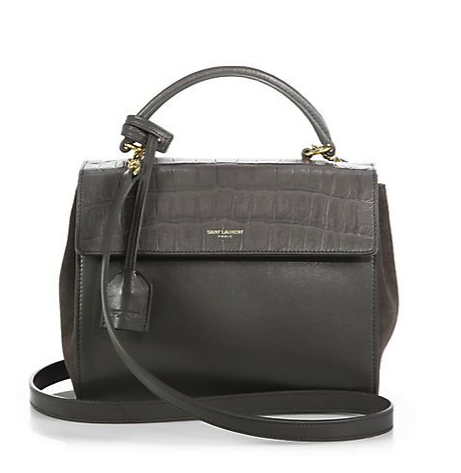 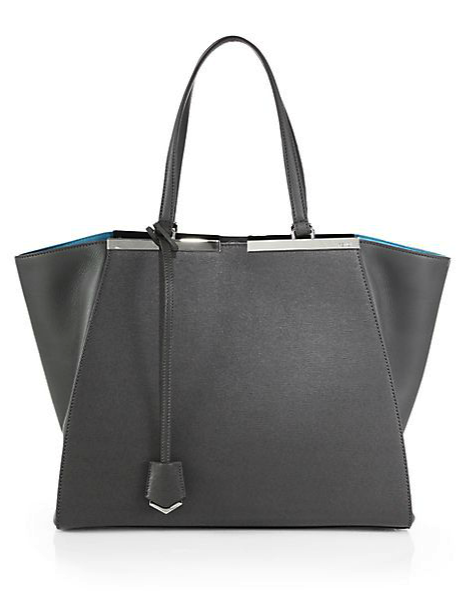 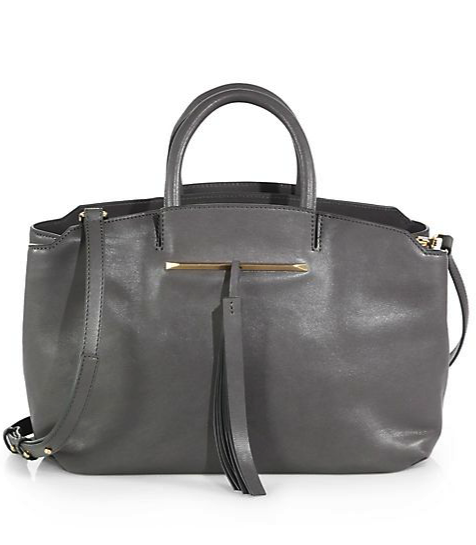 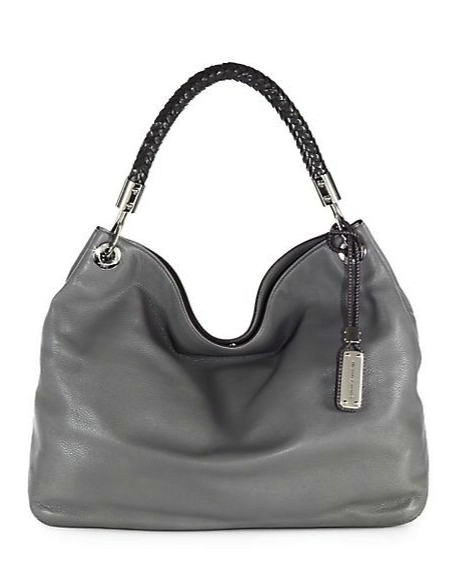 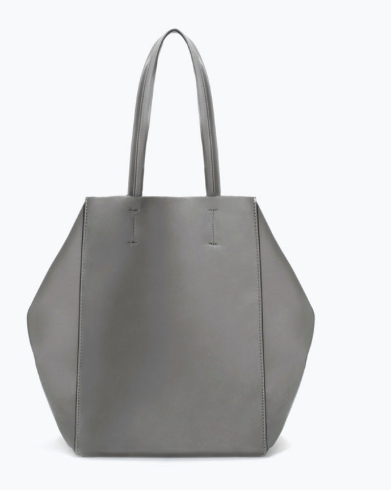 I have been a long time fan of gray accessories – they are timeless, classic and incredibly chic! 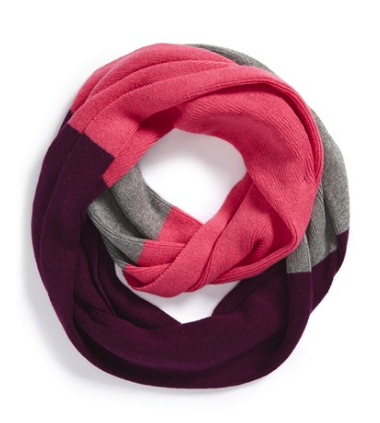 Whether you prefer warmer tones or cooler shades – there’s a hue for you – plus its on everyone’s radar for the fall season! 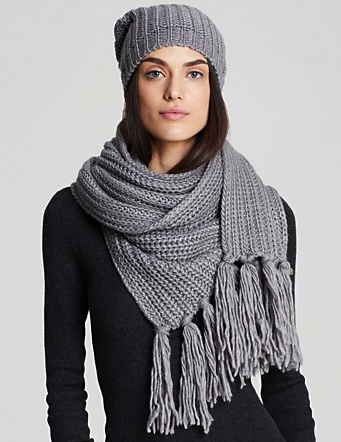 Check out some of my favorite gray accessories that will be perfect finishing touches for your looks now and later! 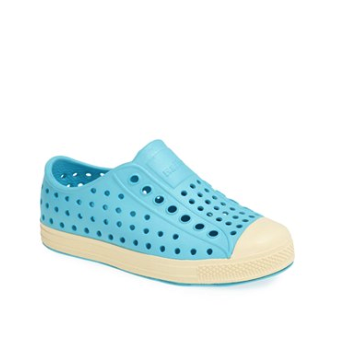 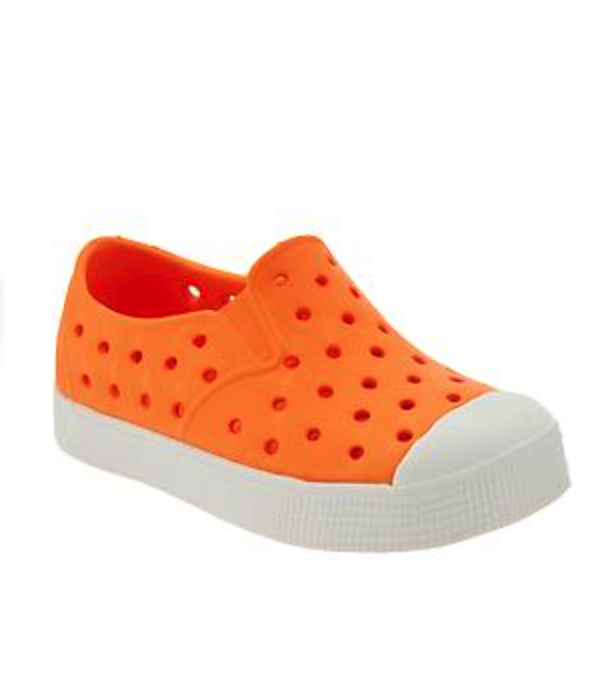 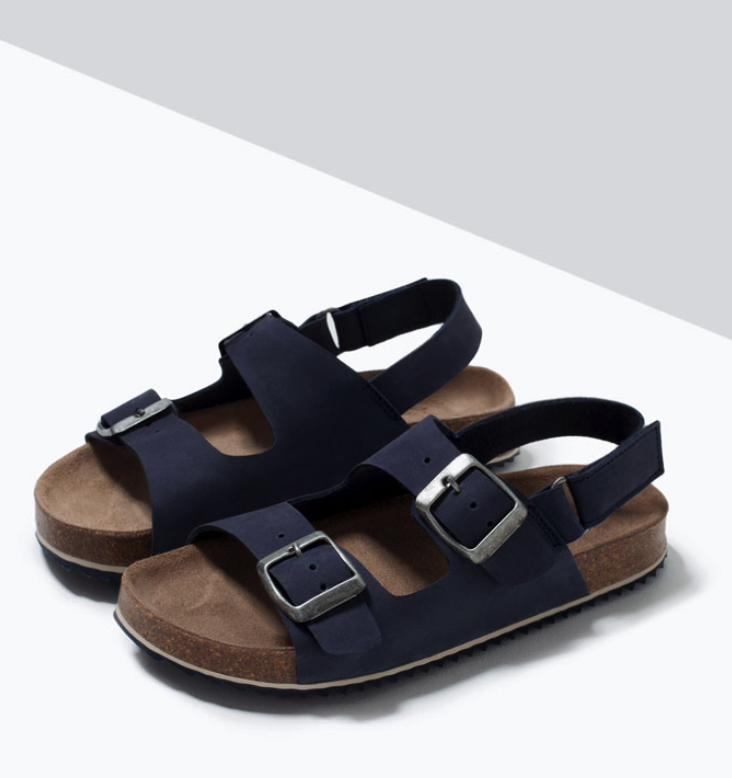 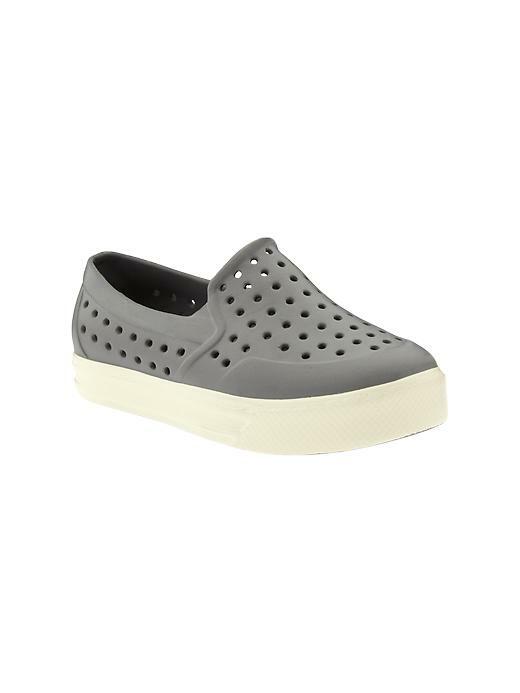 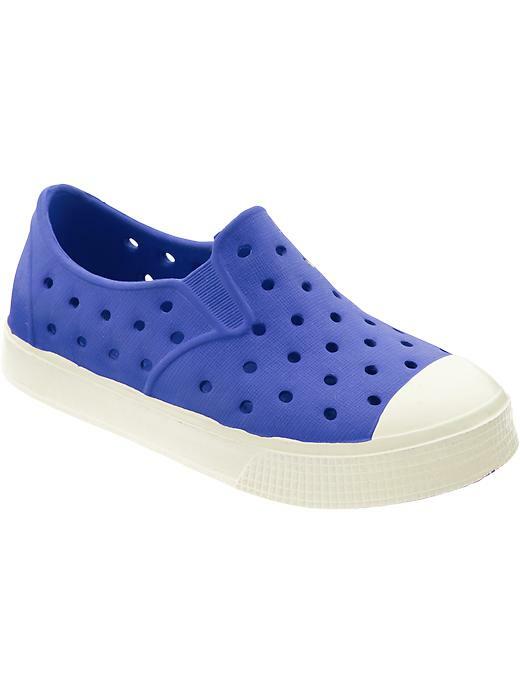 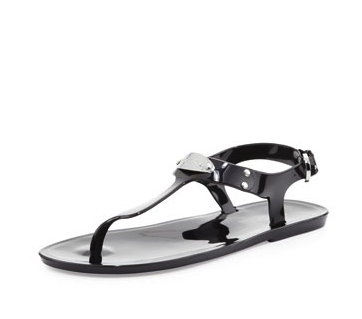 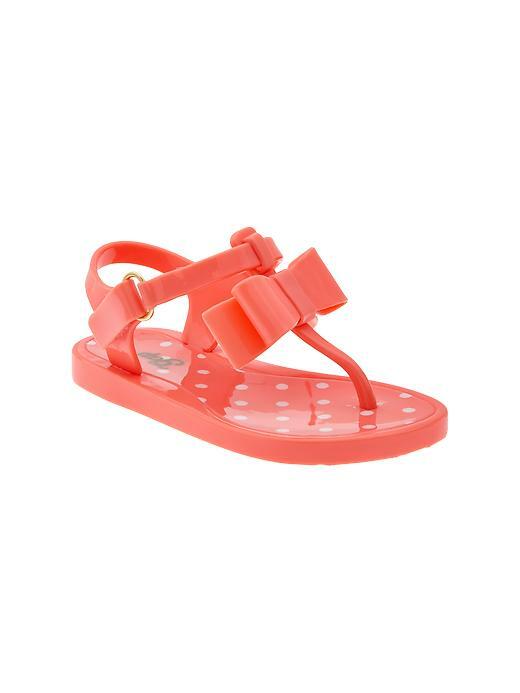 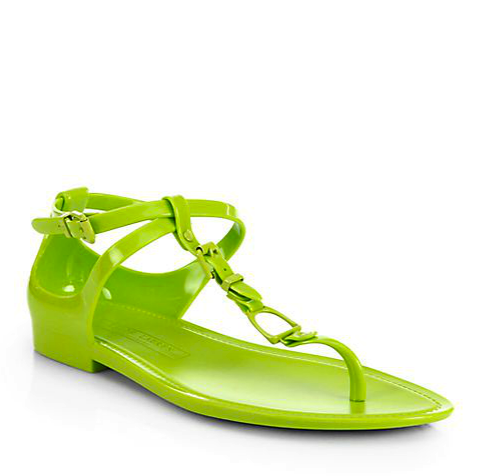 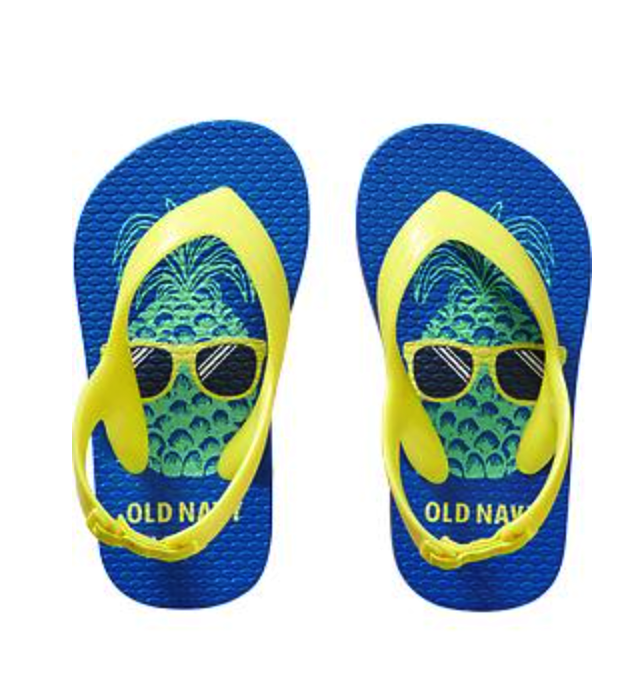 Jelly shoes are perfect for all your summer outings – chic enough for brunch yet water resistant for the beach – I am loving my Asos and Max has goes everywhere in his Old Navy rubber shoes! 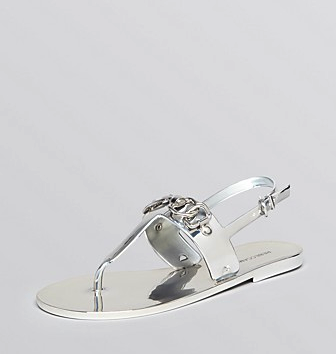 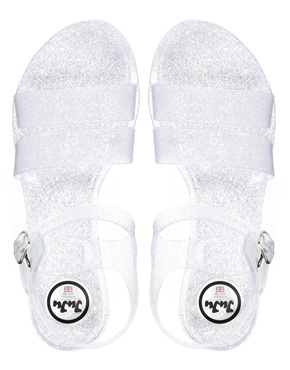 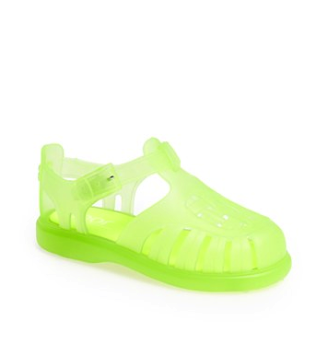 When I was in high school jelly shoes were HUGE and for many years I’ve looked back at pictures of myself wearing those clunky clear things and cringed… Well, they are back and they are chicer than ever!! 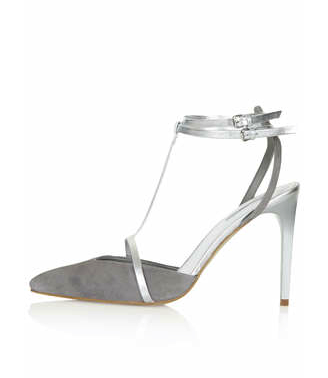 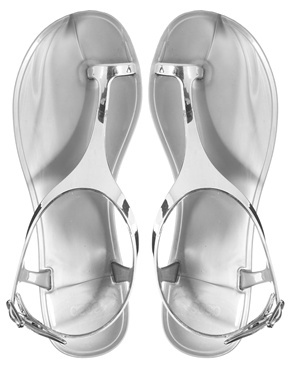 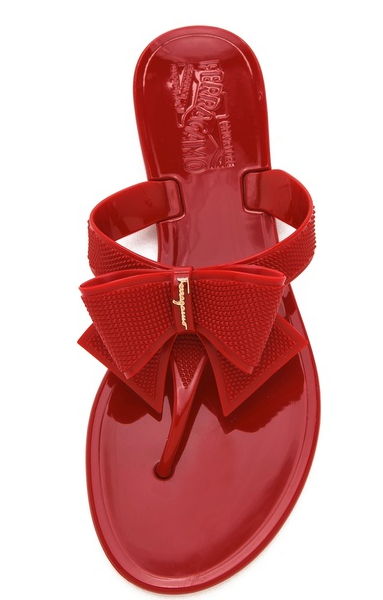 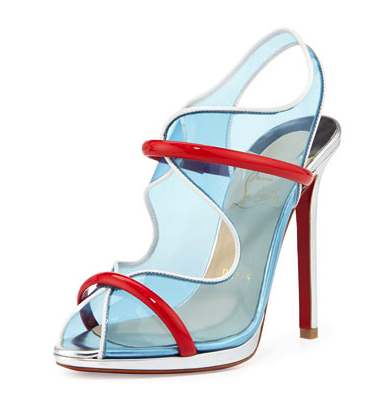 Hard to believe that jelly shoes could be so stunning, but they are and the practicality of them is the added bonus. 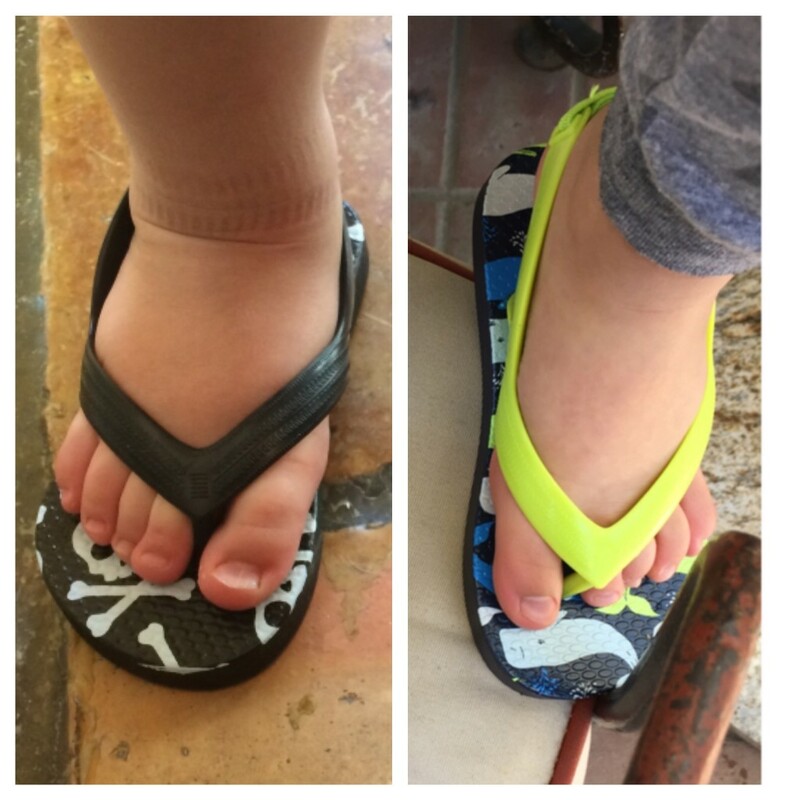 I remember having a friend and her 2 year old son over to hang out by the pool – I was admiring her gorgeous new sandals which she had taken off to sit next to me with her feet in the pool and the next thing we knew her little angle had grabbed them and thrown them into the deep end. 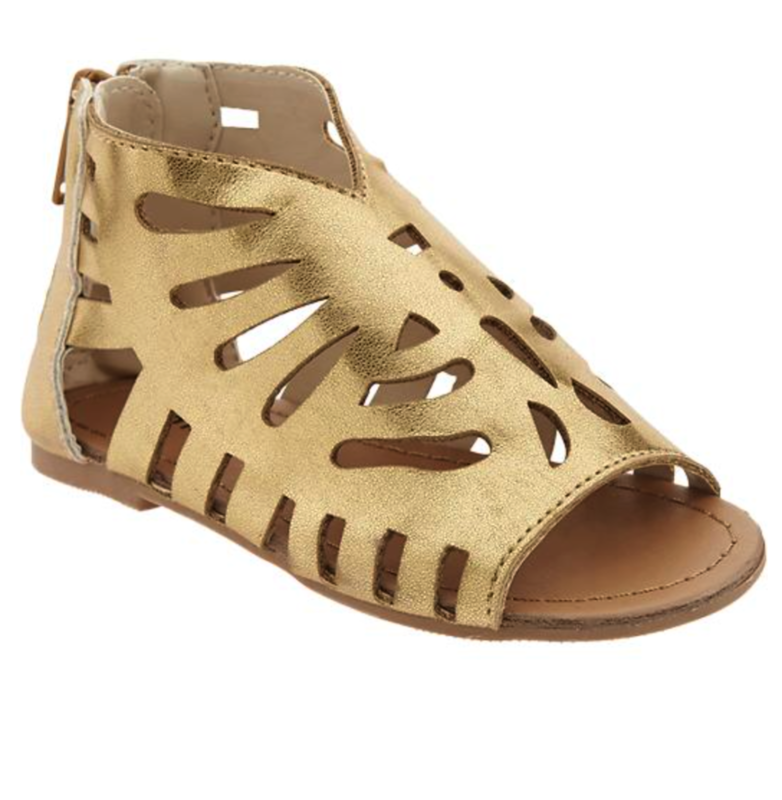 So much for her gorgeous sandals. 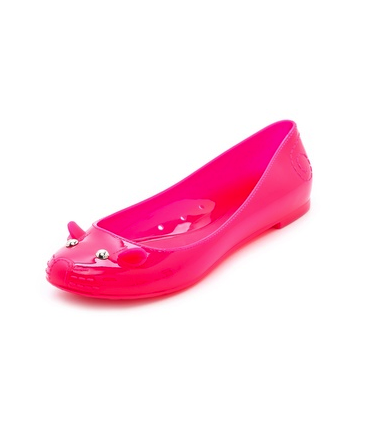 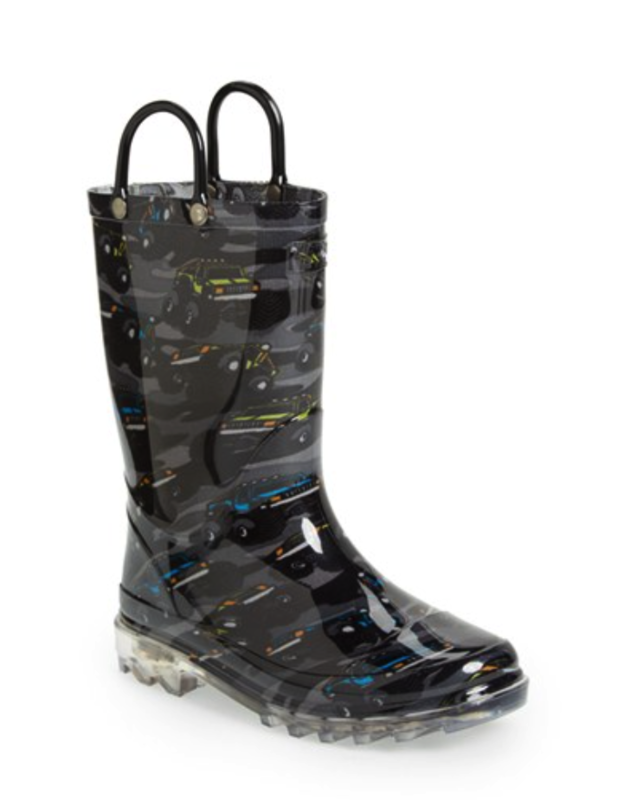 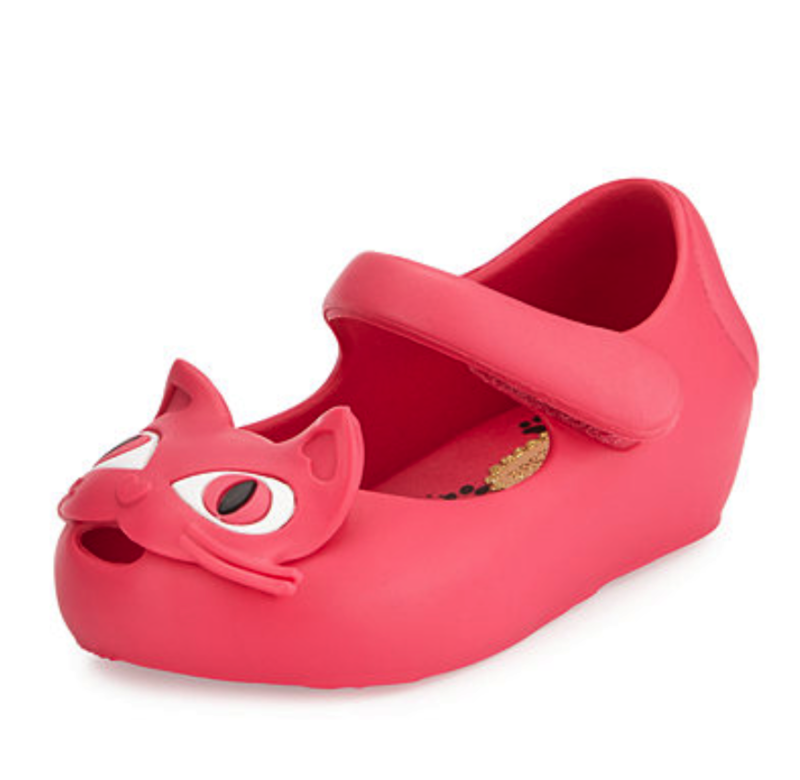 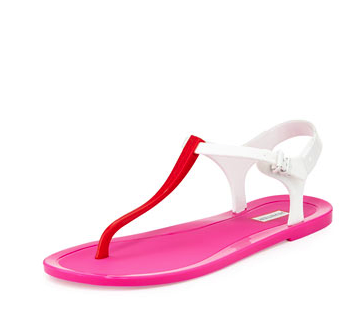 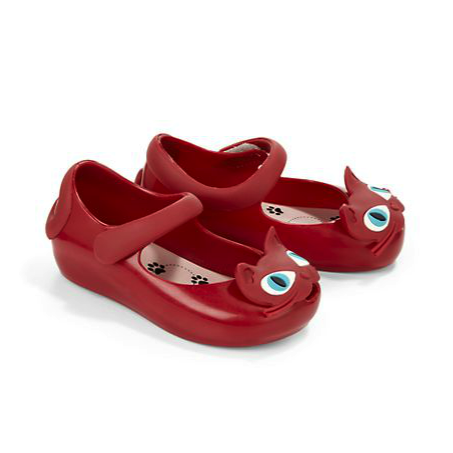 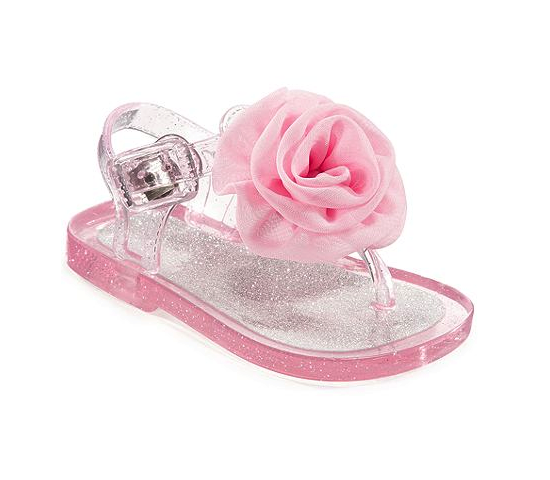 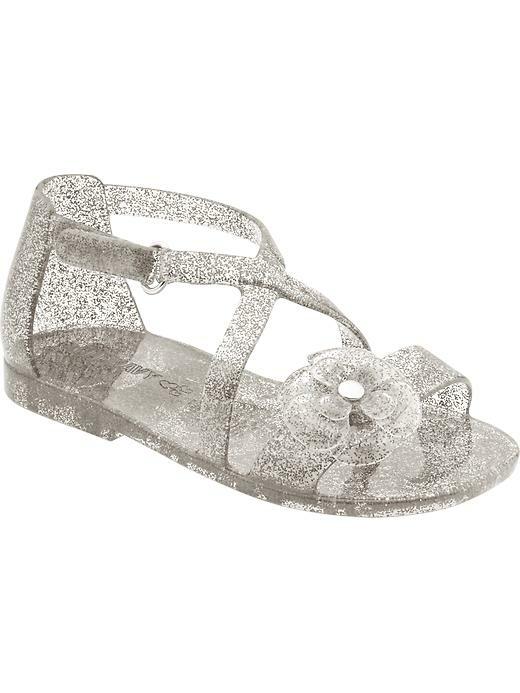 Well, jelly shoes are water proof so PERFECT for all your summer outings. 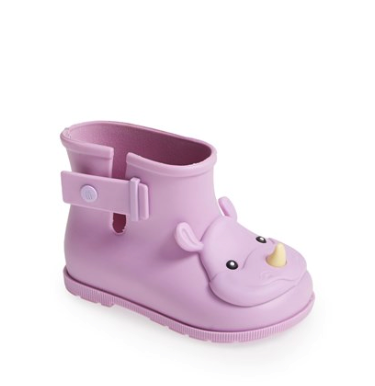 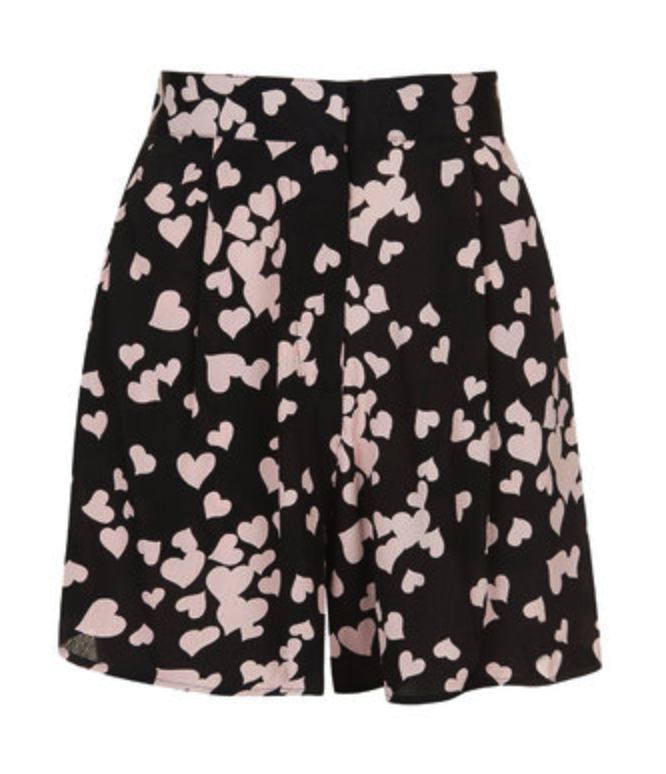 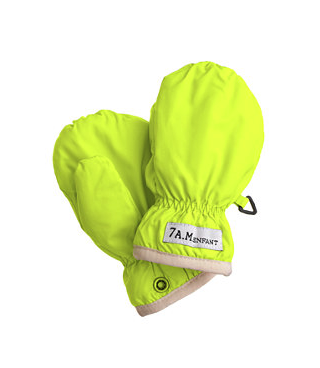 They are also perfect for our little ones (I’m going to include various water proof shoes as well) because I, for one, have a little guy that wants to play at his water table, jump in the pool, run into the garden and, while bare feet are great, sometimes the stone around the pool is hot hot hot and not good for his delicate toots. 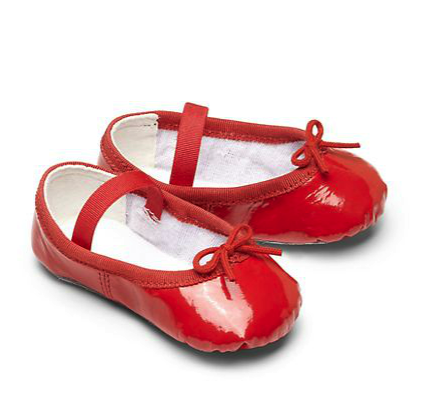 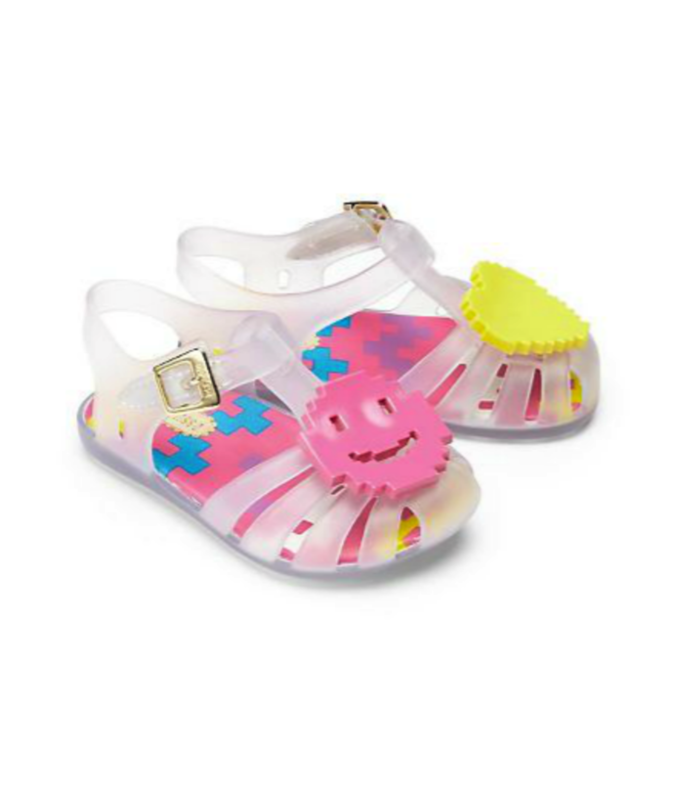 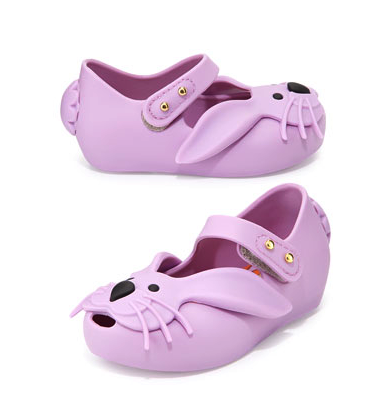 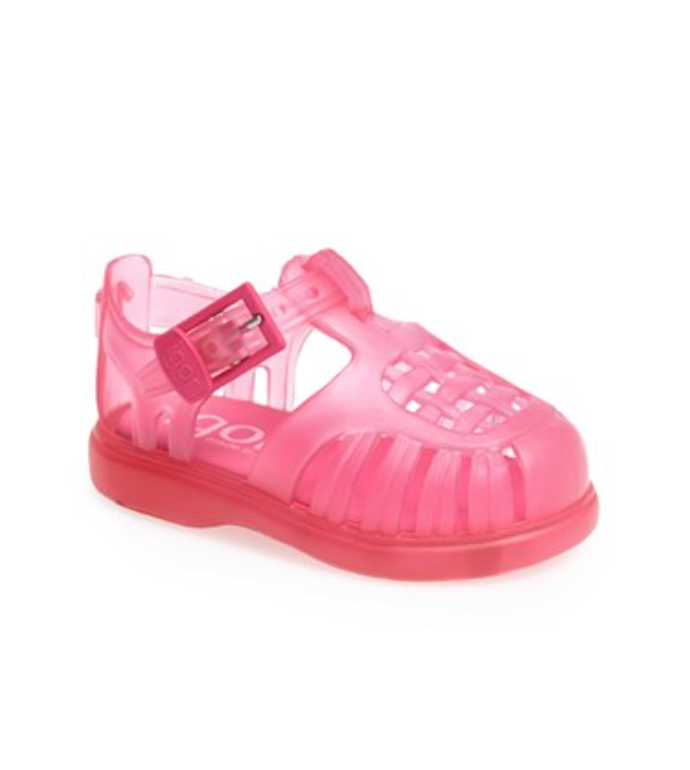 Its time for jelly shoes everyone – throw aside your side eye to these 90′s come back and check out some of the amazing variations on these practical and fabulous footwear for us and our little ones!